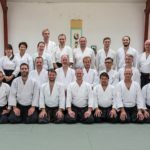 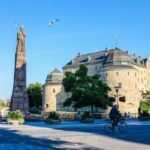 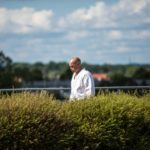 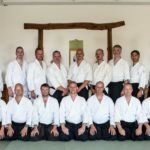 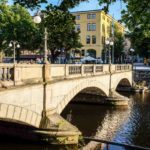 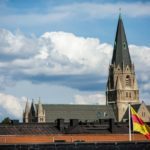 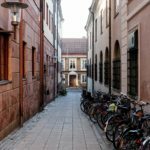 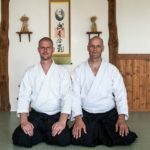 Sensei Johnny Kim Sørensen received the 5th dan! 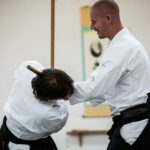 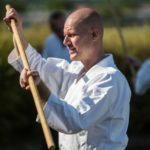 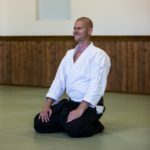 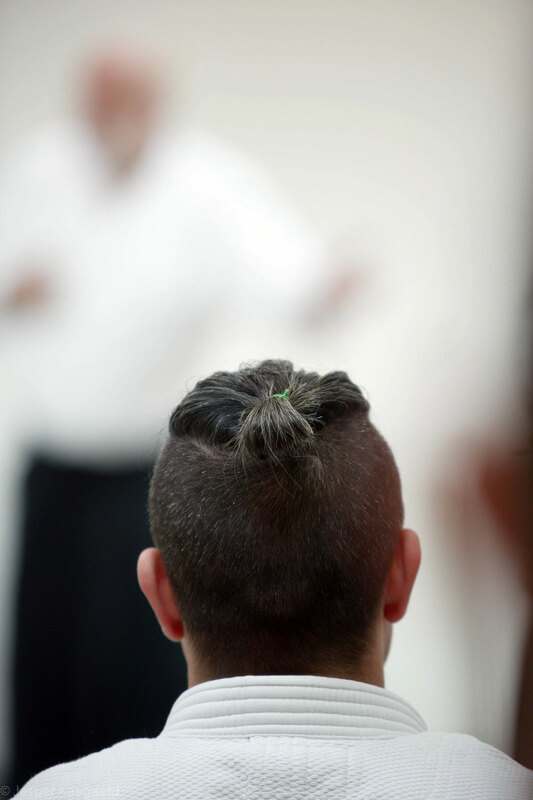 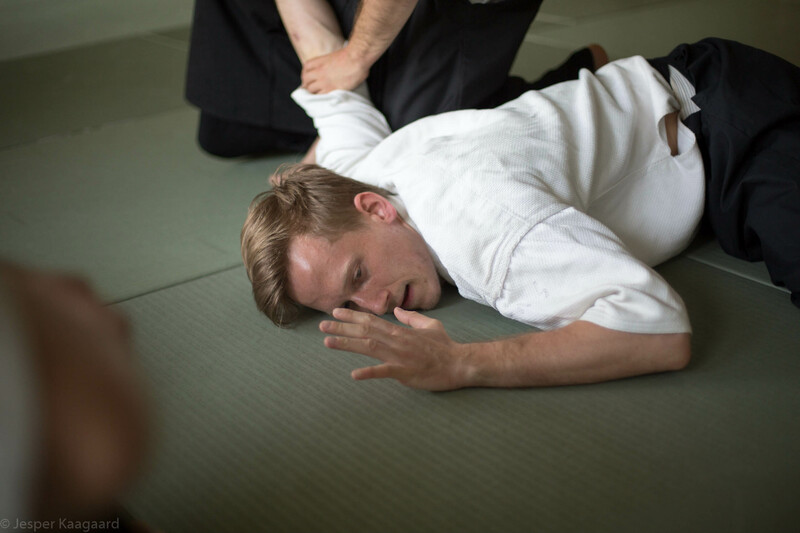 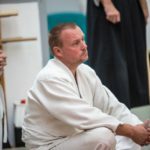 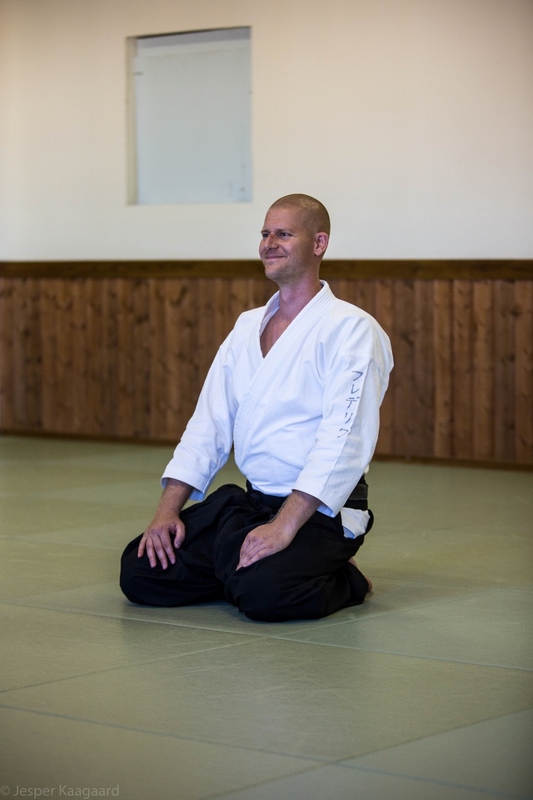 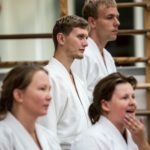 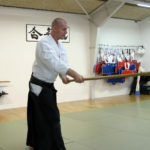 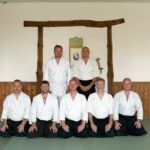 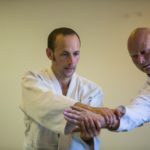 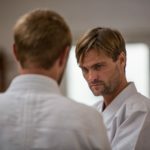 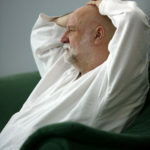 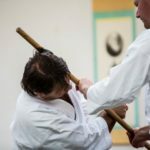 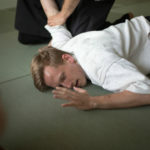 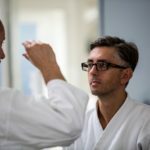 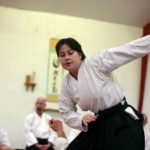 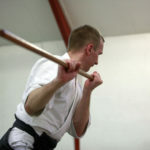 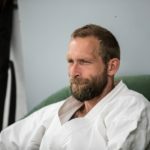 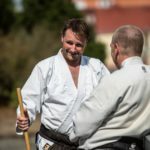 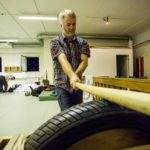 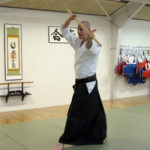 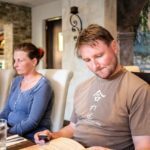 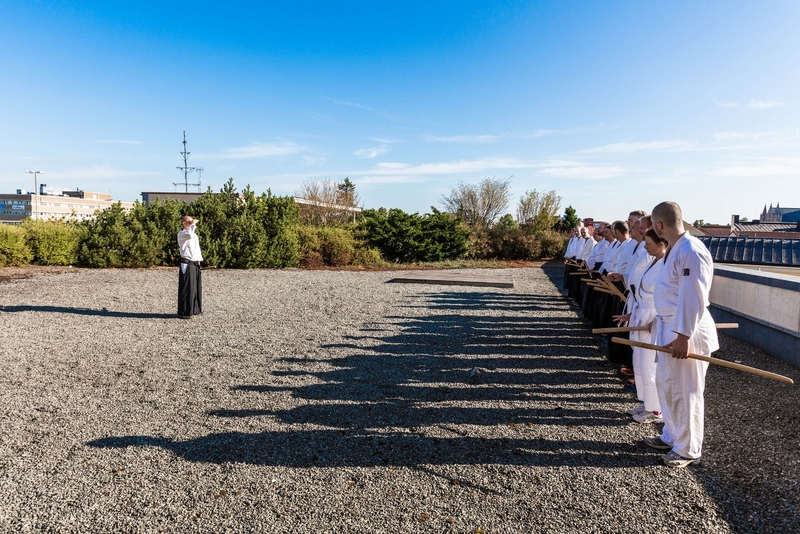 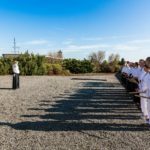 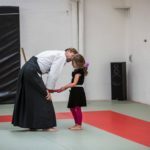 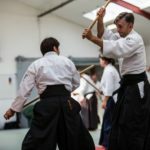 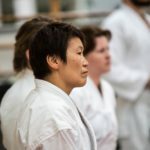 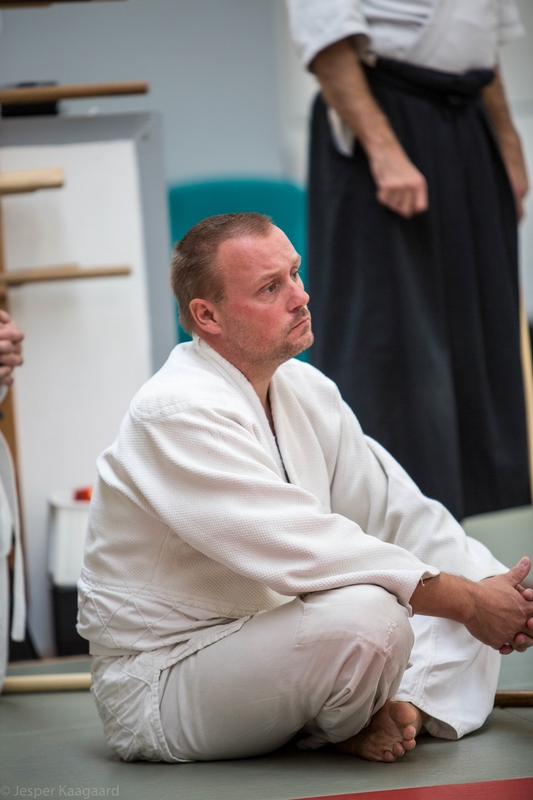 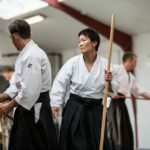 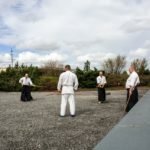 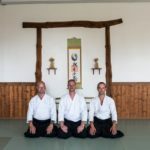 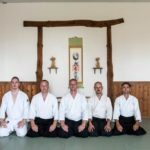 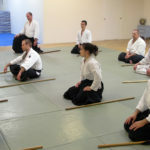 The Aikikai Foundation has announced the new list of aikidokas who received their dan grades: http://www.aikikai.or.jp/pdf/suisen/h27.pdf We would like to congratulate our sensei Johnny Kim Sørensen who now holds the 5th dan! 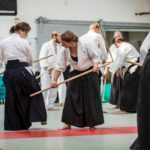 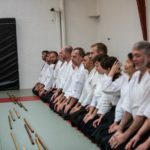 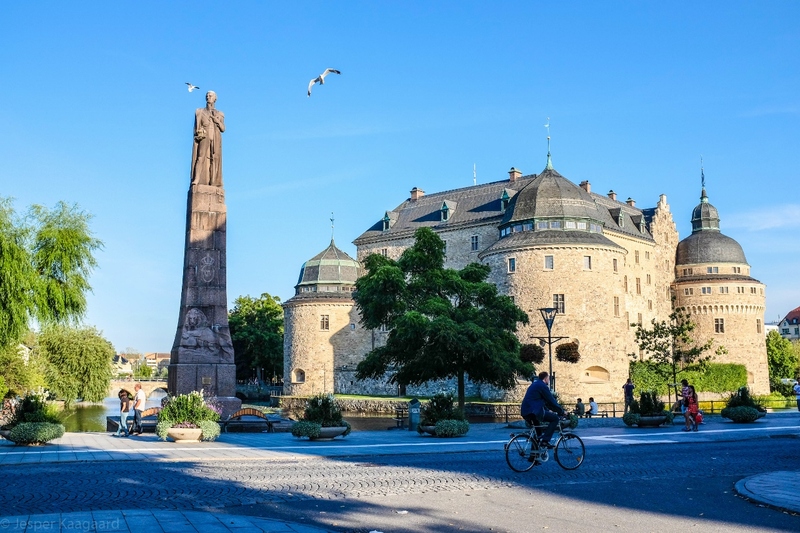 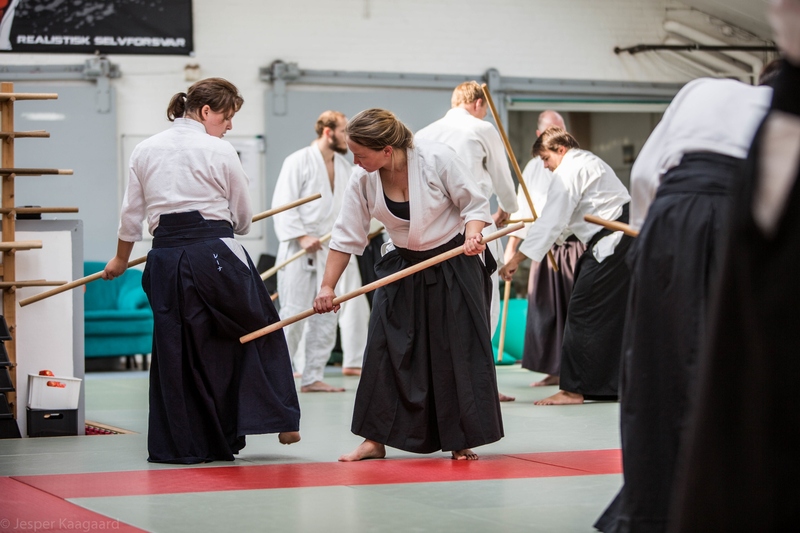 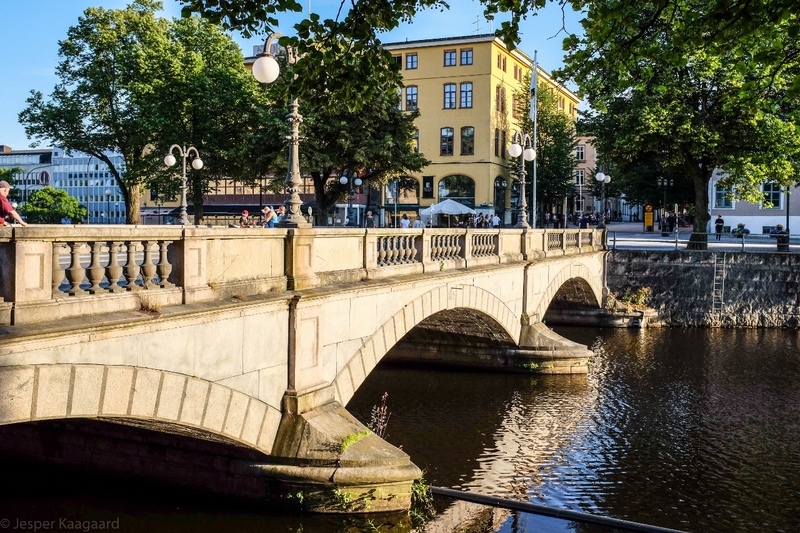 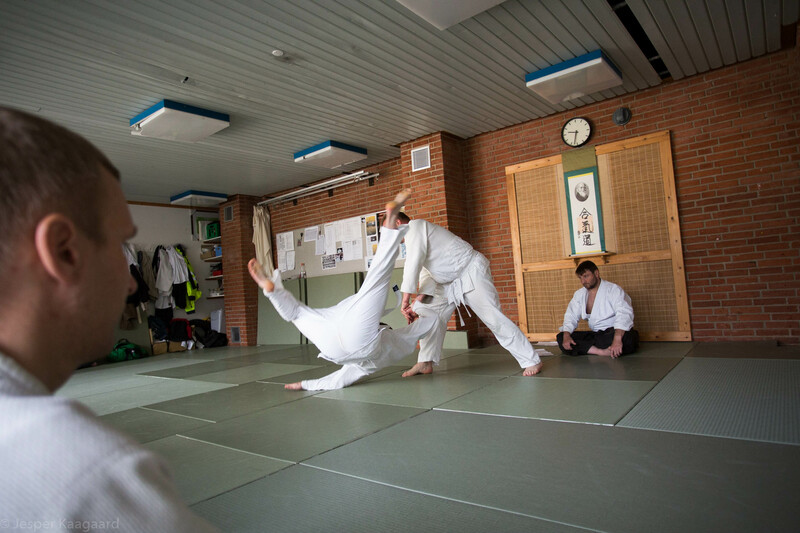 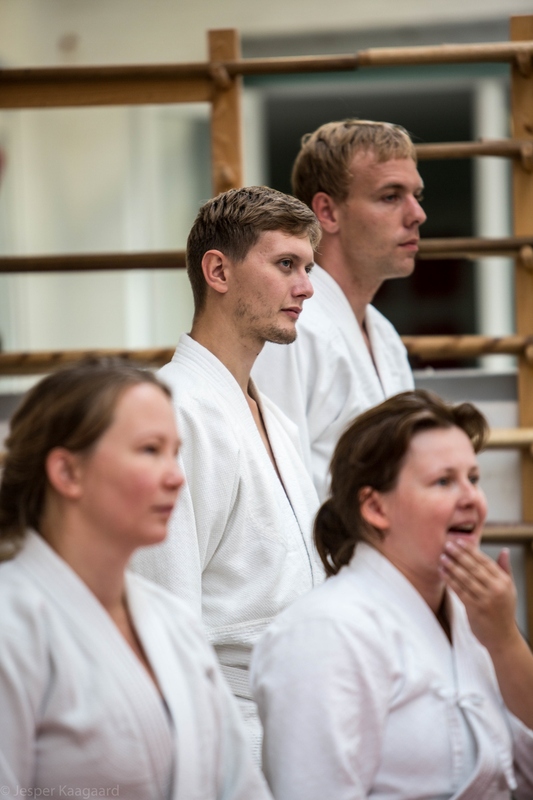 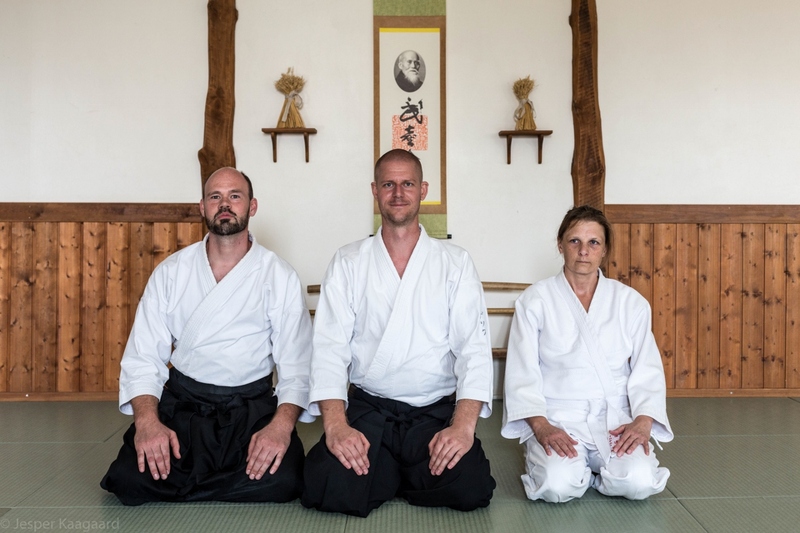 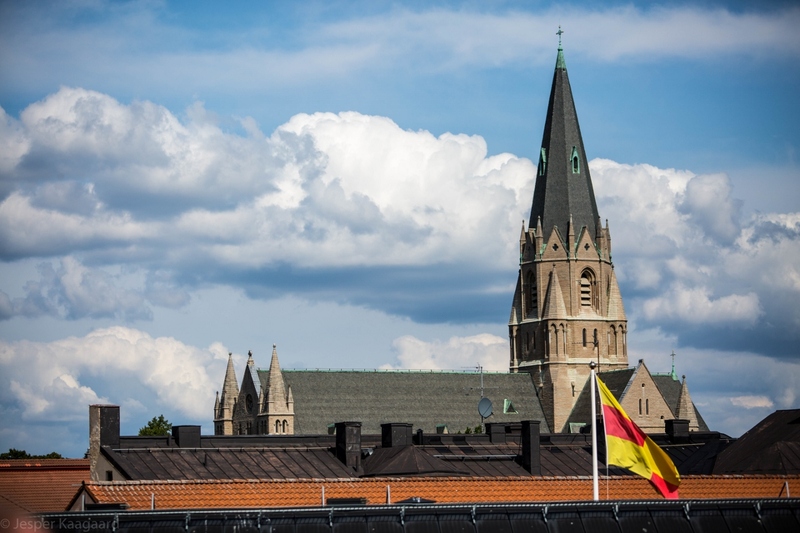 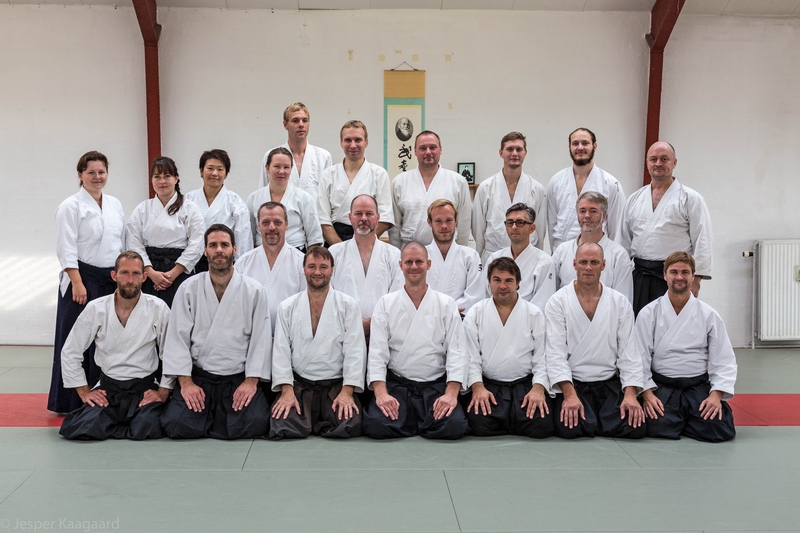 Also congratulations to our friends who also now hold the 5th dan: Takemusu Aiki Danmark: Robert Vedel MacKay (Roskilde Aikido Klub), Thomas and Lene (Frederiksberg Aikido Klub). 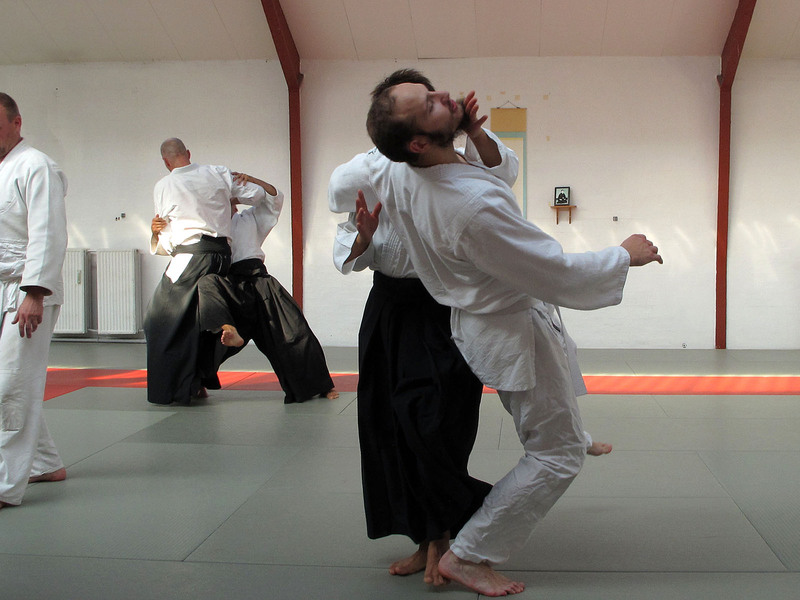 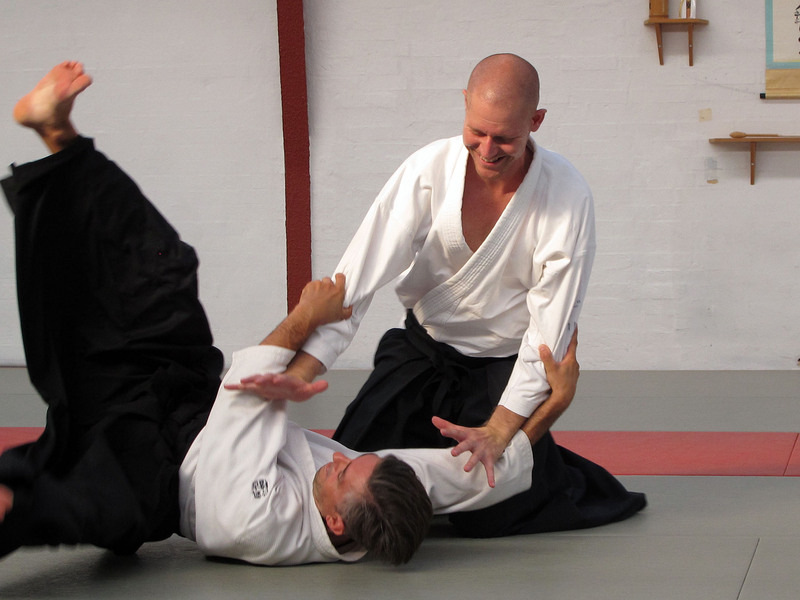 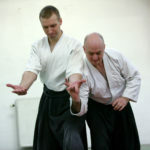 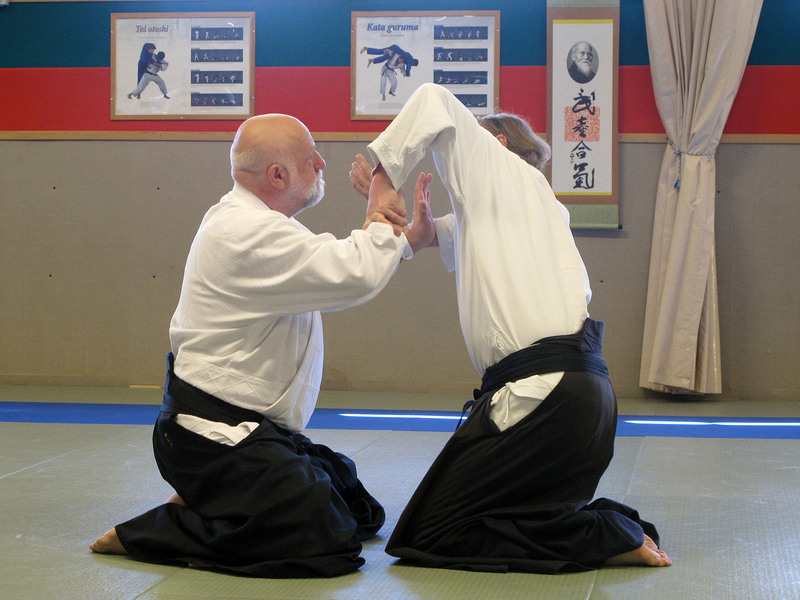 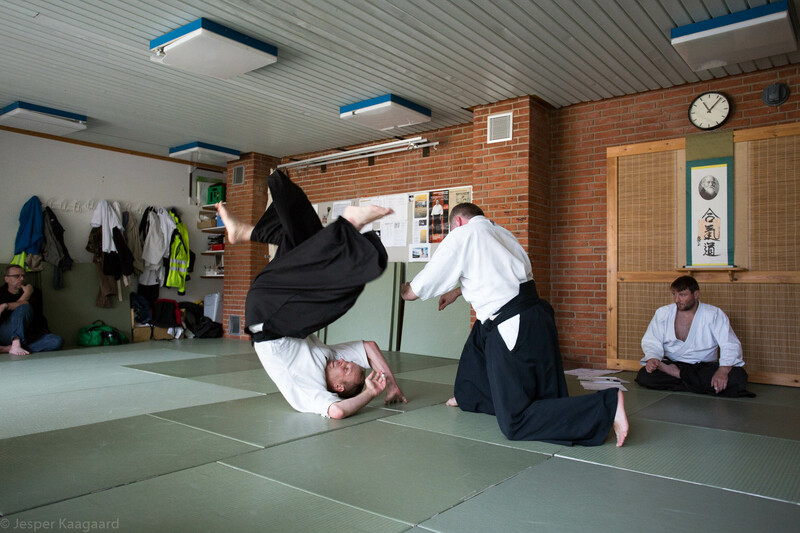 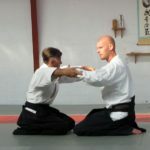 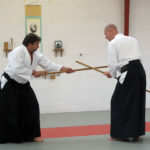 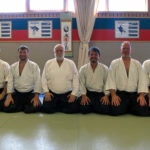 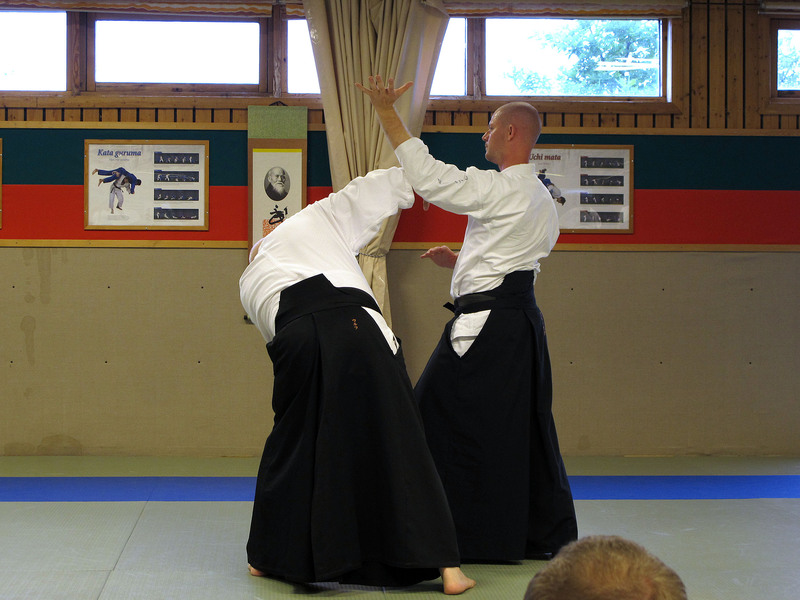 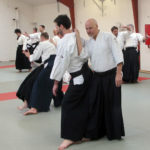 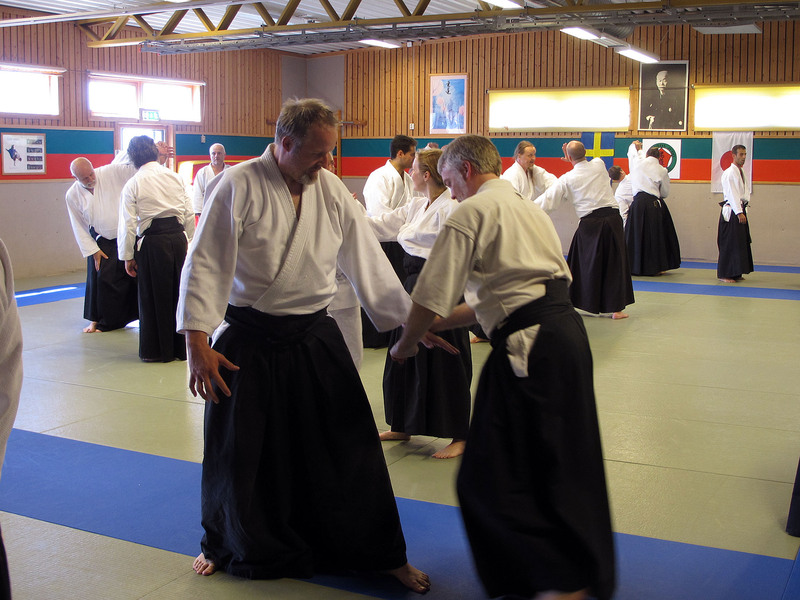 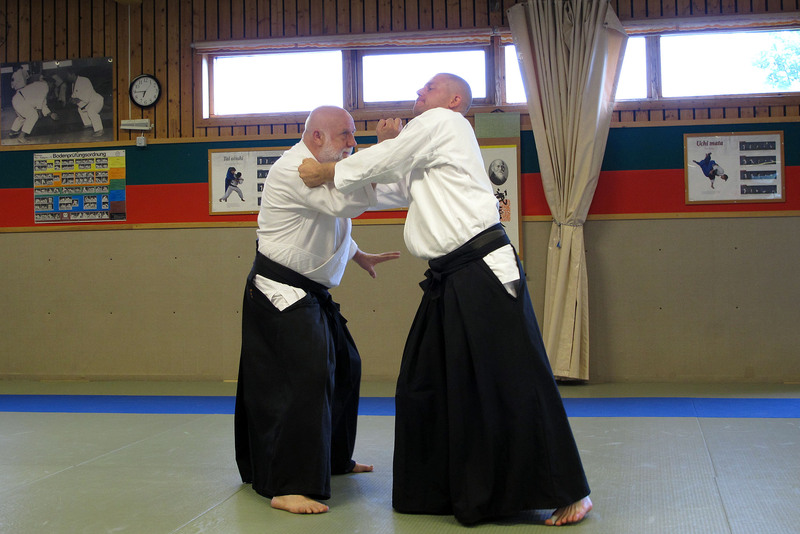 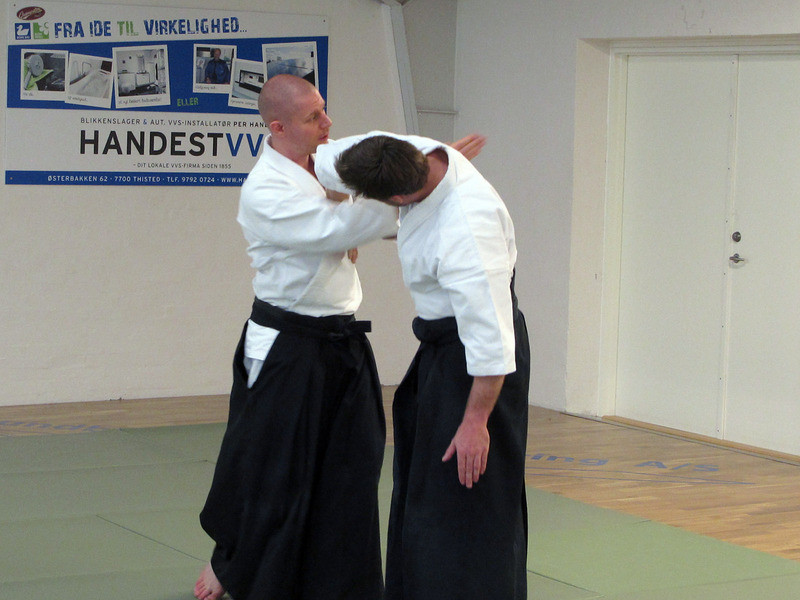 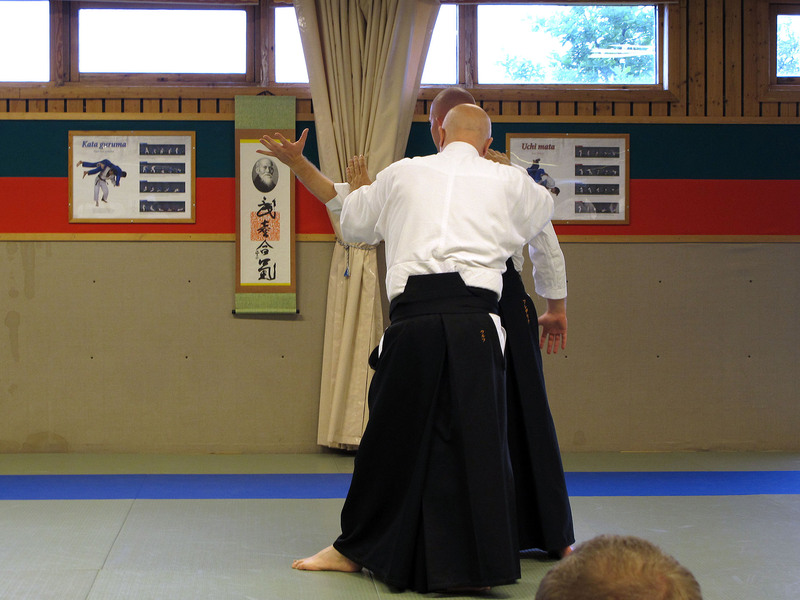 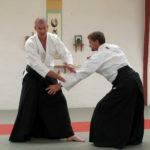 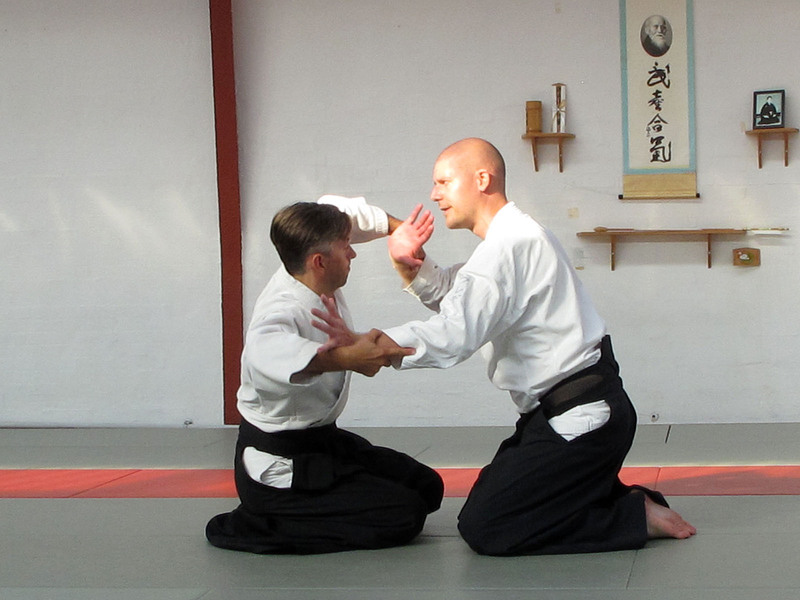 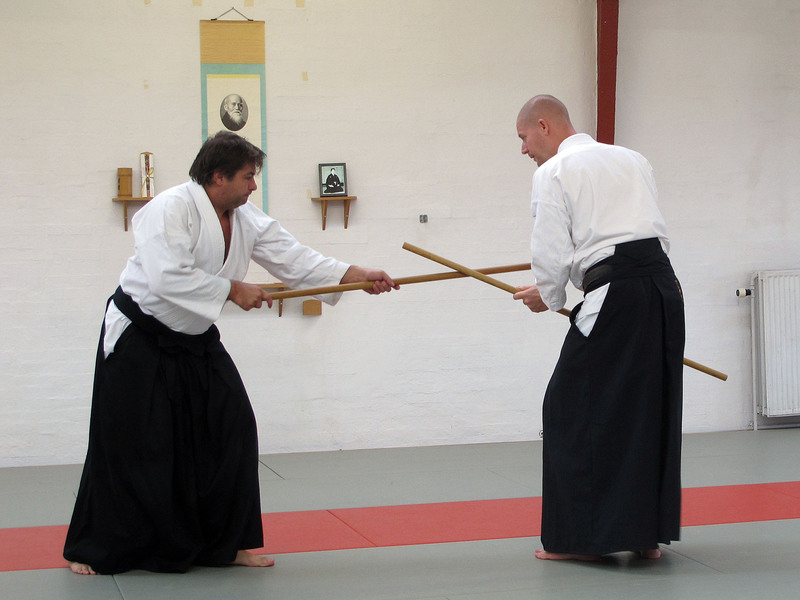 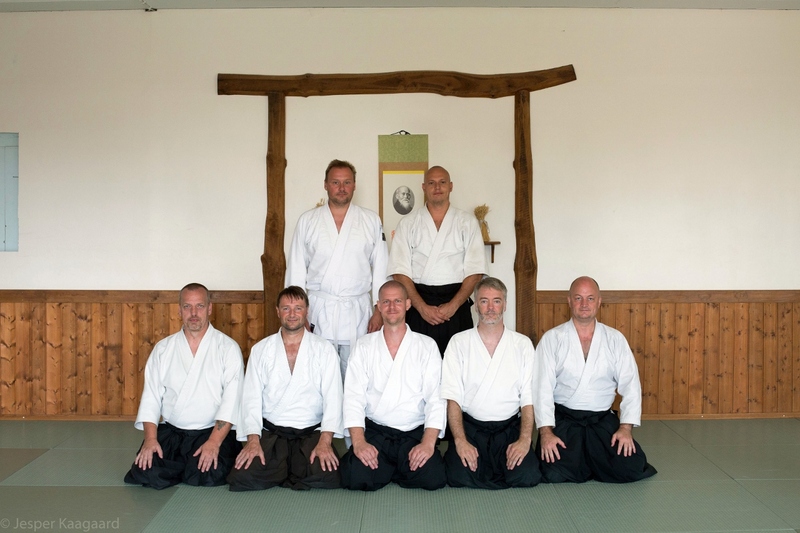 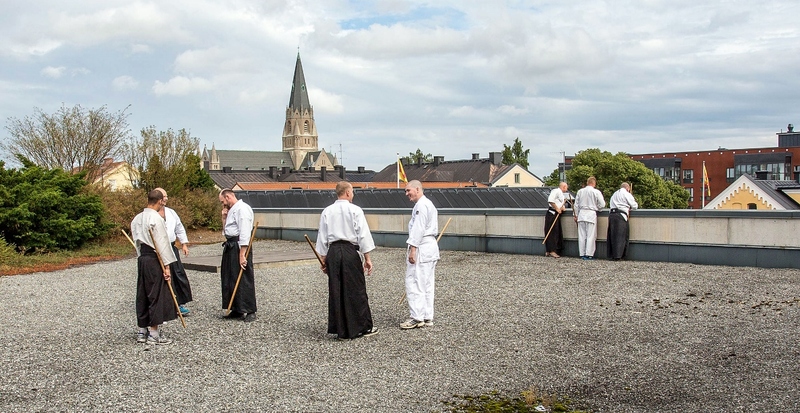 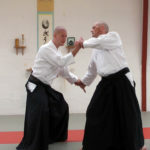 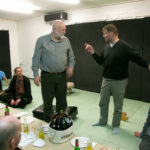 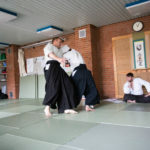 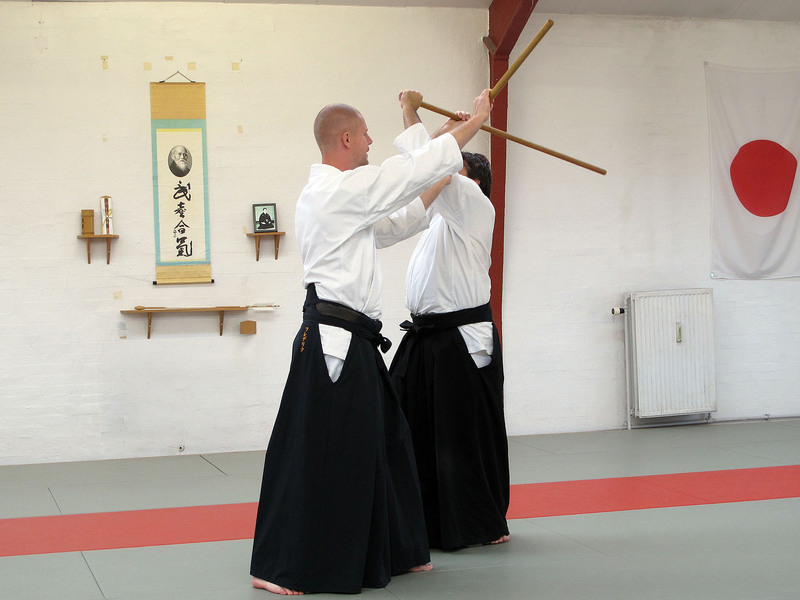 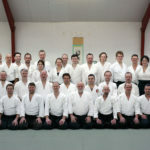 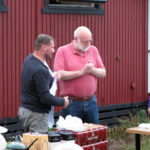 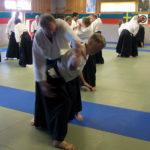 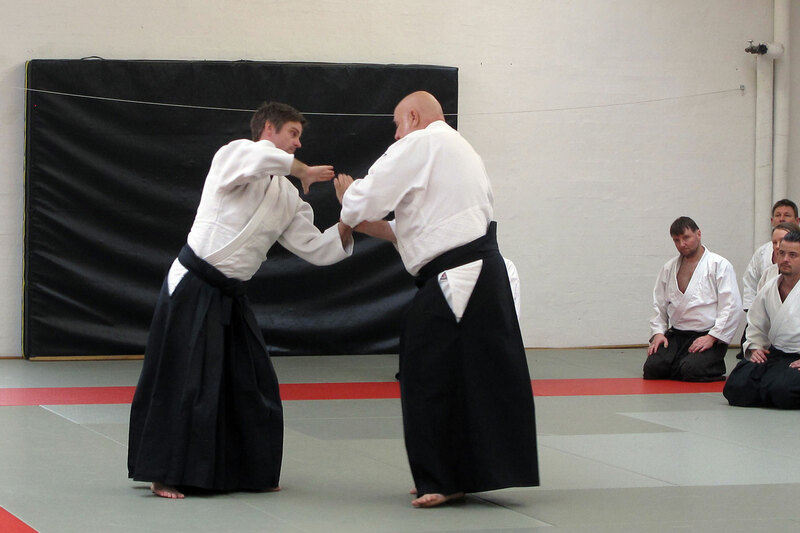 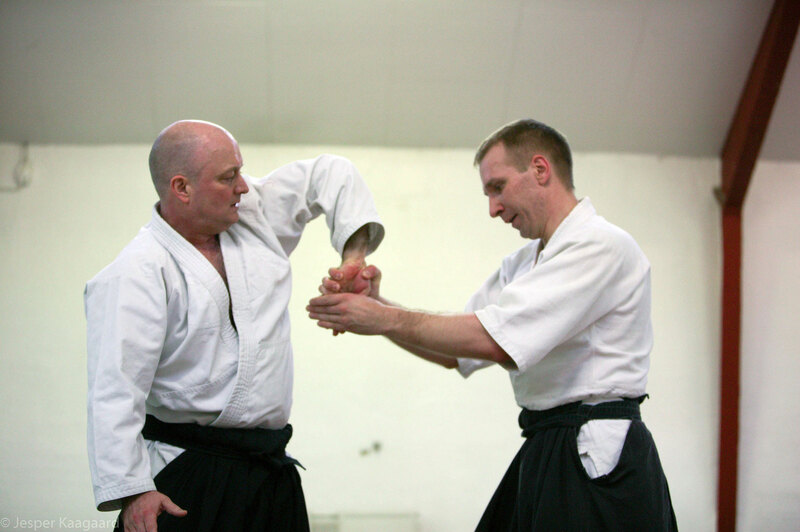 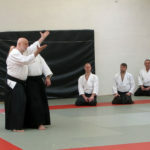 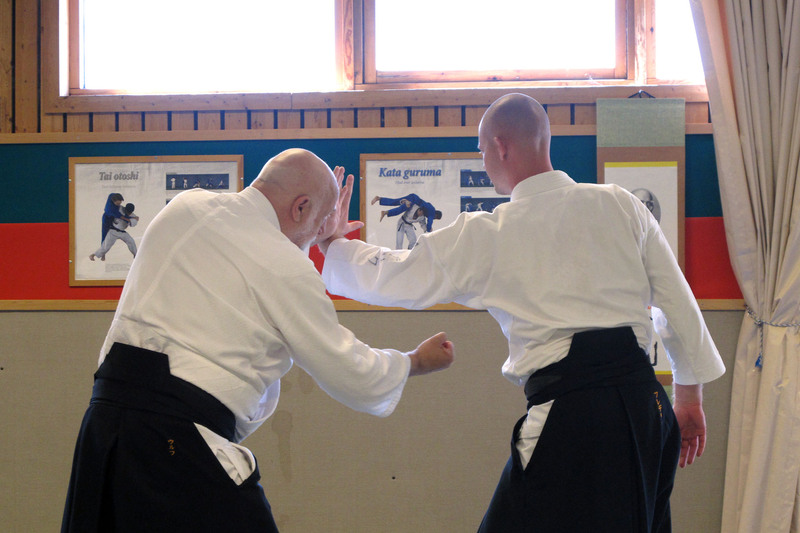 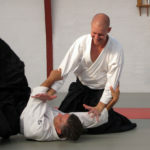 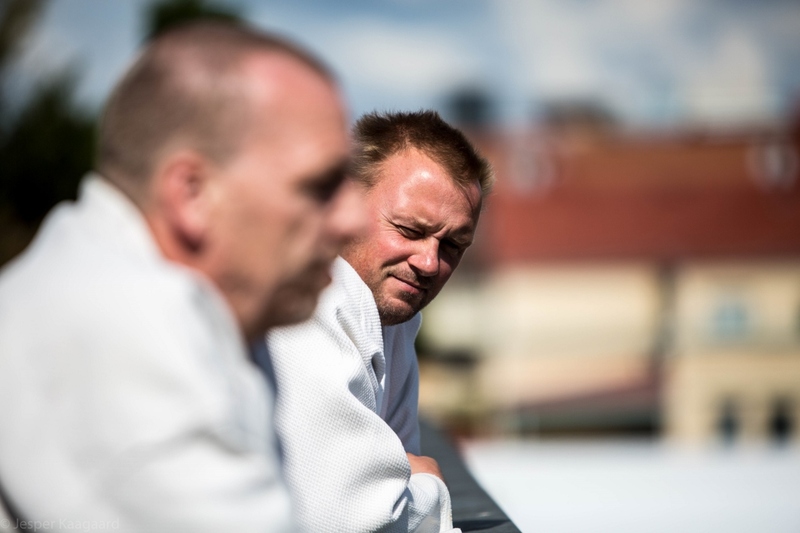 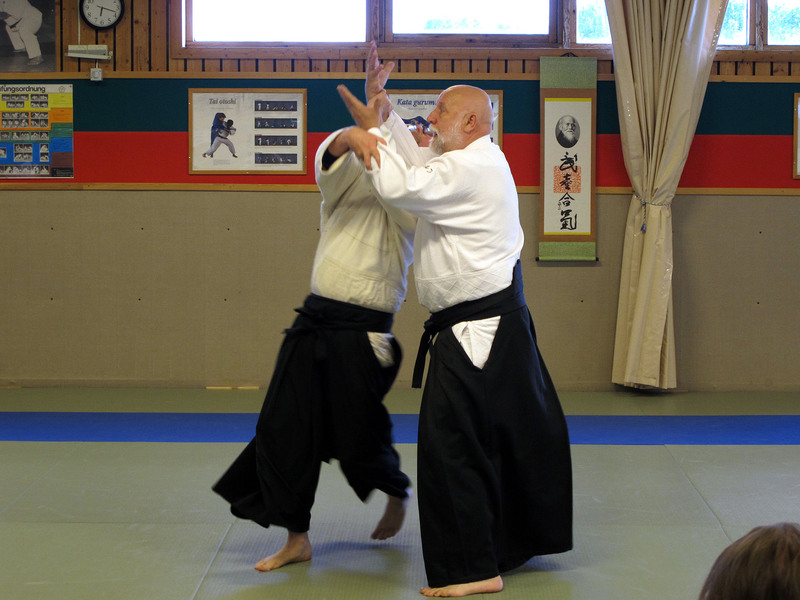 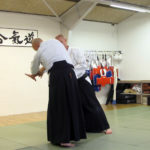 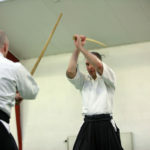 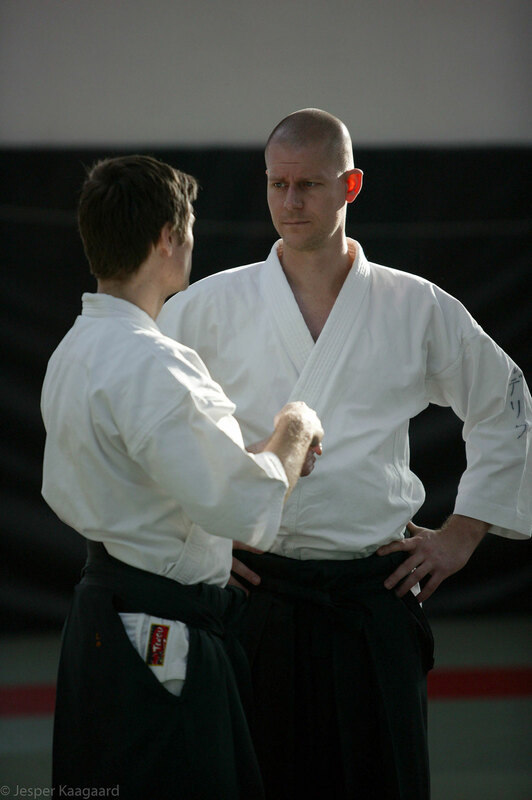 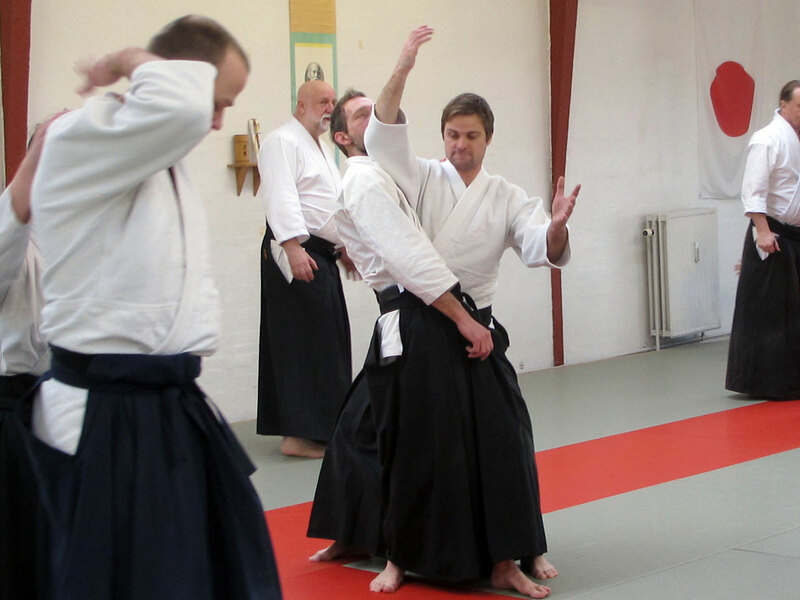 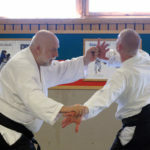 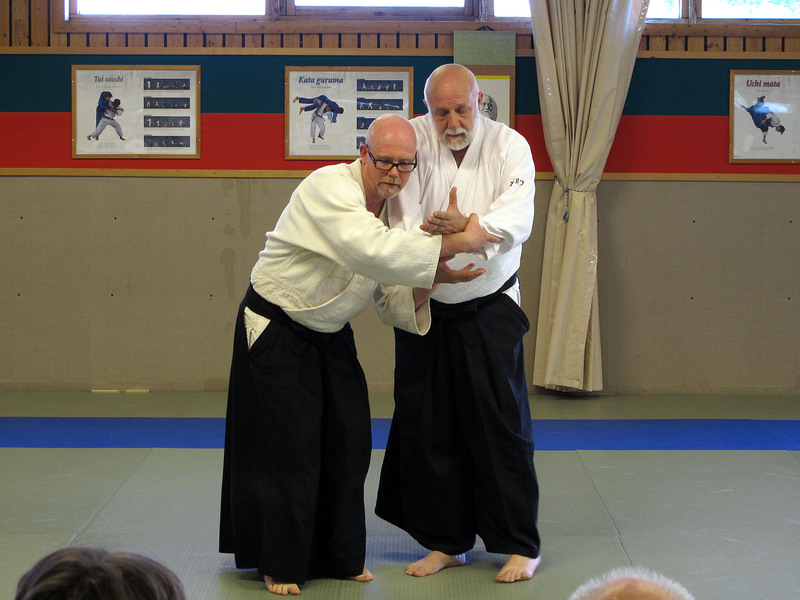 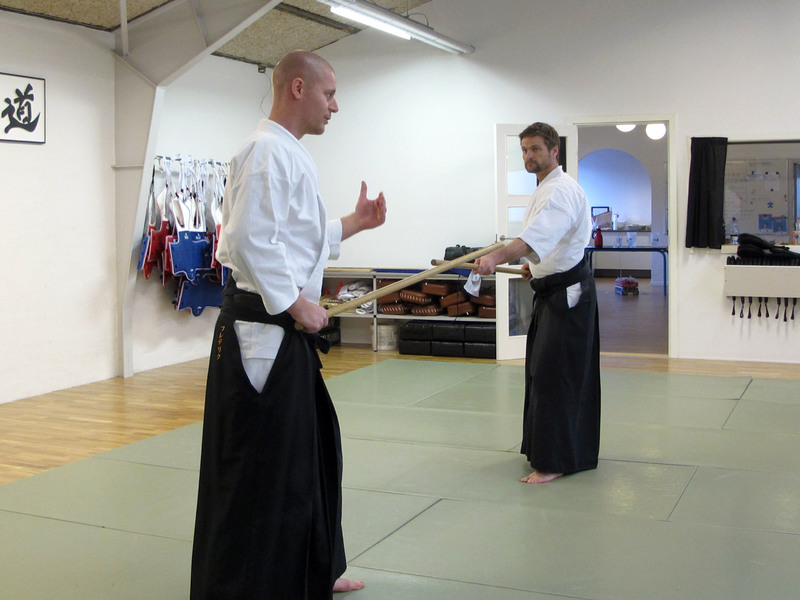 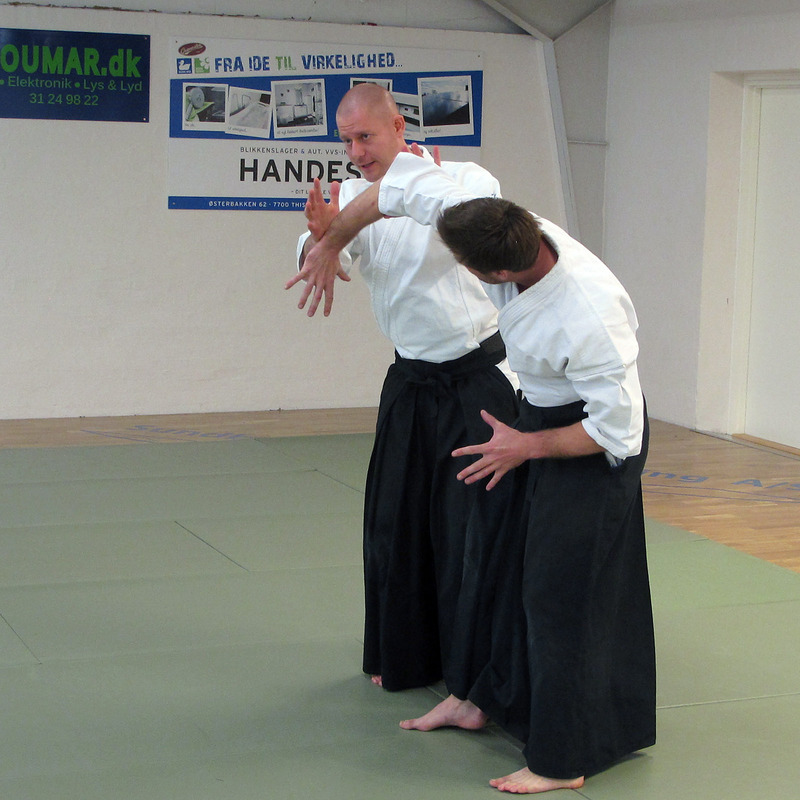 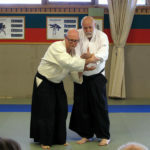 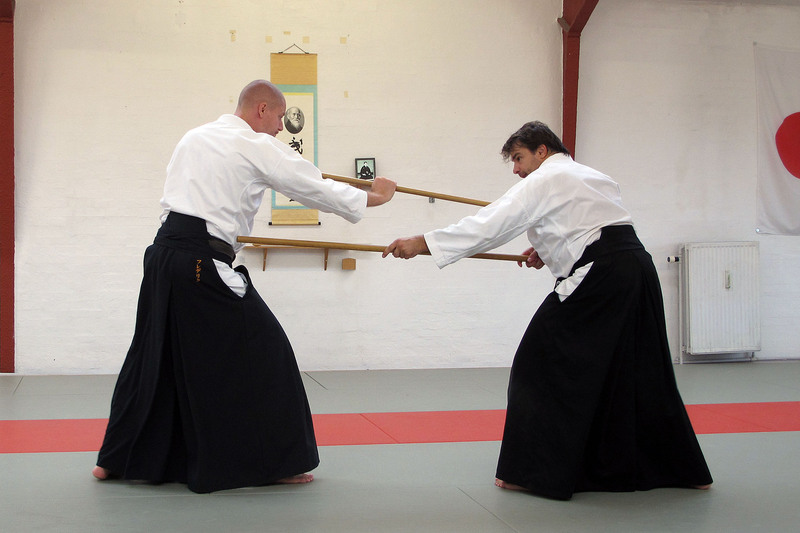 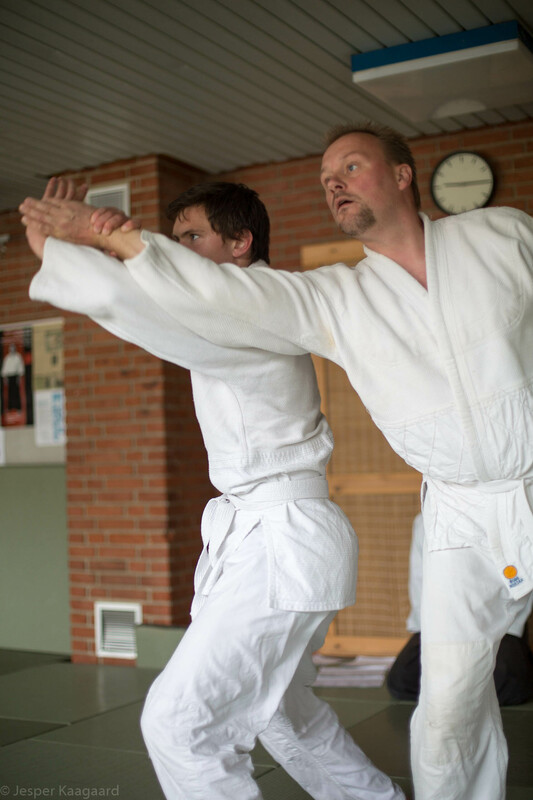 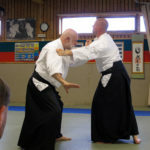 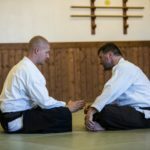 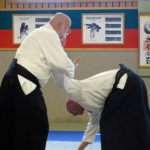 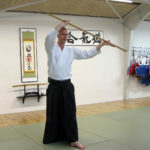 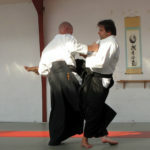 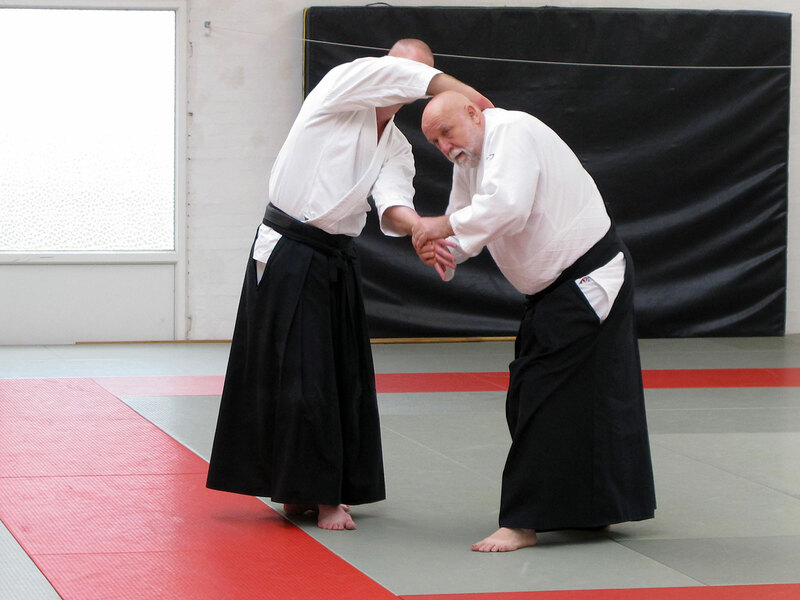 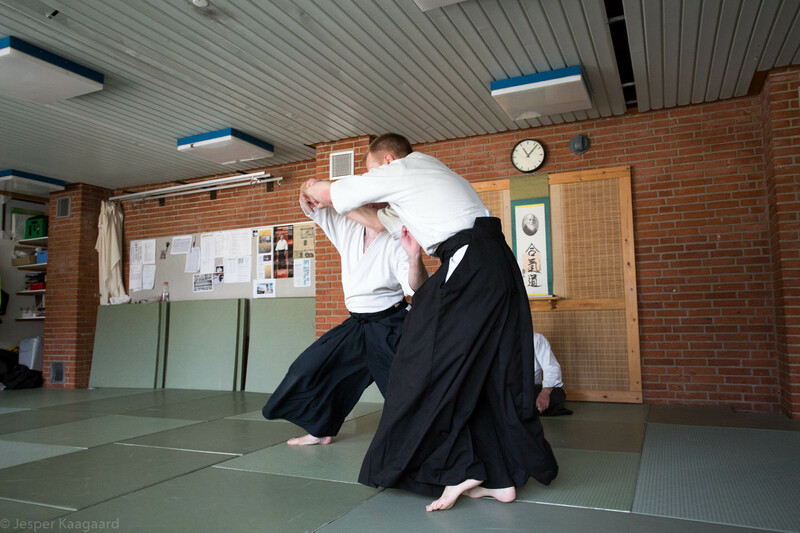 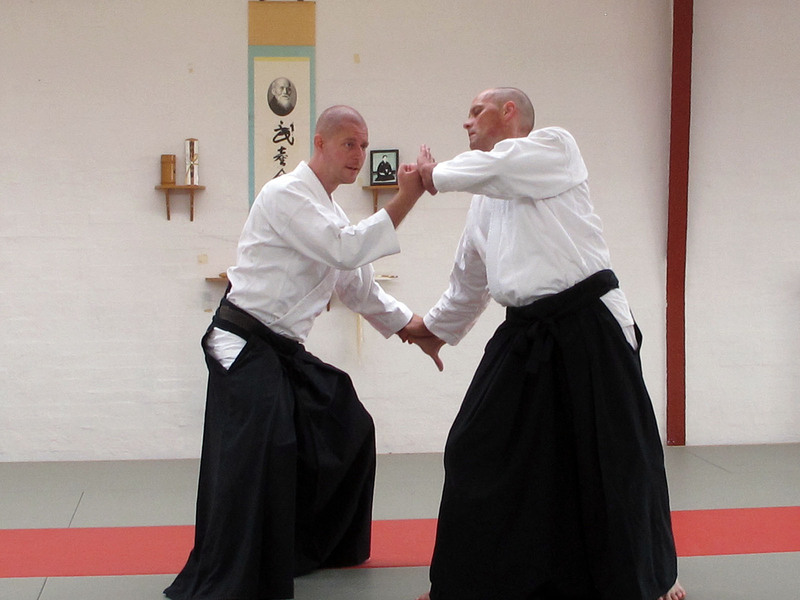 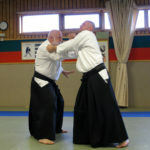 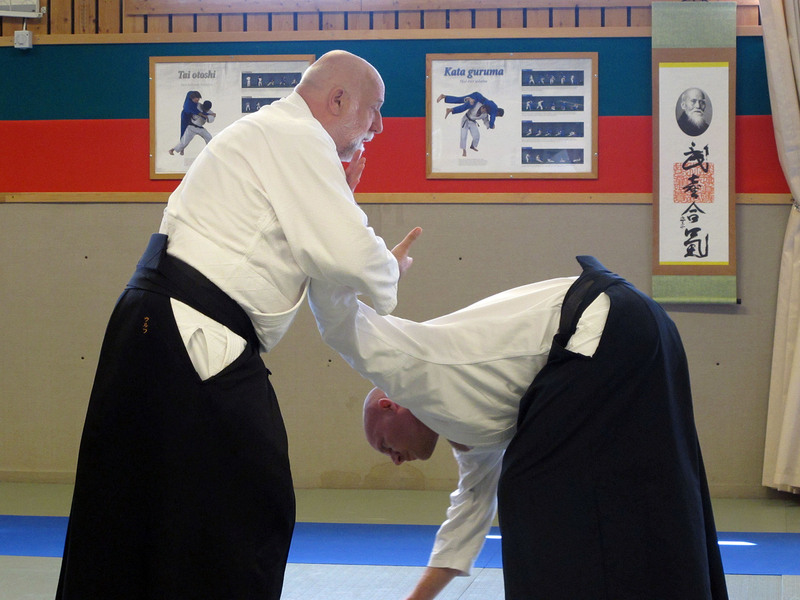 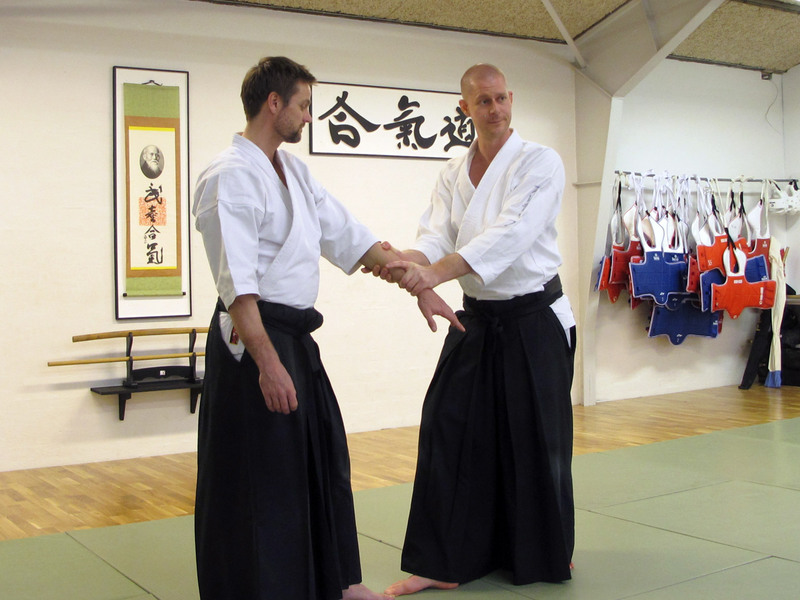 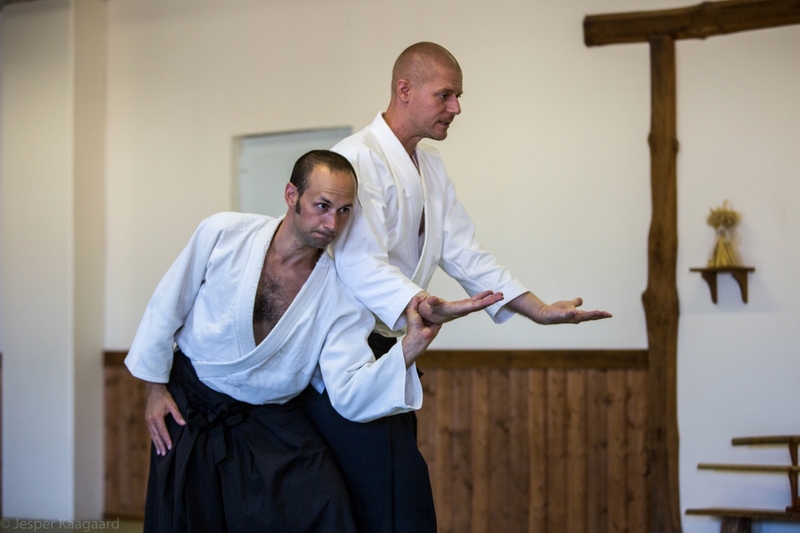 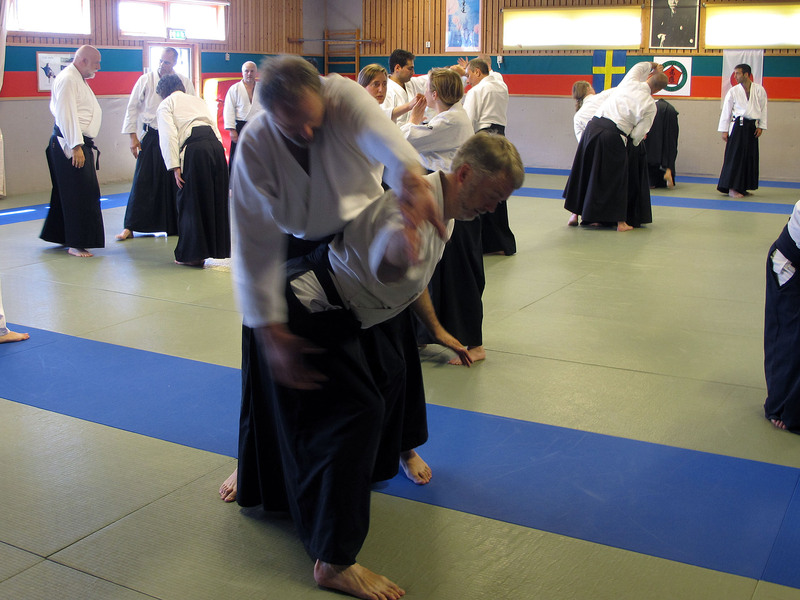 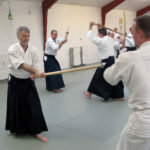 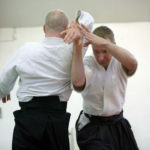 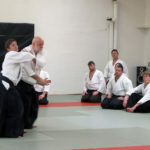 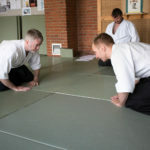 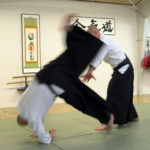 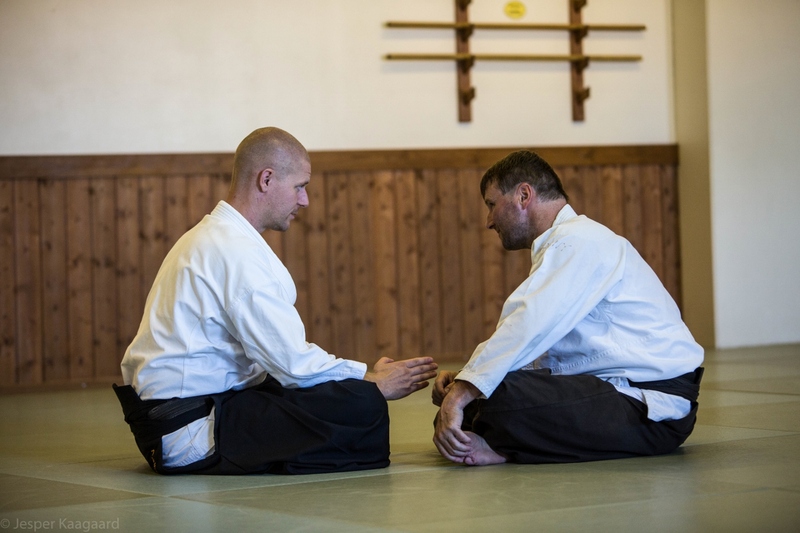 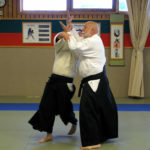 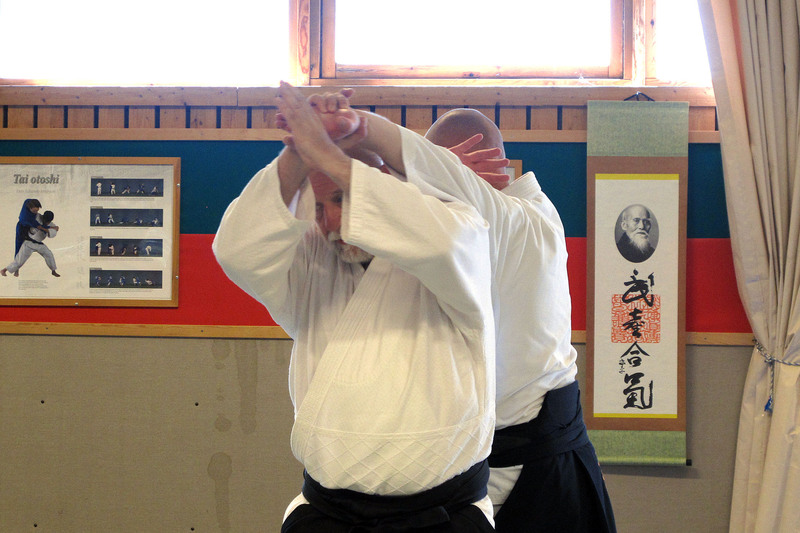 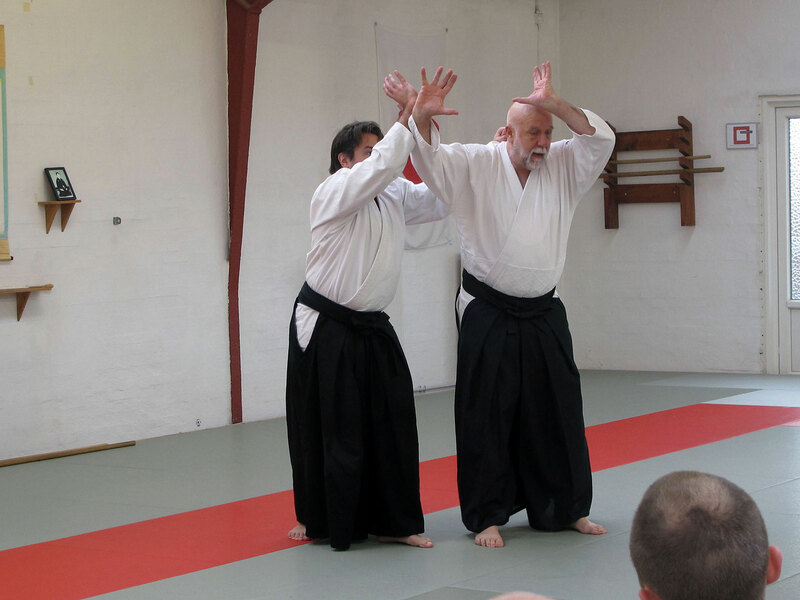 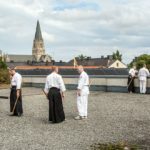 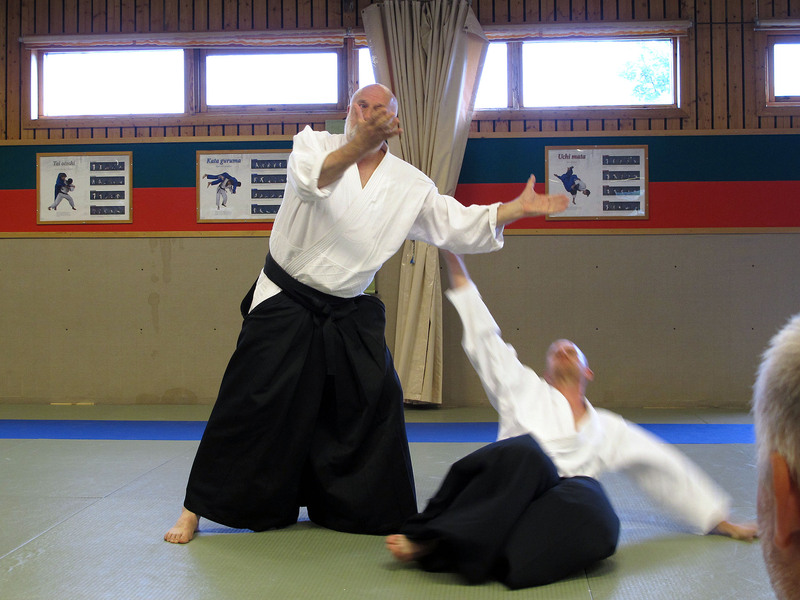 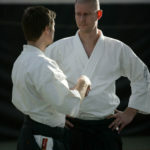 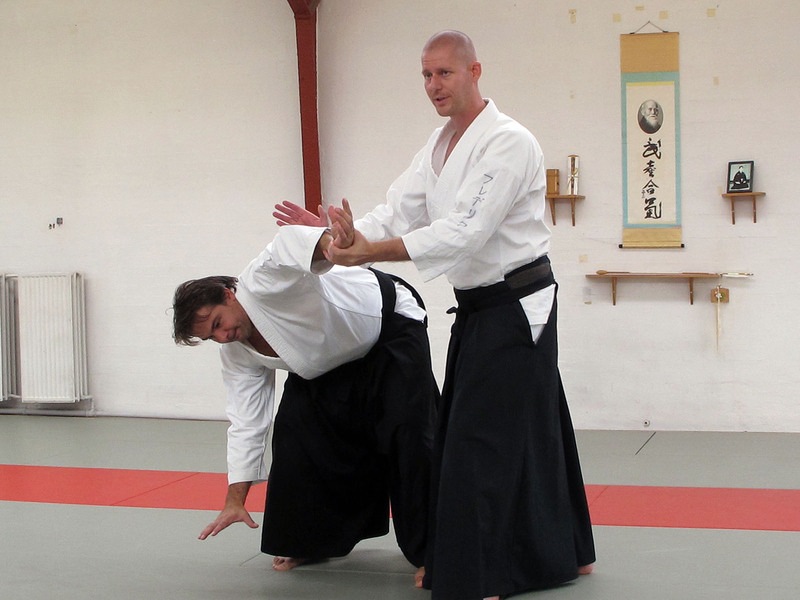 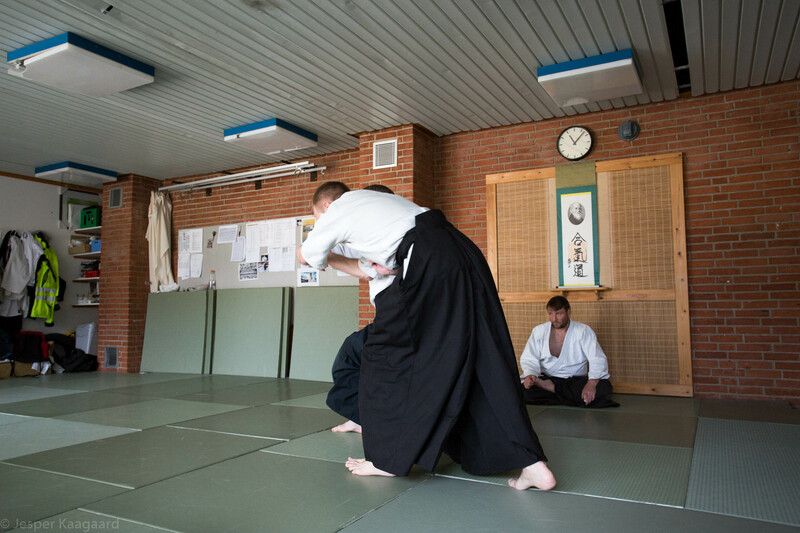 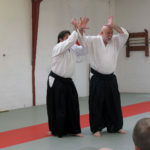 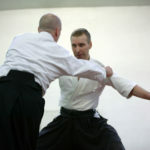 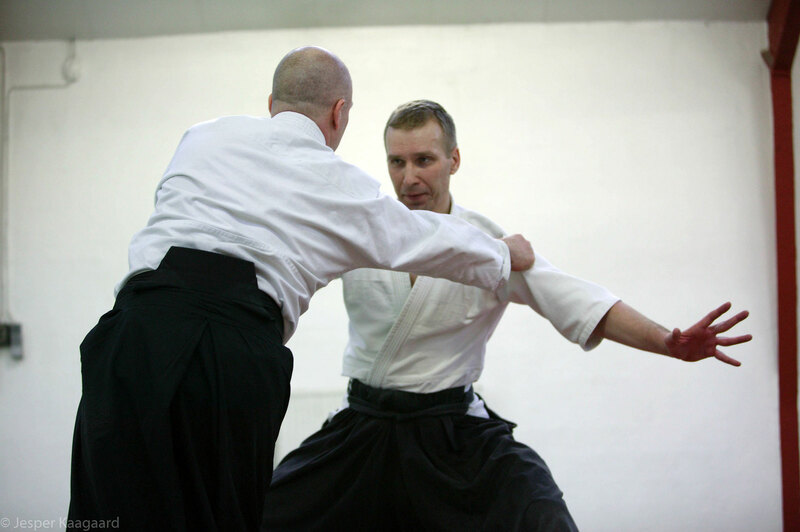 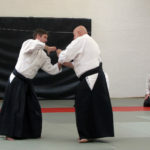 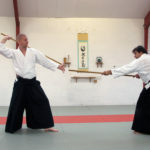 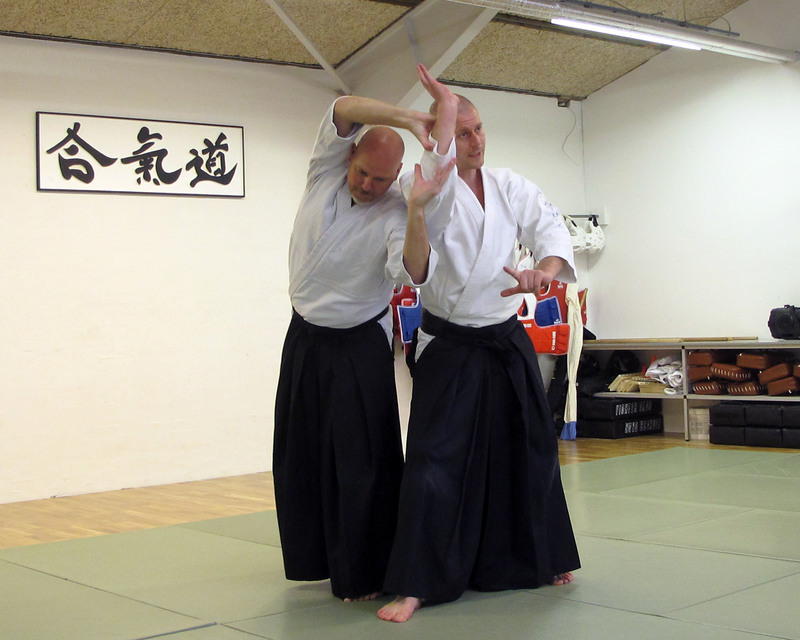 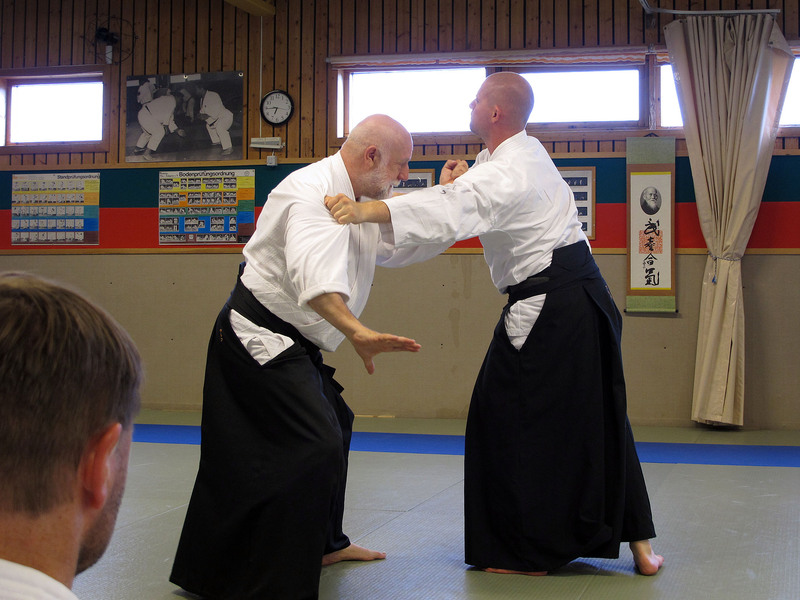 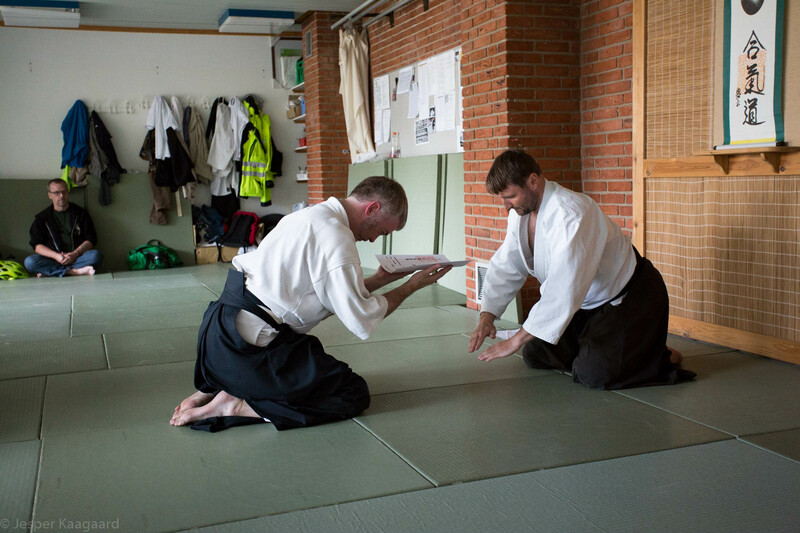 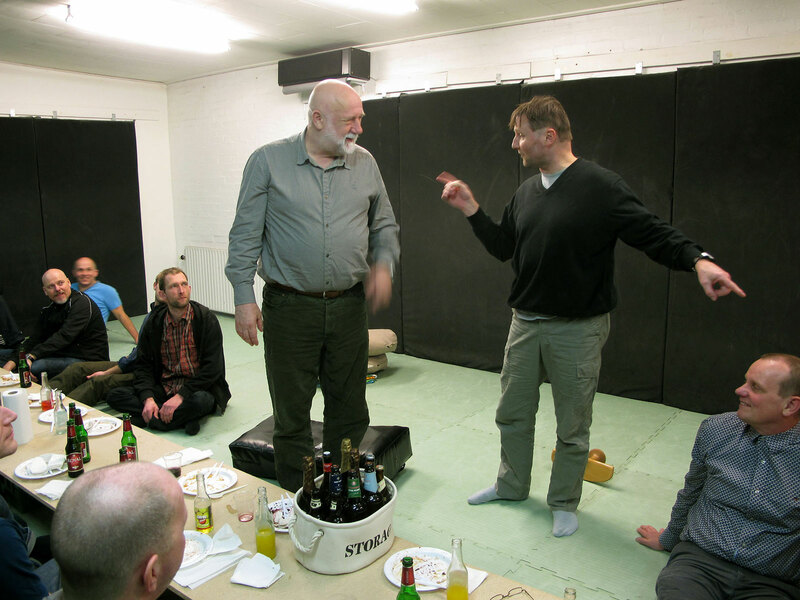 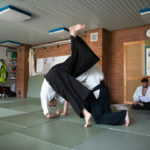 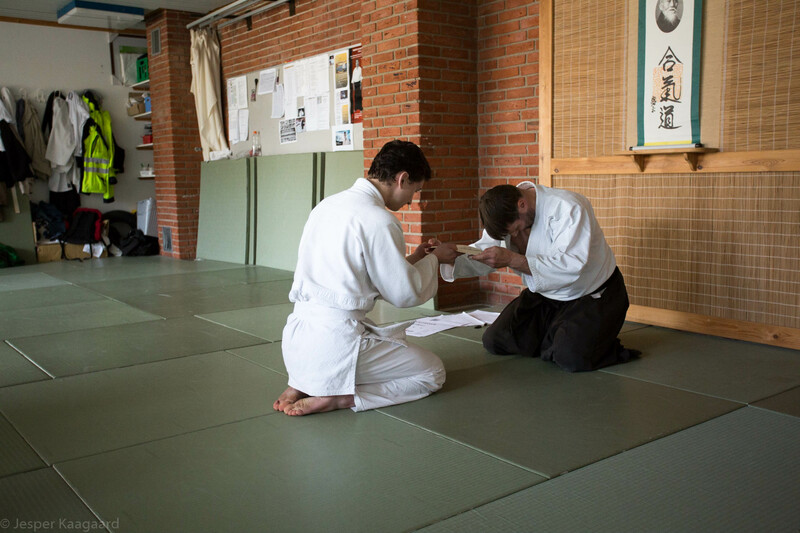 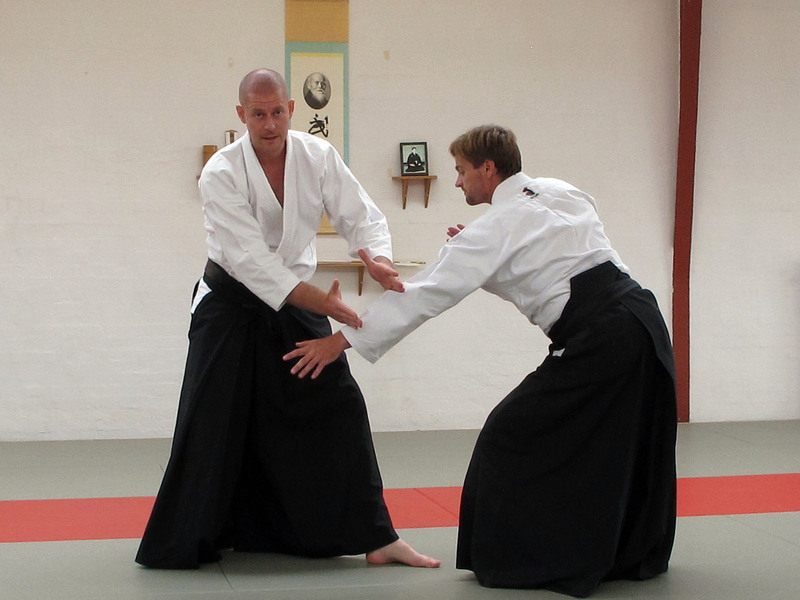 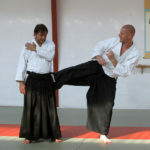 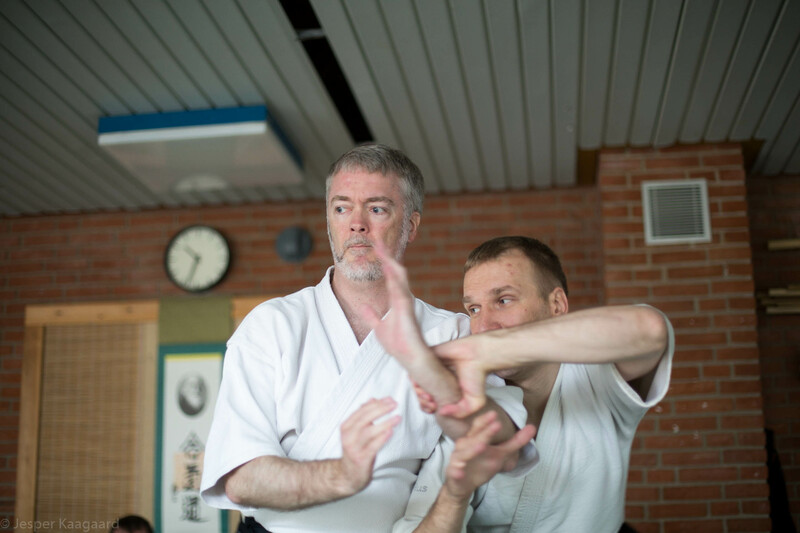 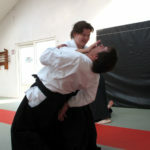 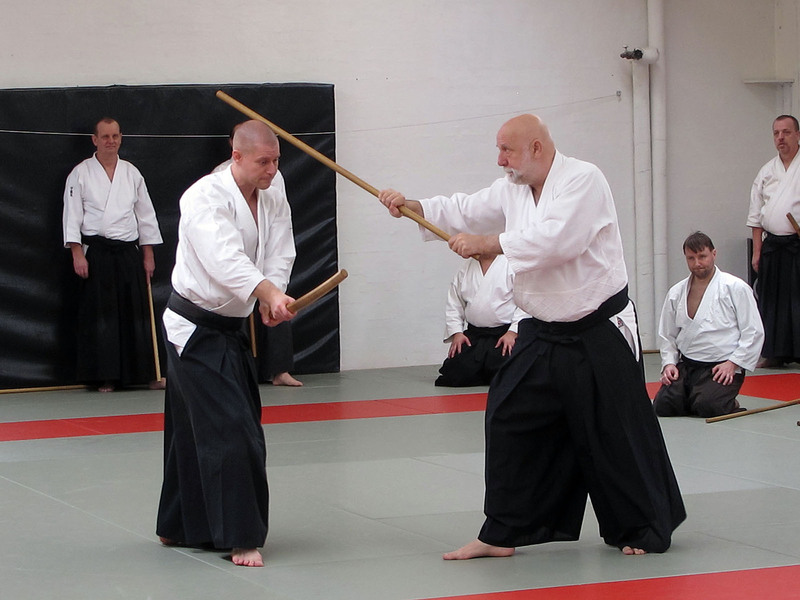 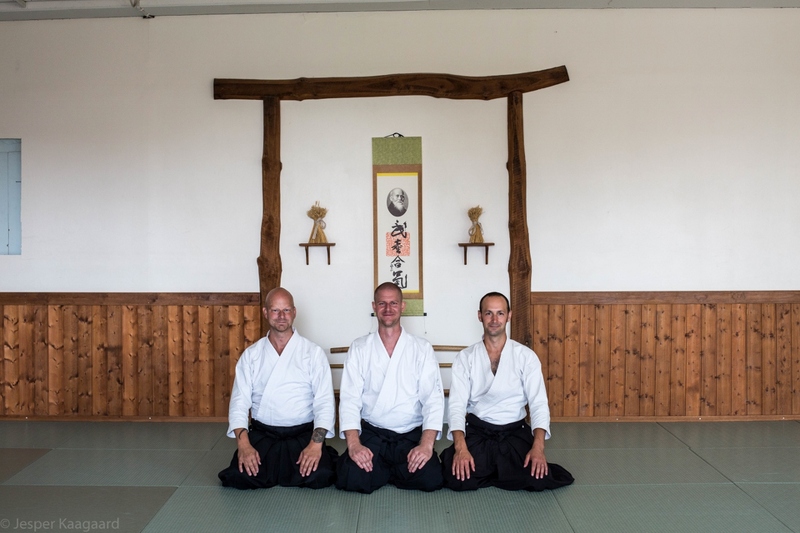 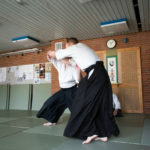 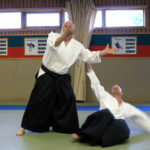 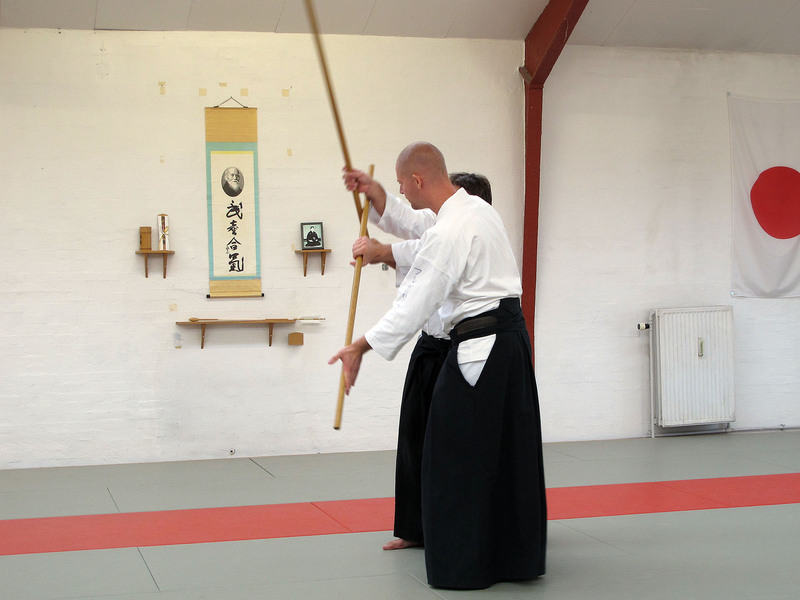 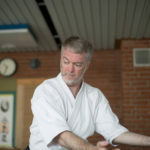 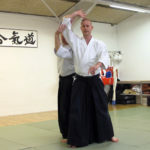 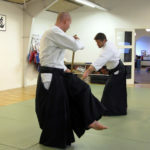 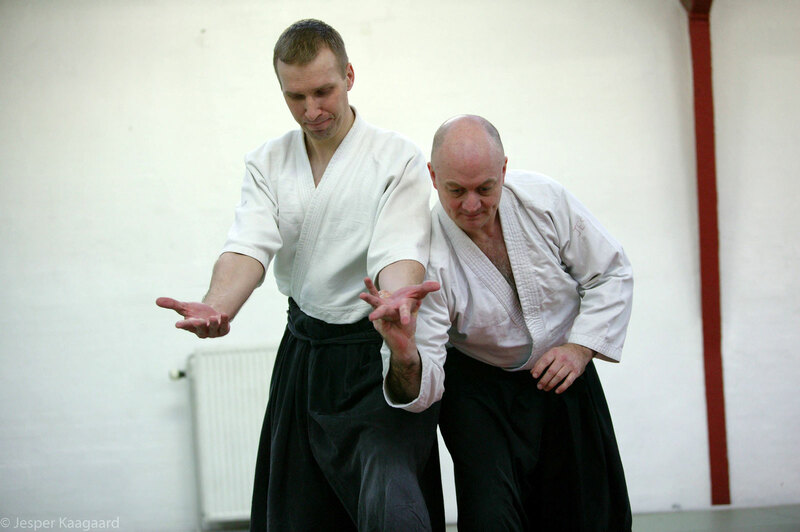 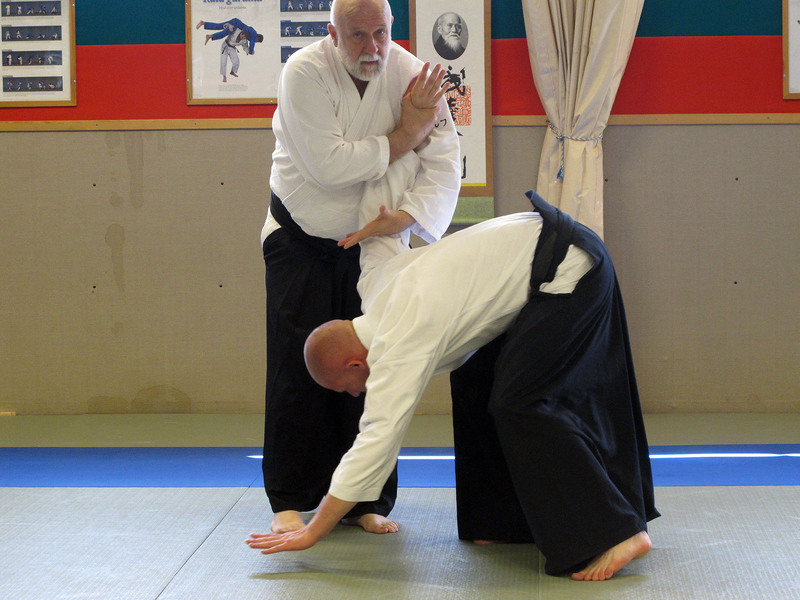 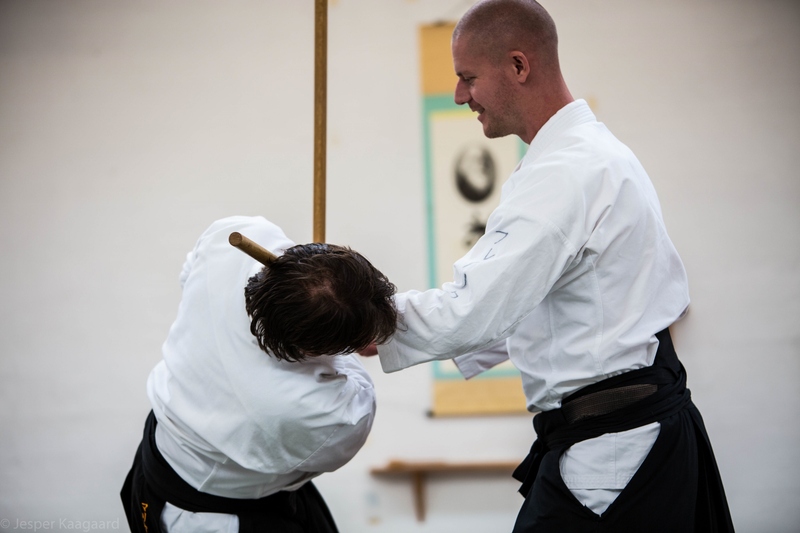 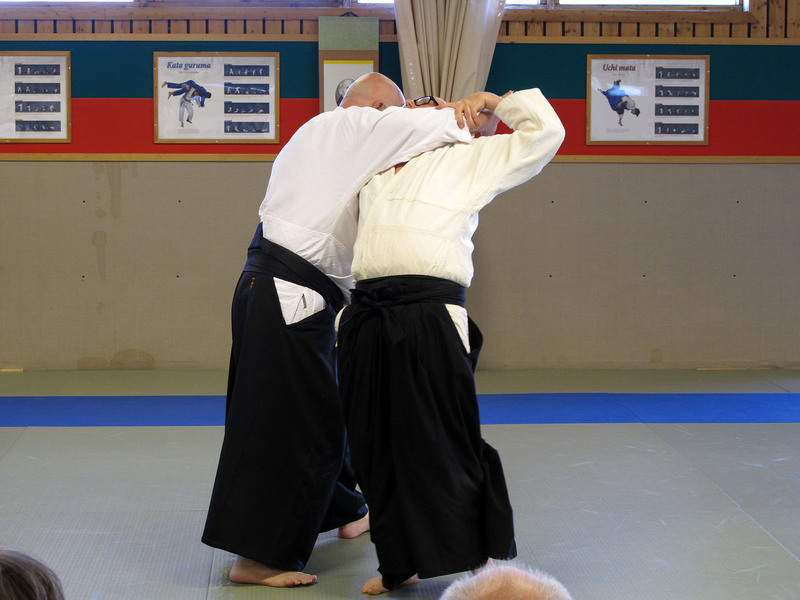 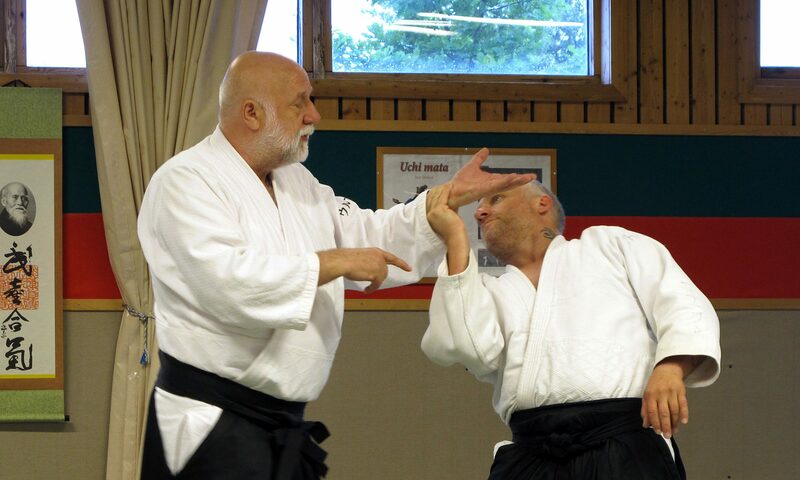 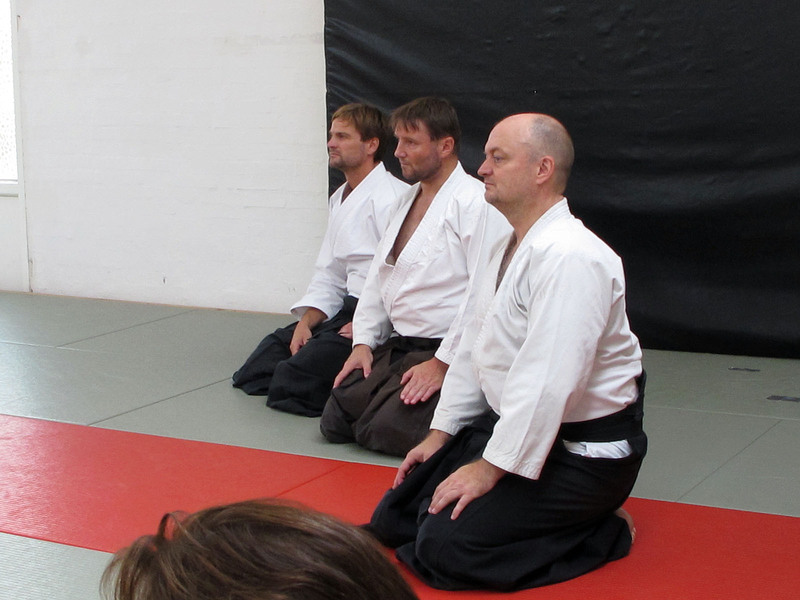 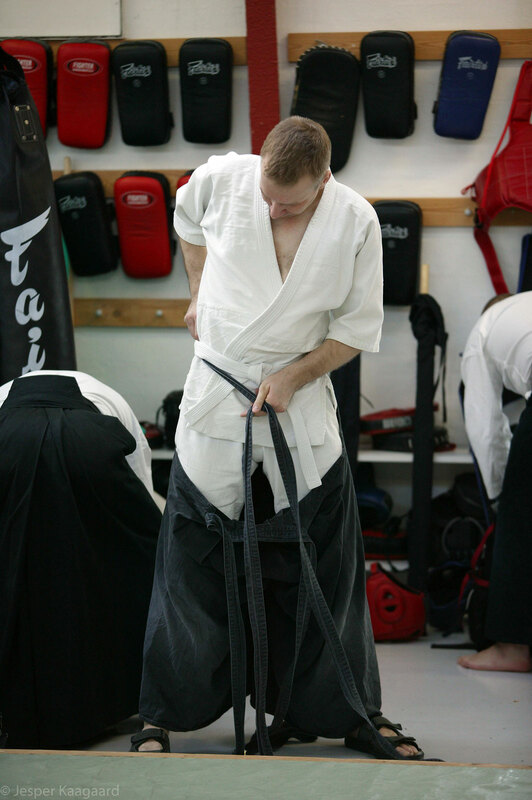 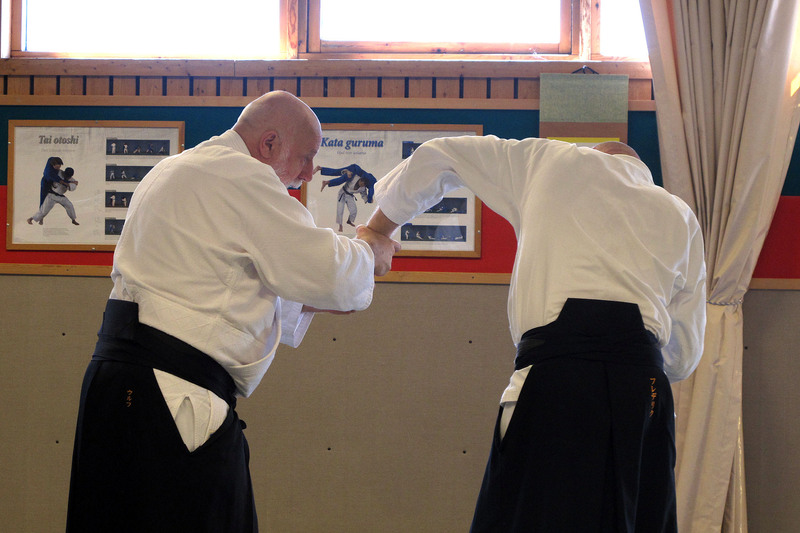 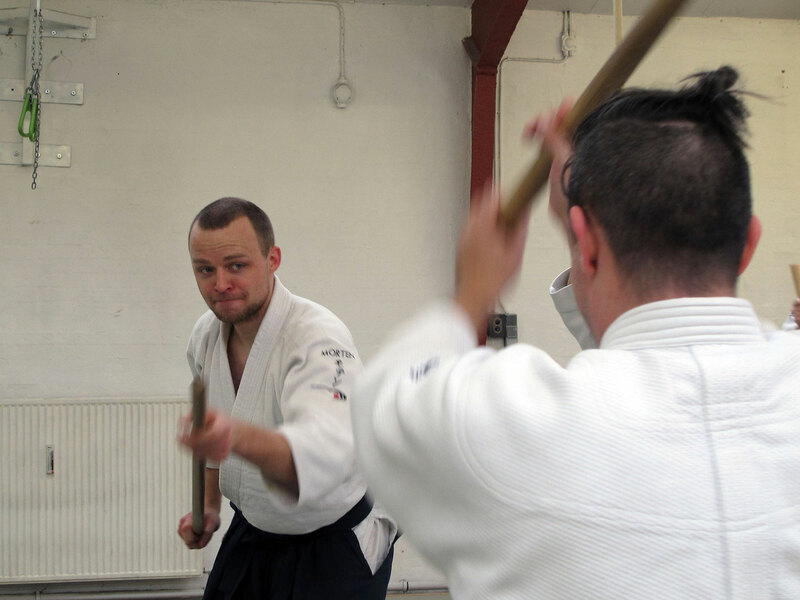 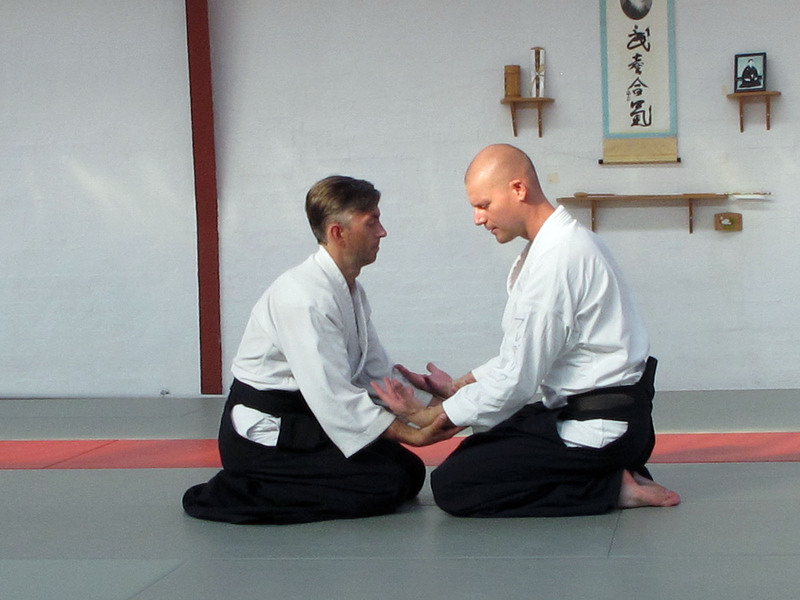 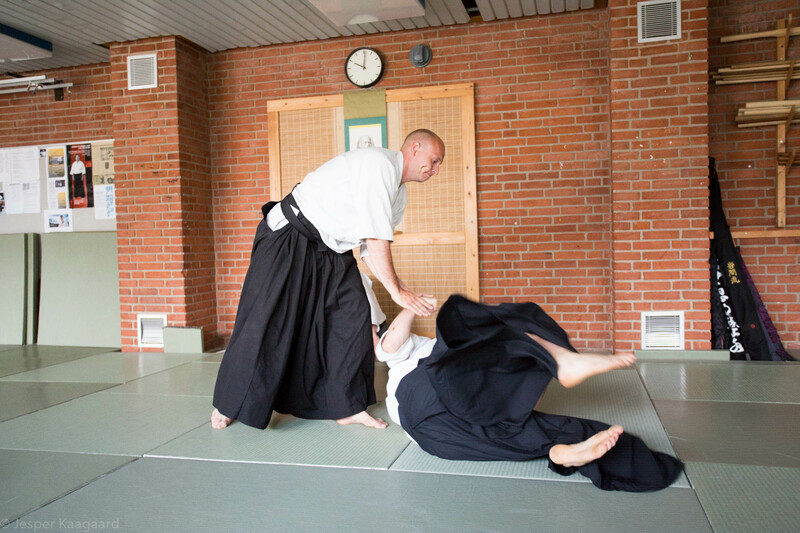 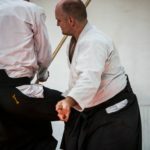 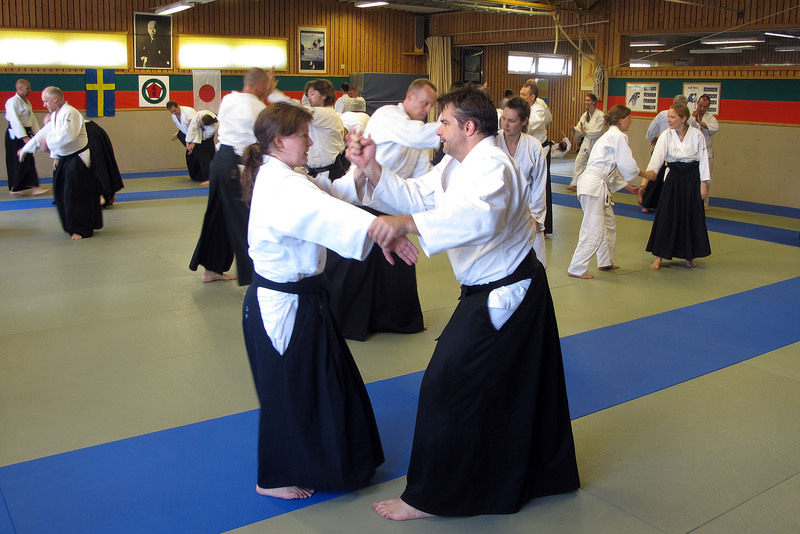 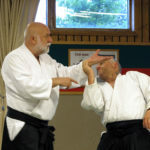 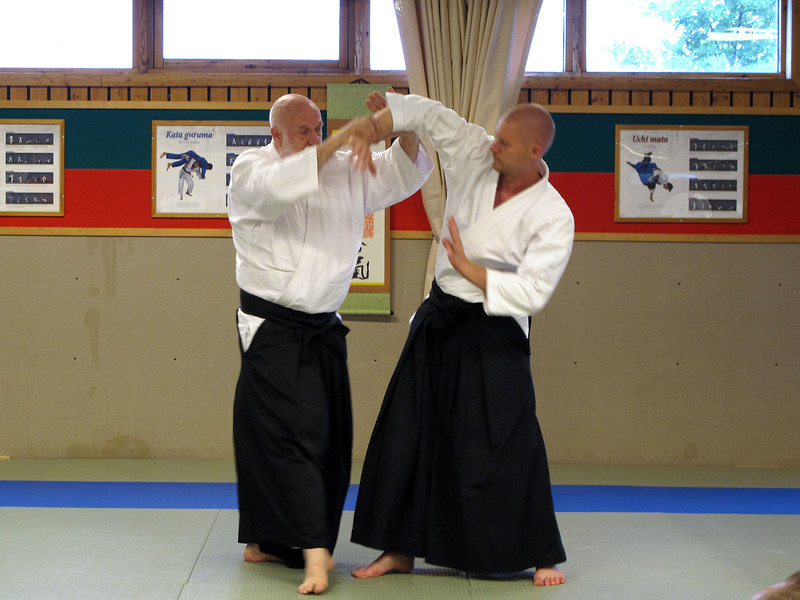 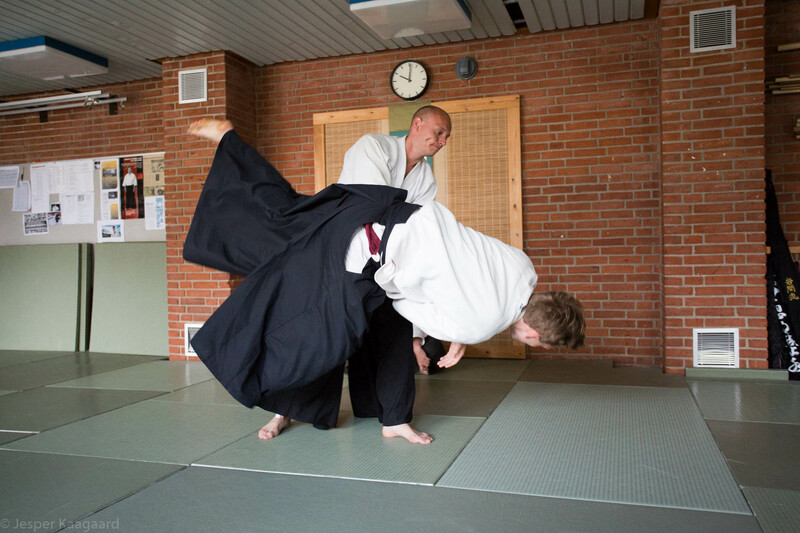 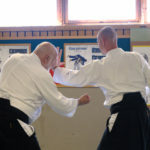 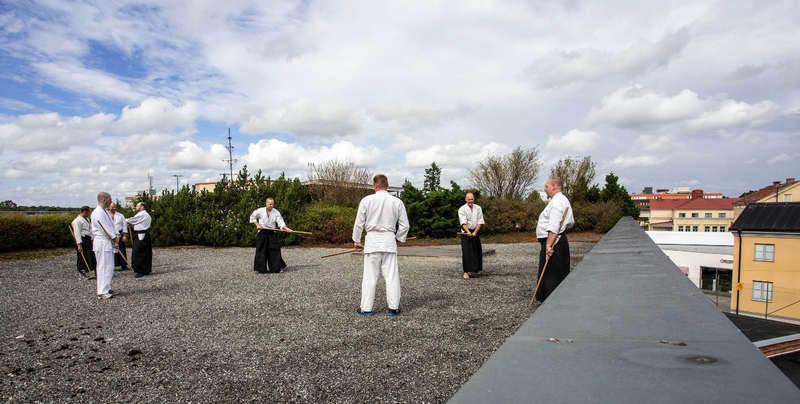 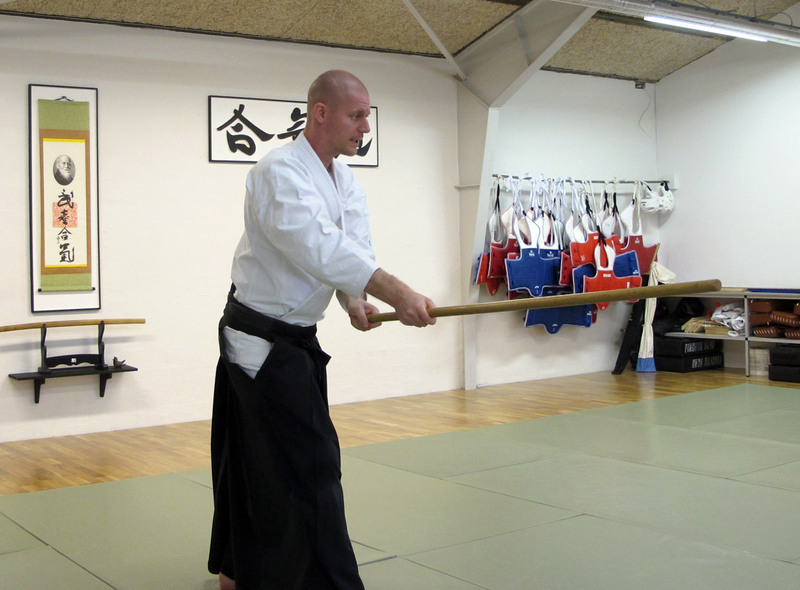 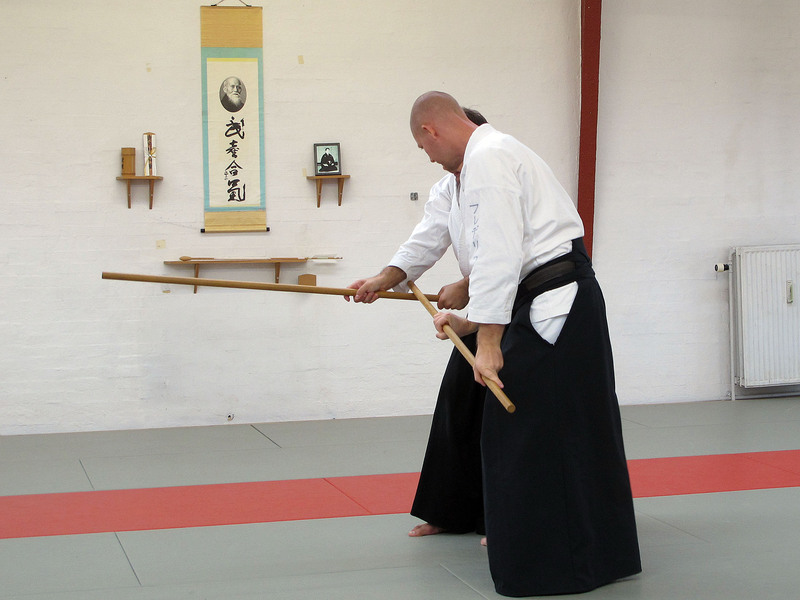 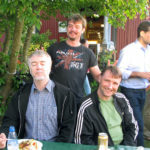 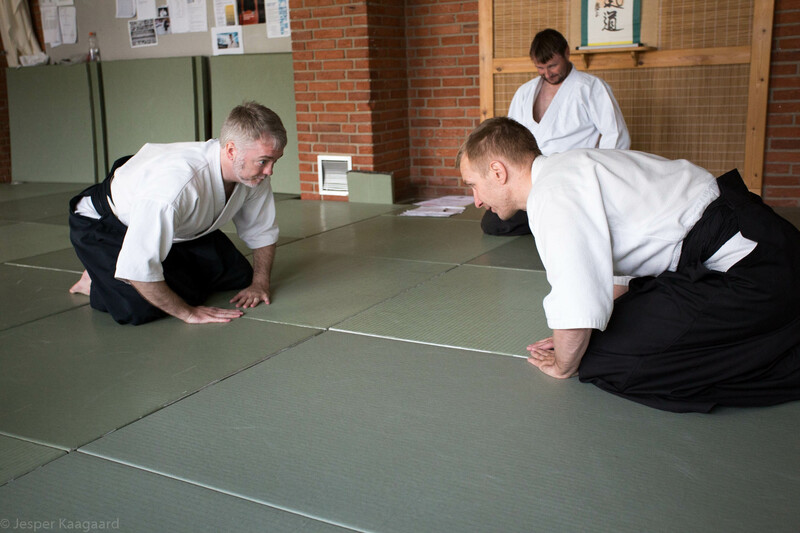 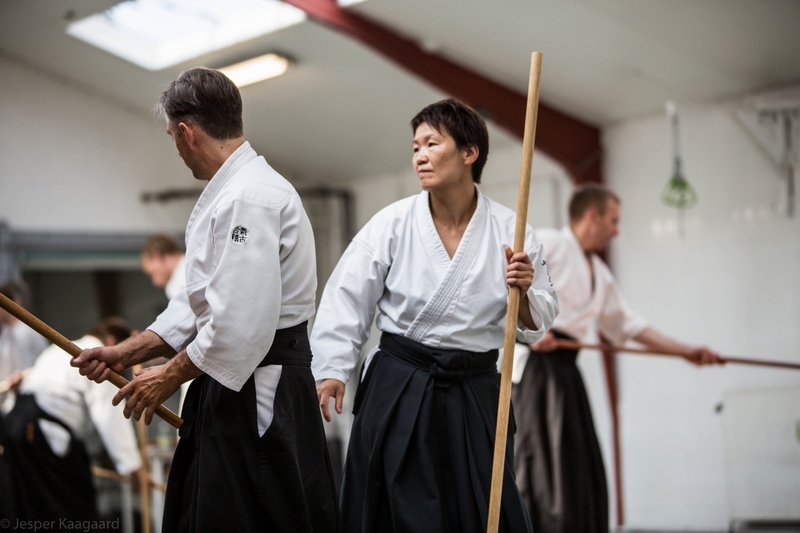 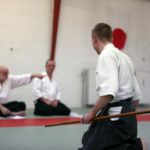 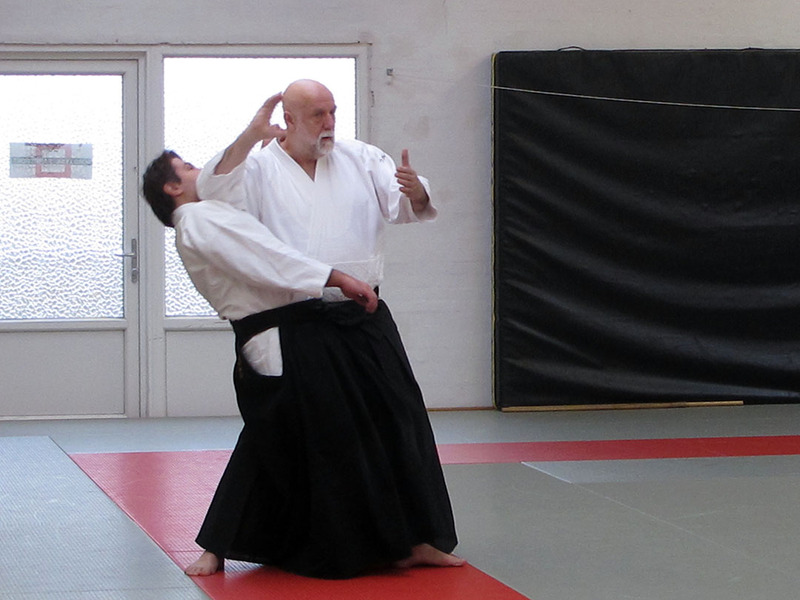 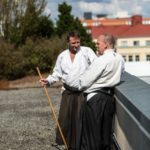 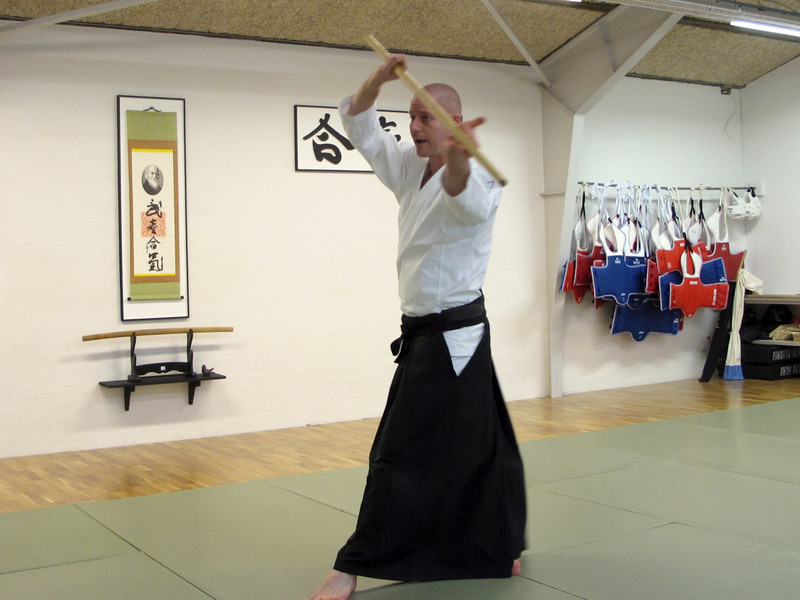 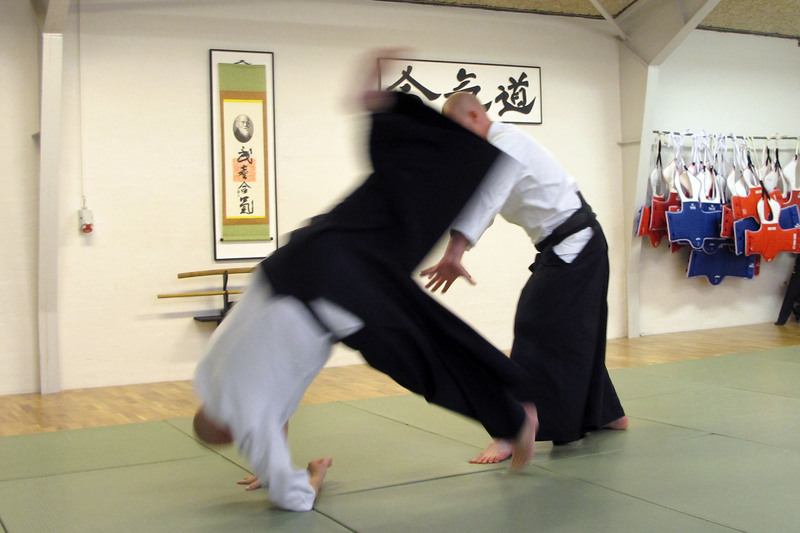 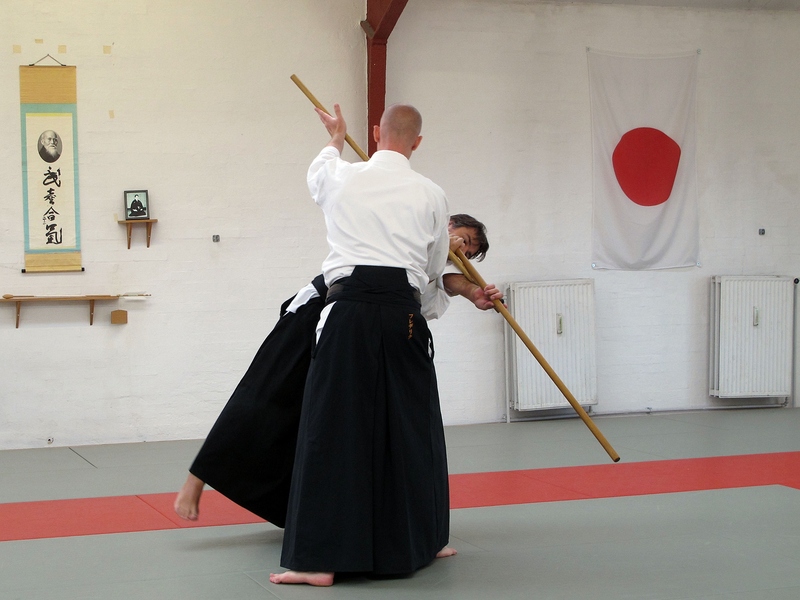 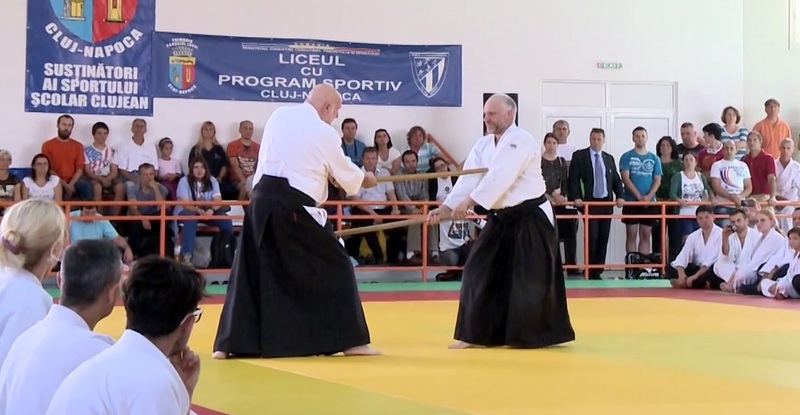 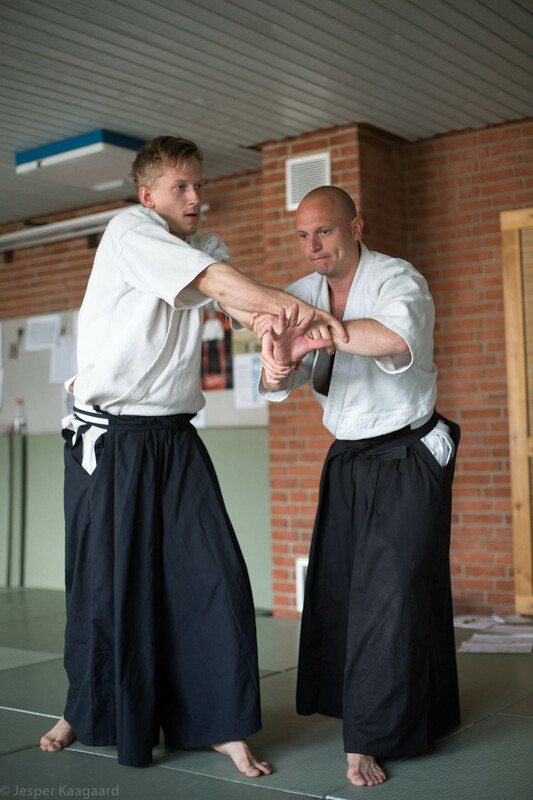 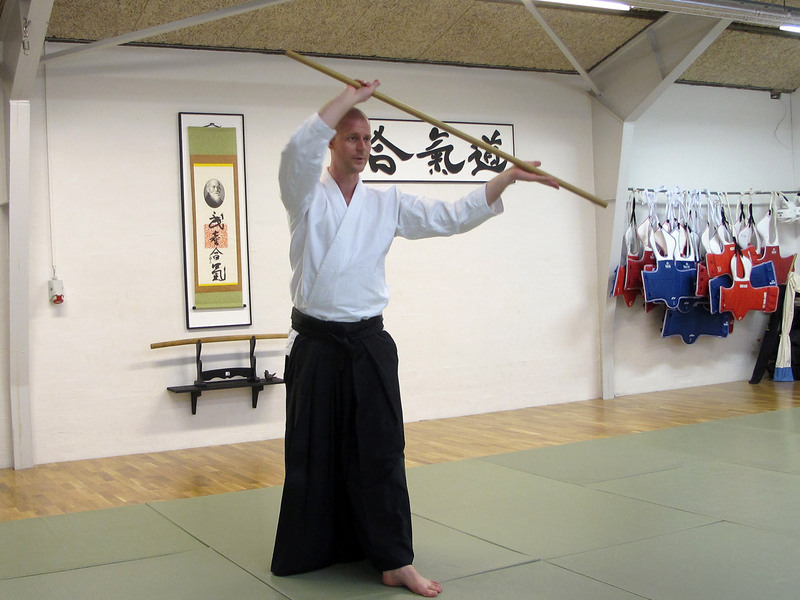 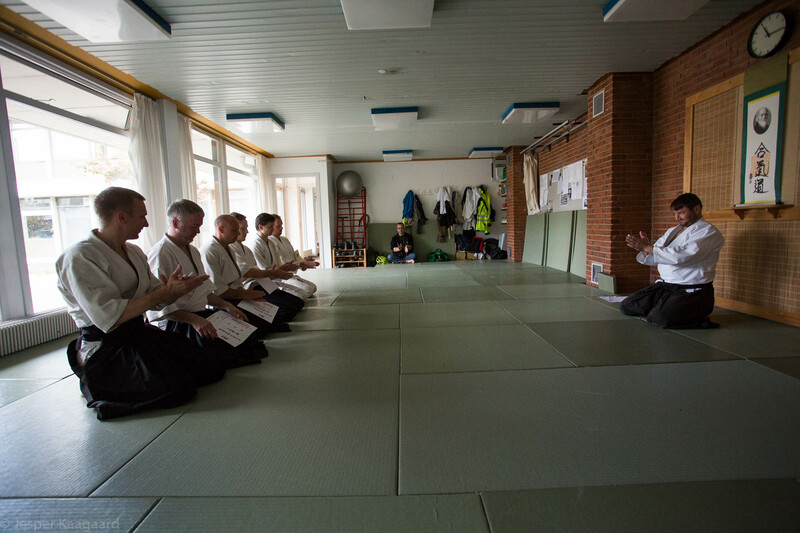 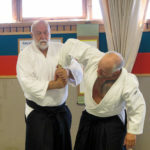 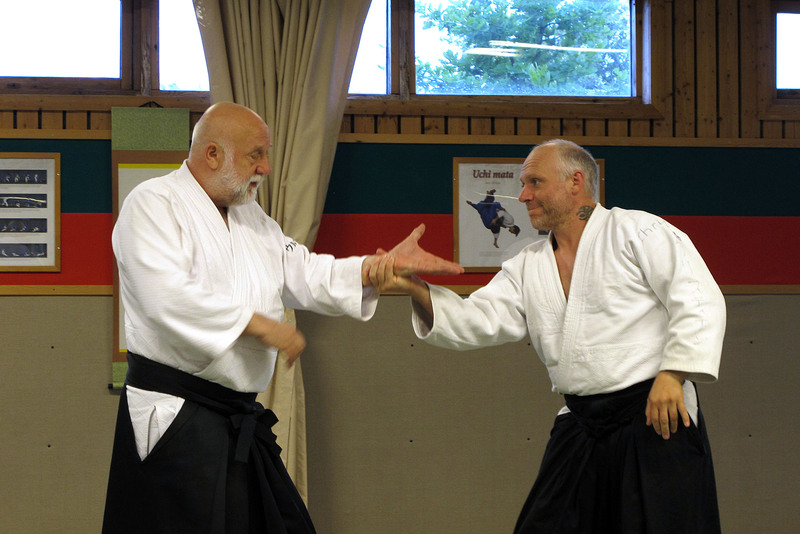 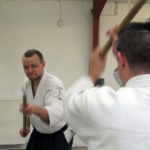 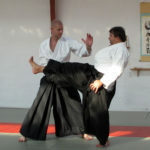 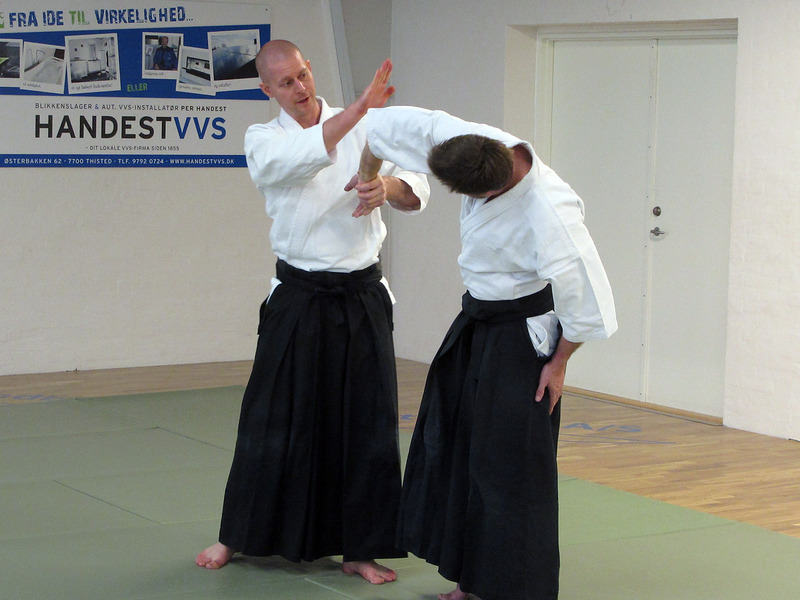 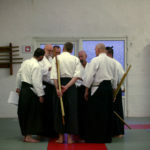 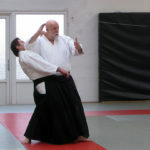 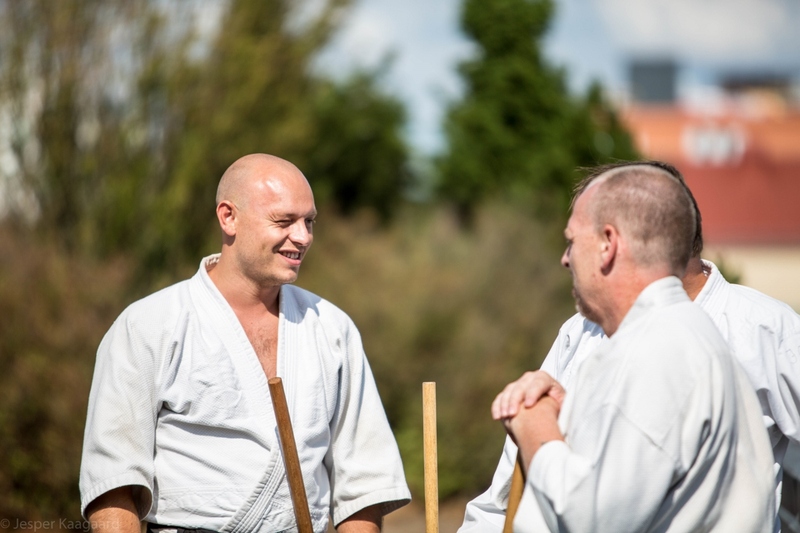 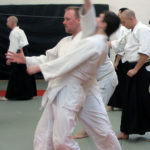 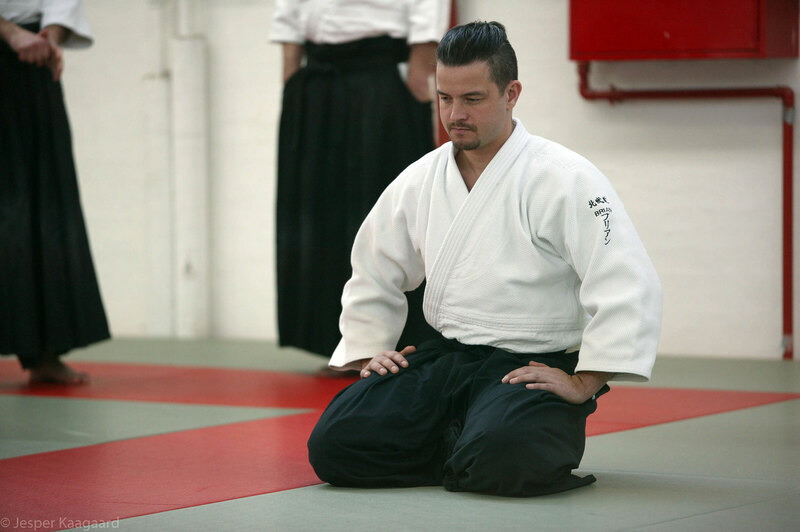 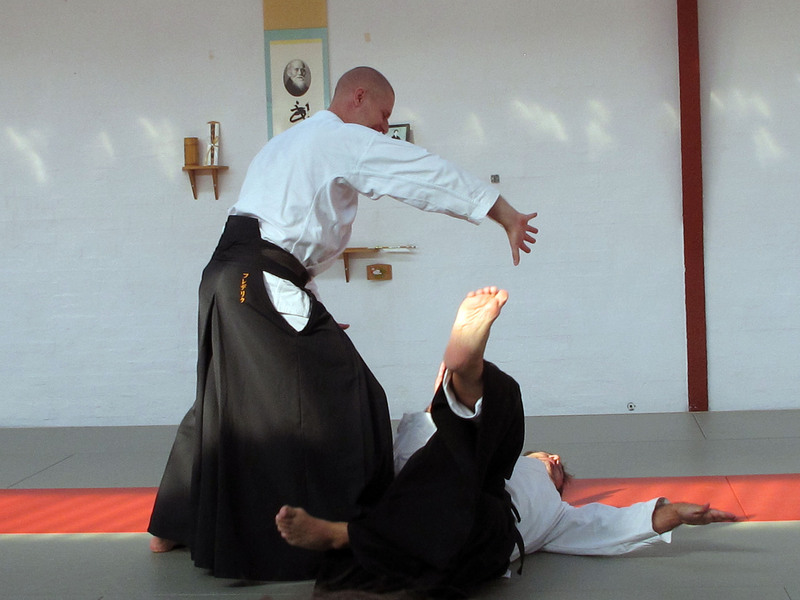 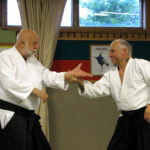 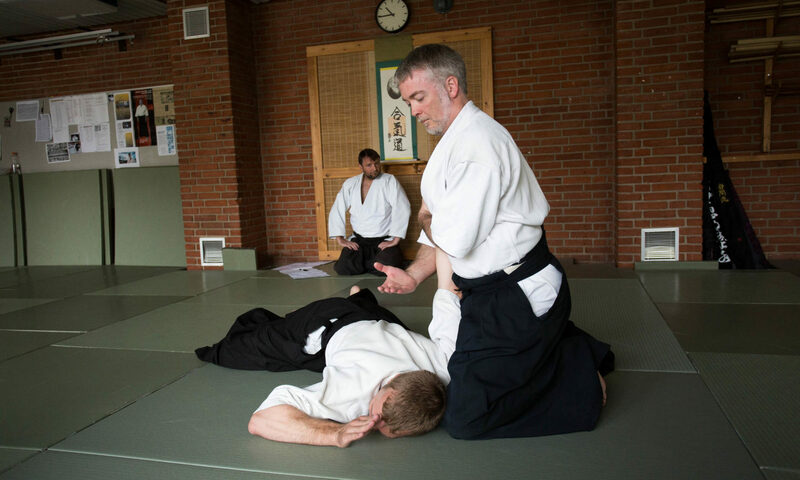 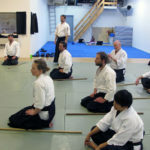 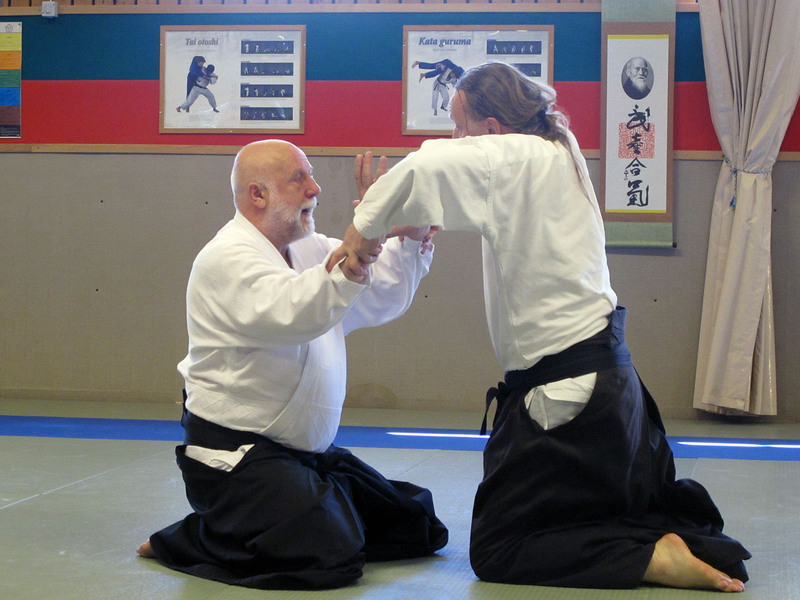 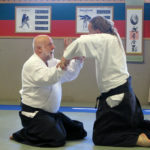 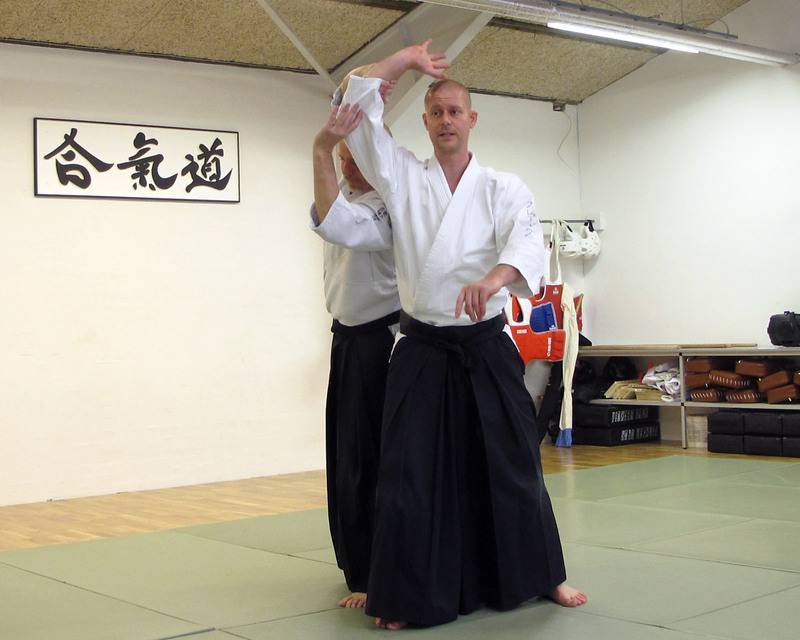 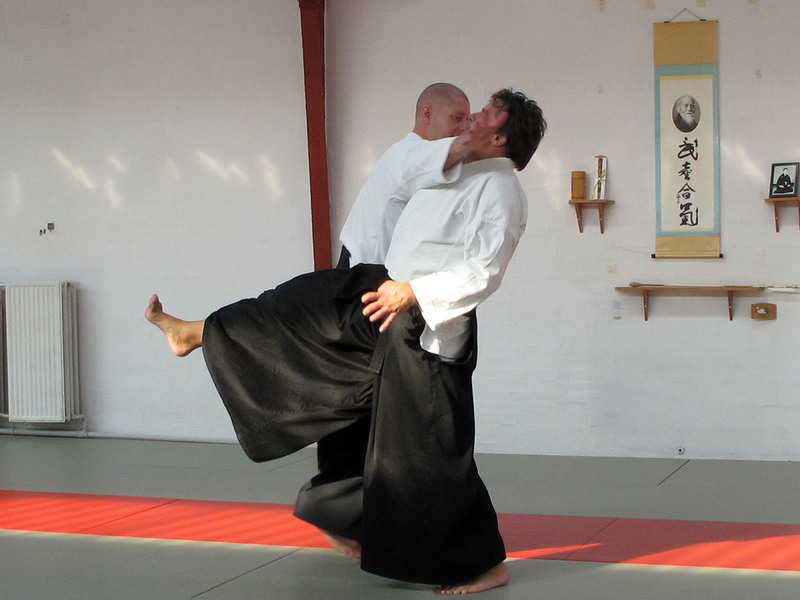 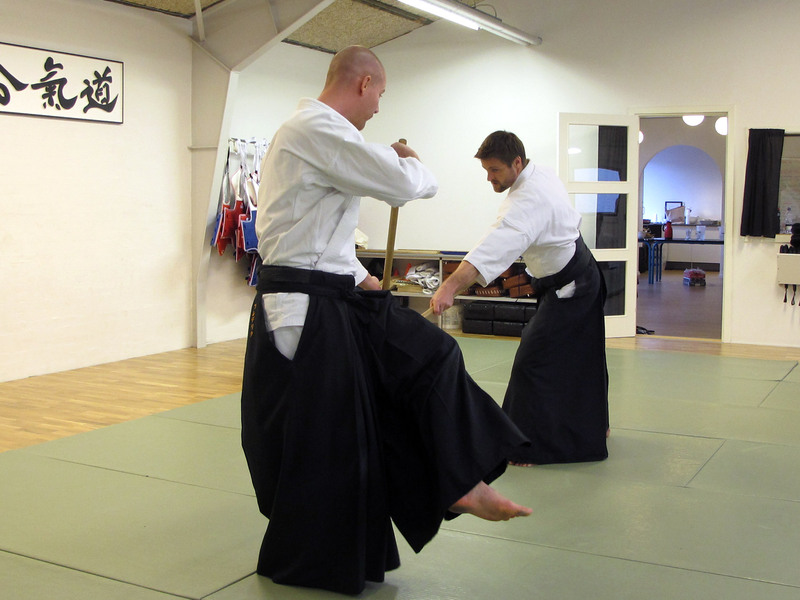 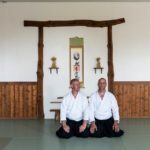 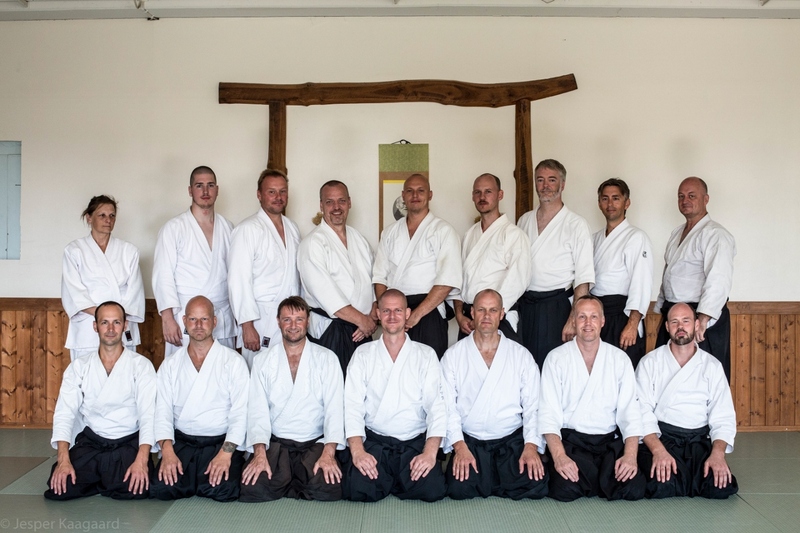 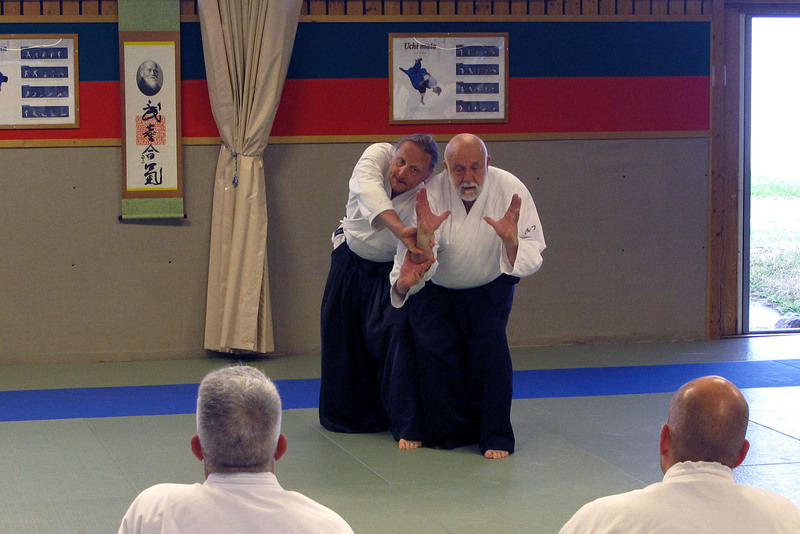 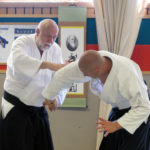 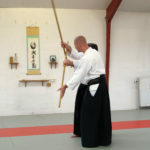 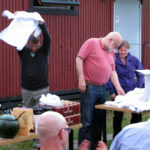 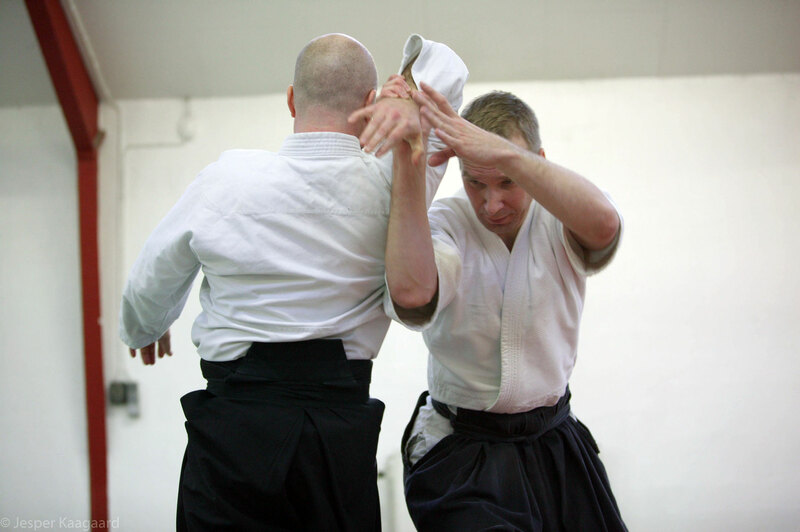 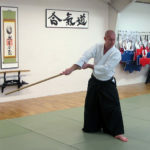 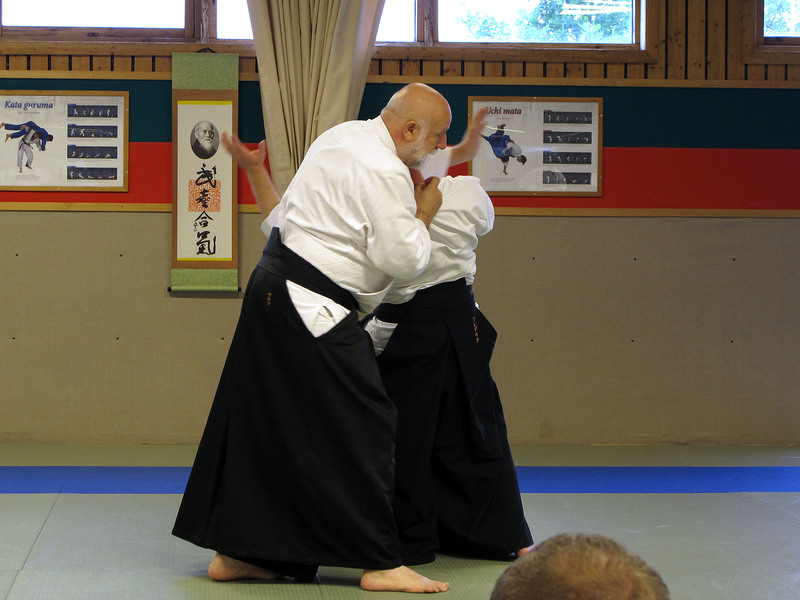 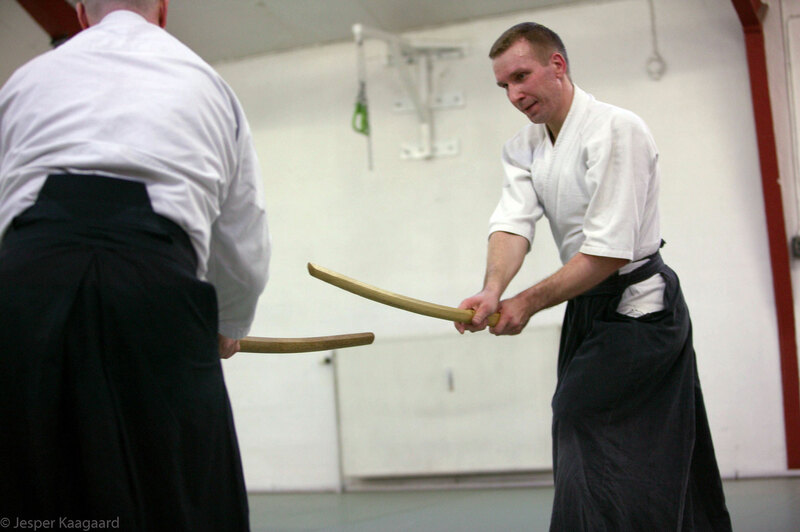 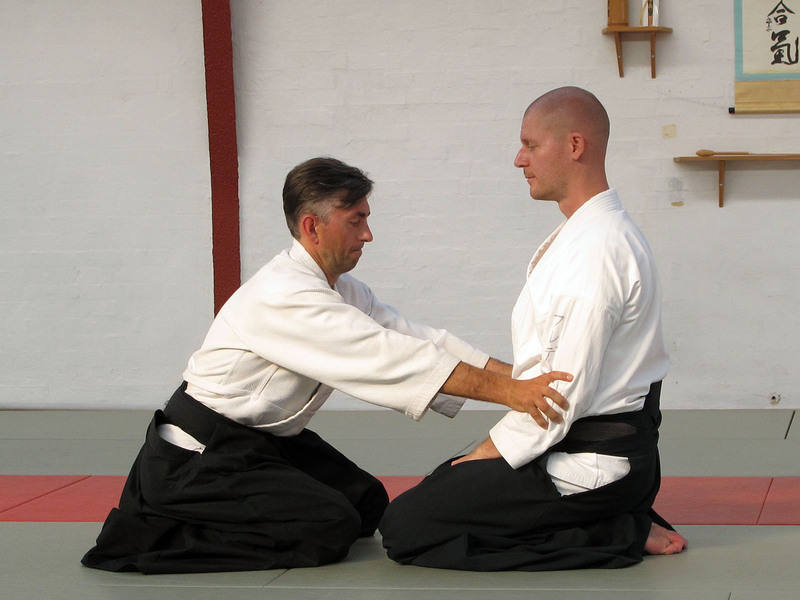 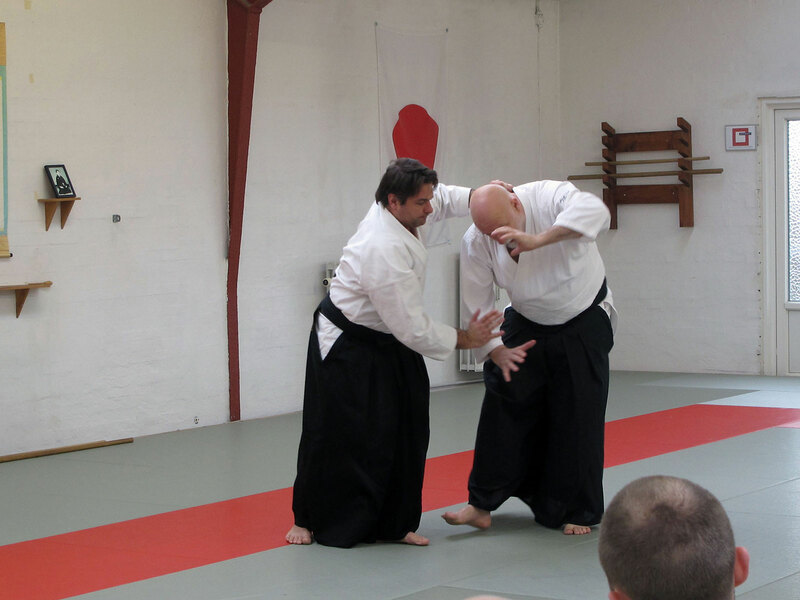 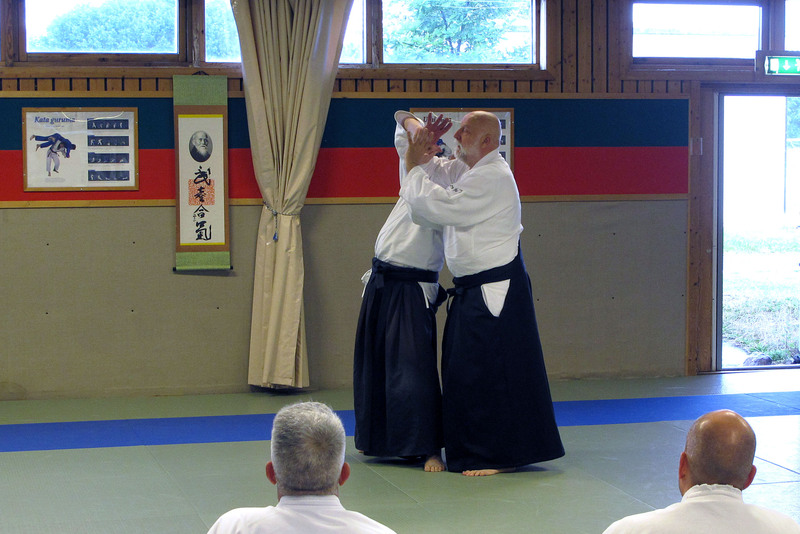 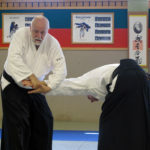 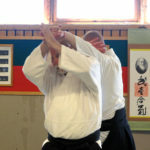 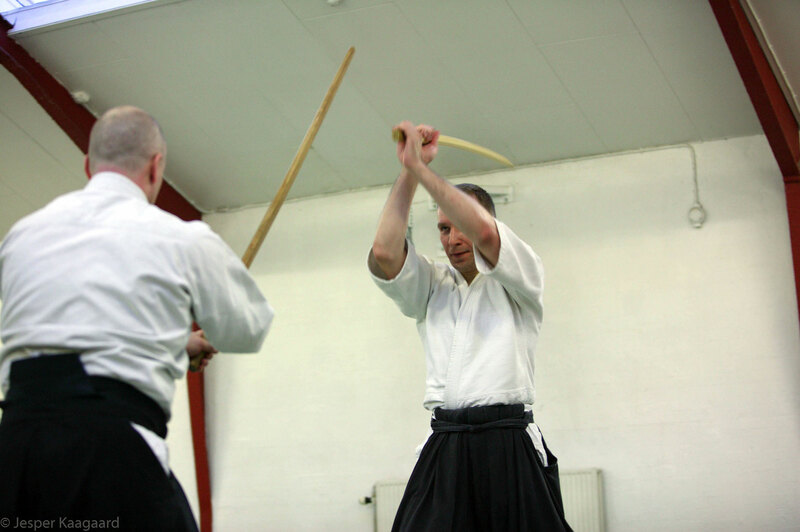 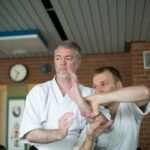 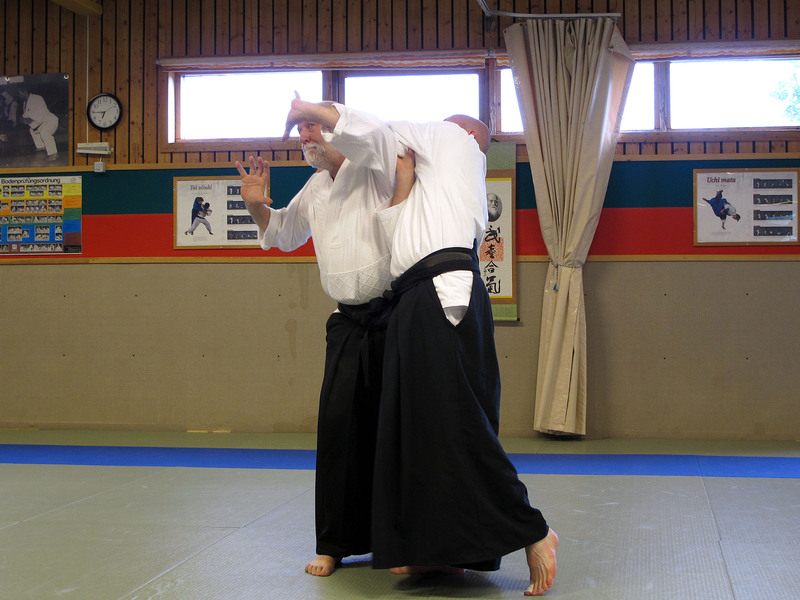 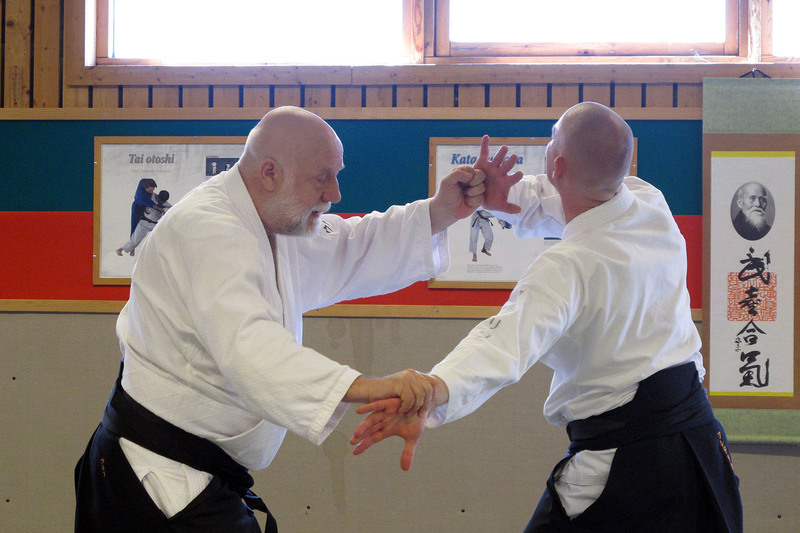 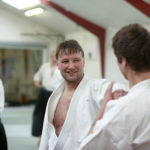 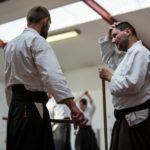 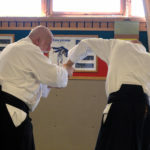 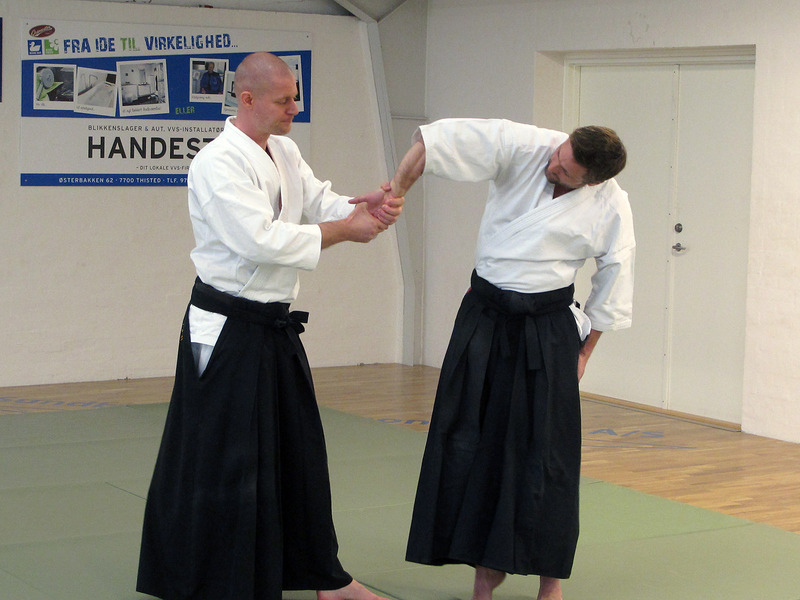 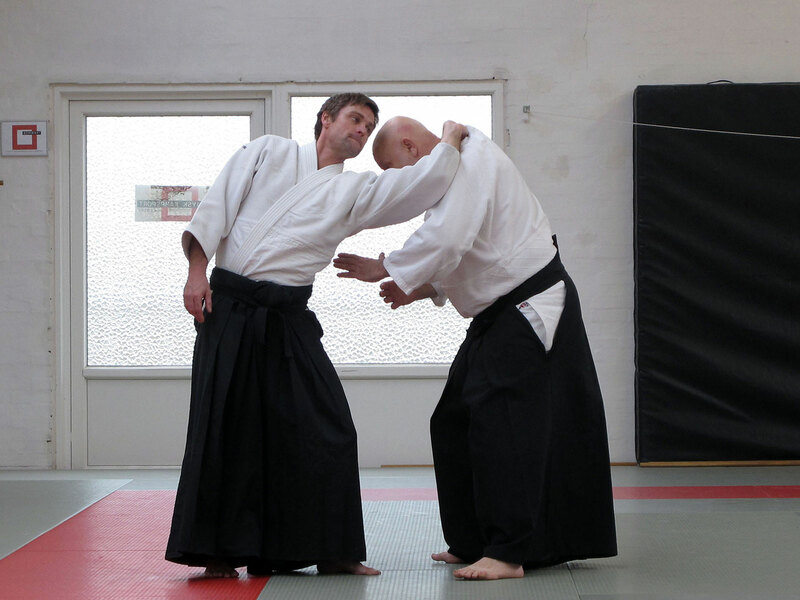 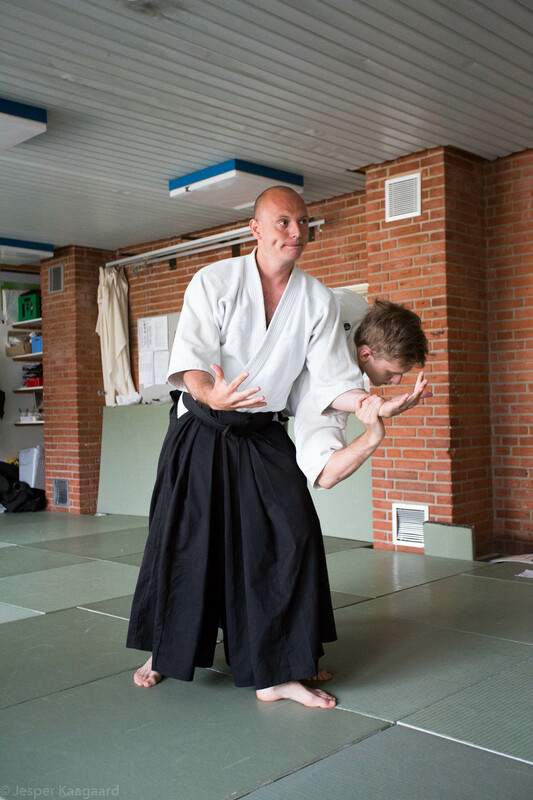 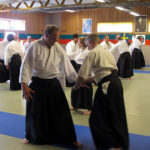 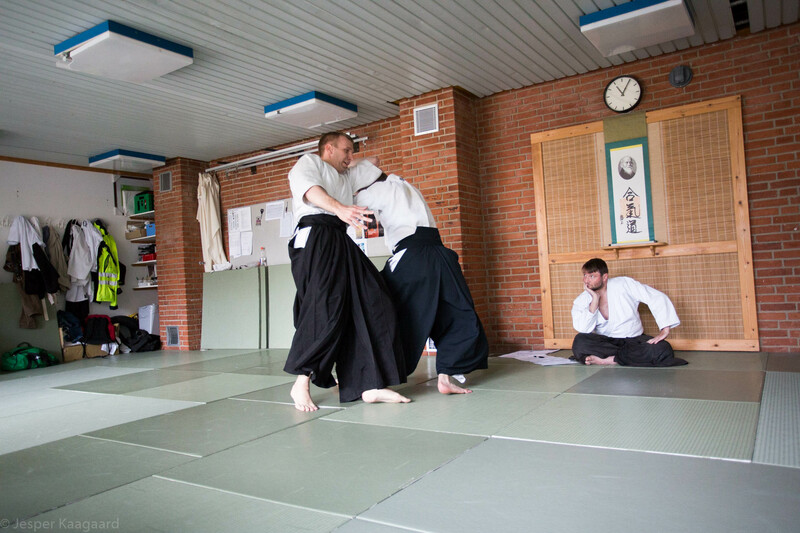 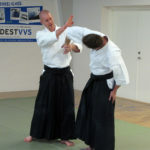 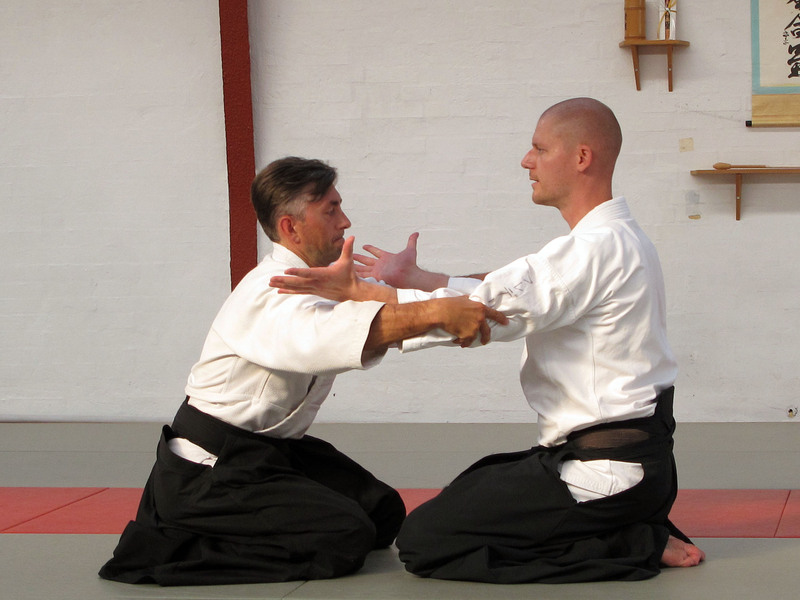 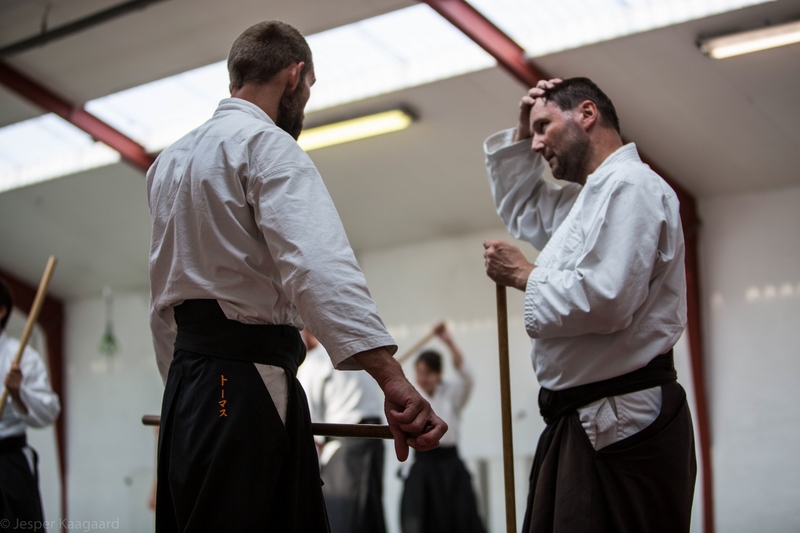 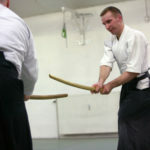 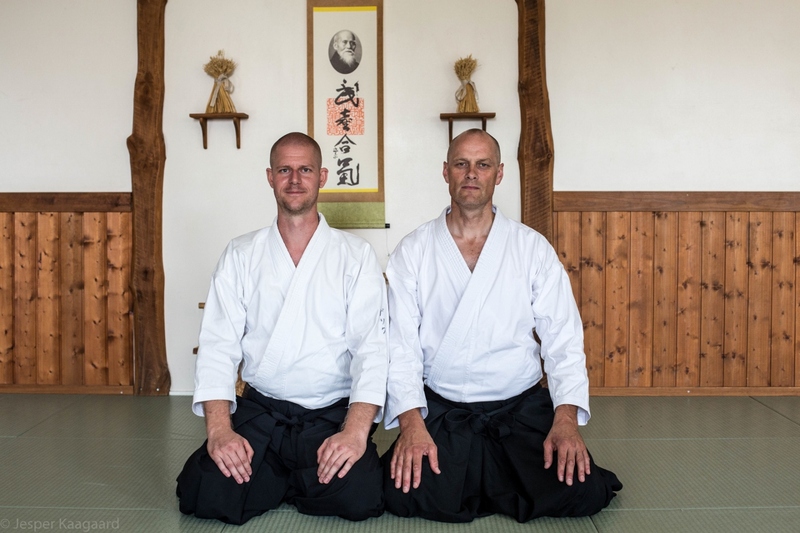 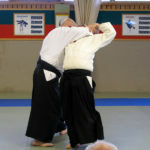 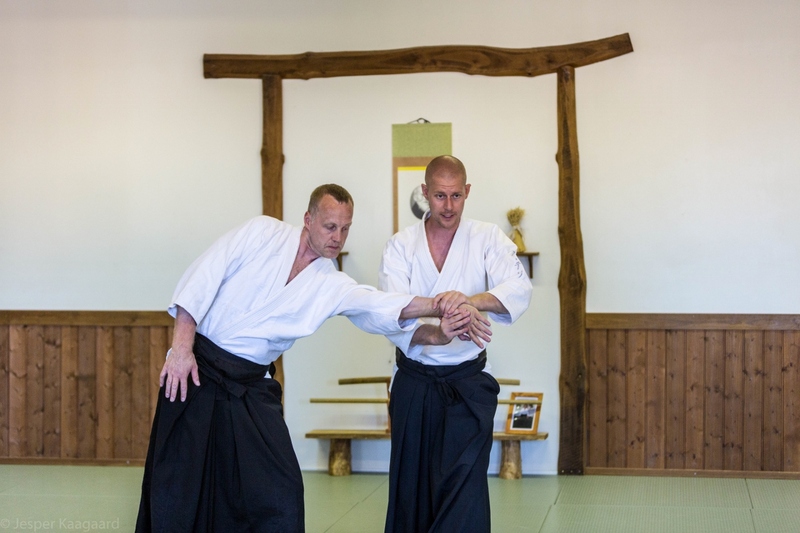 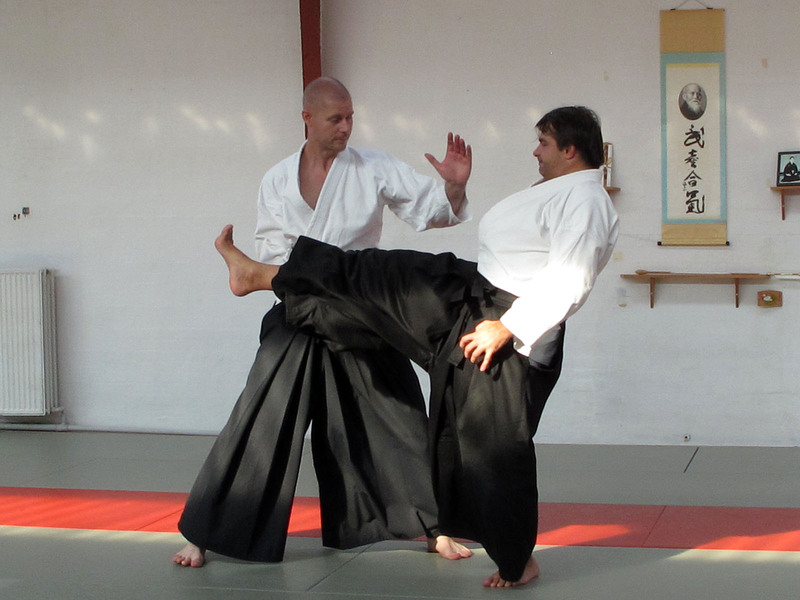 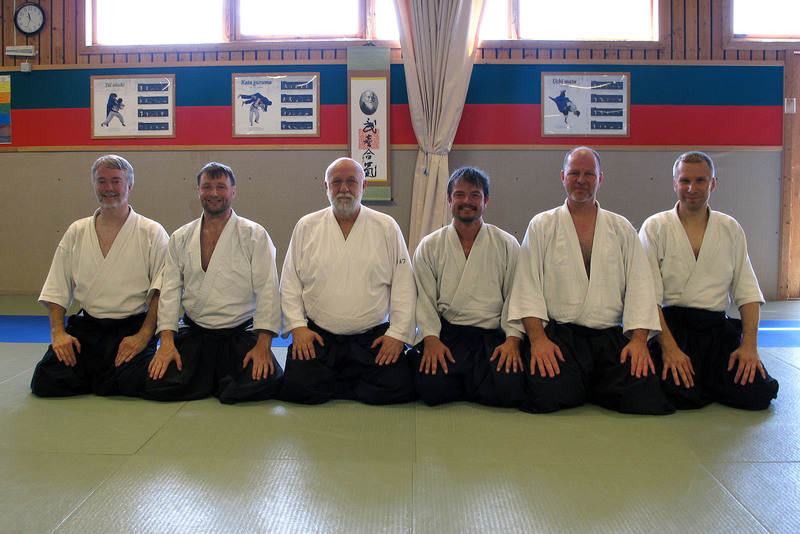 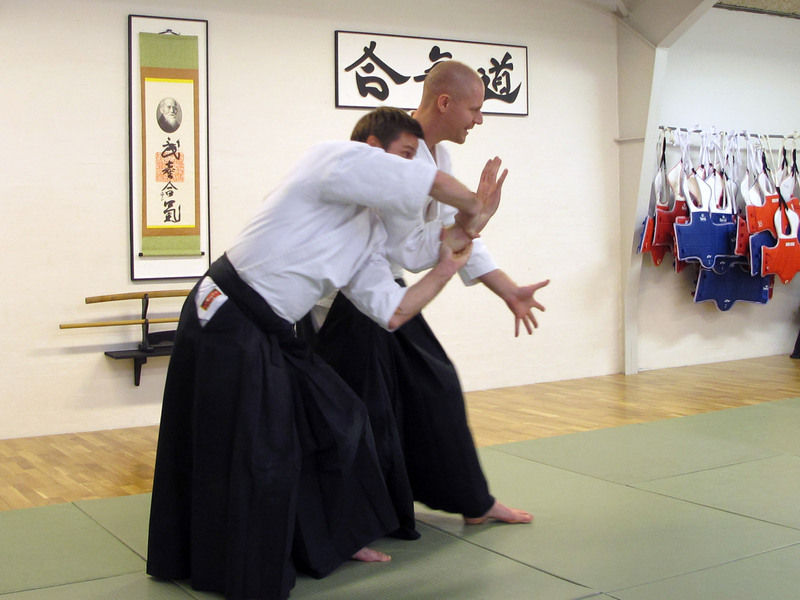 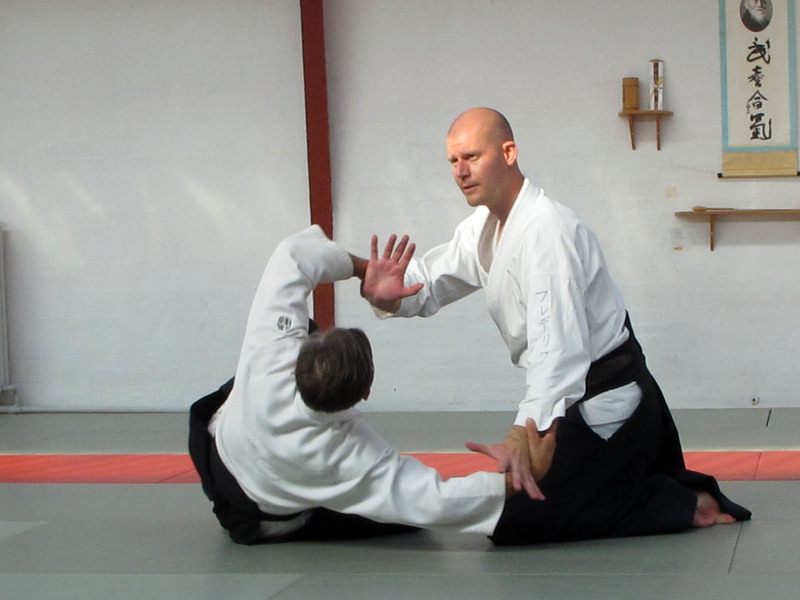 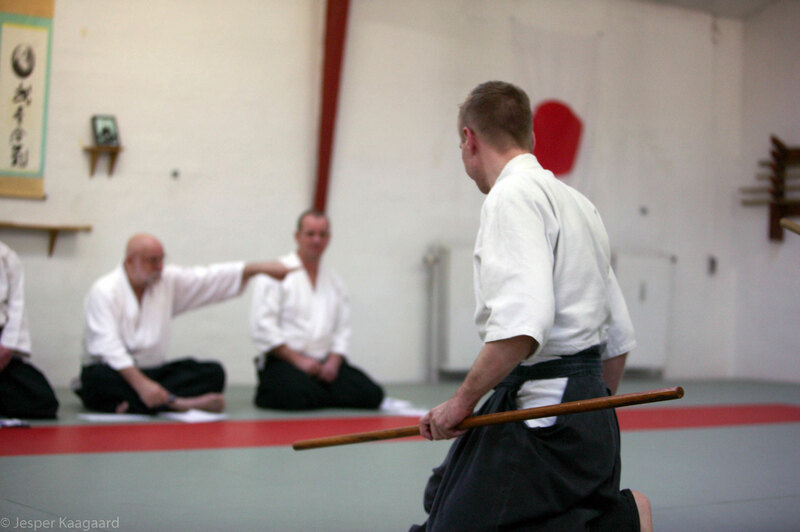 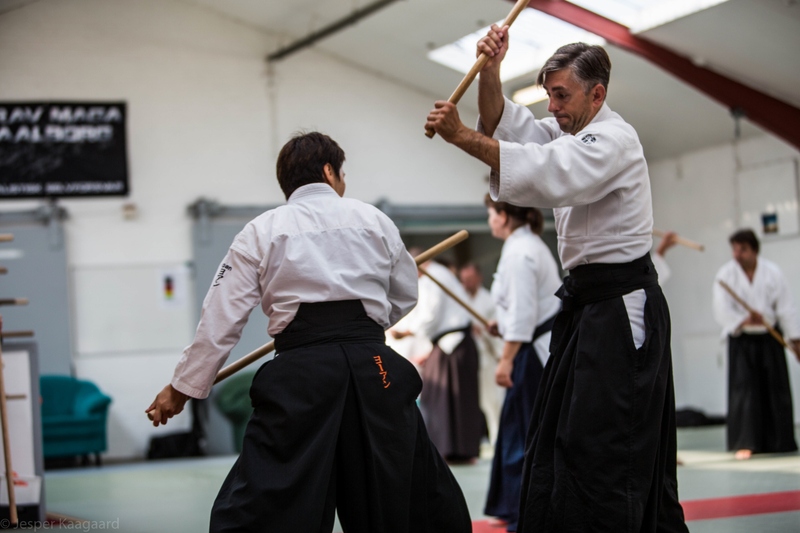 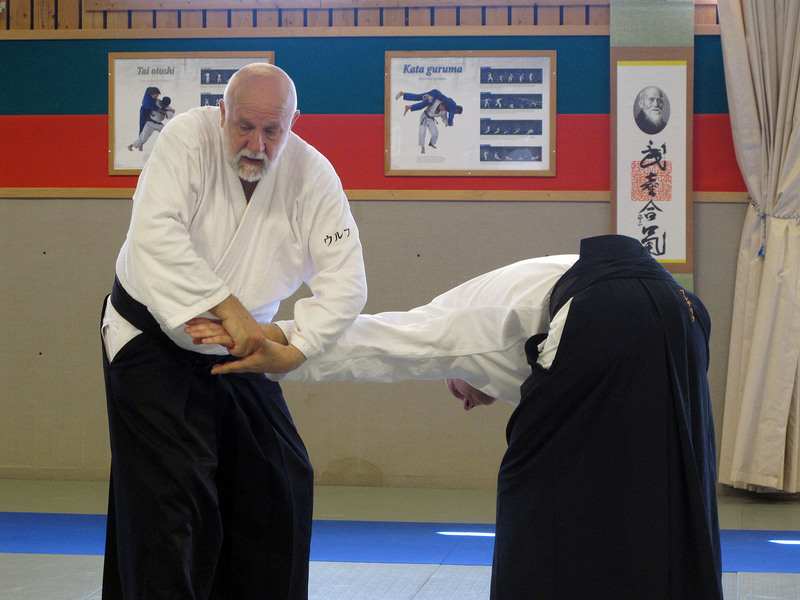 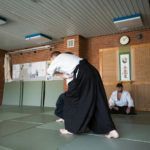 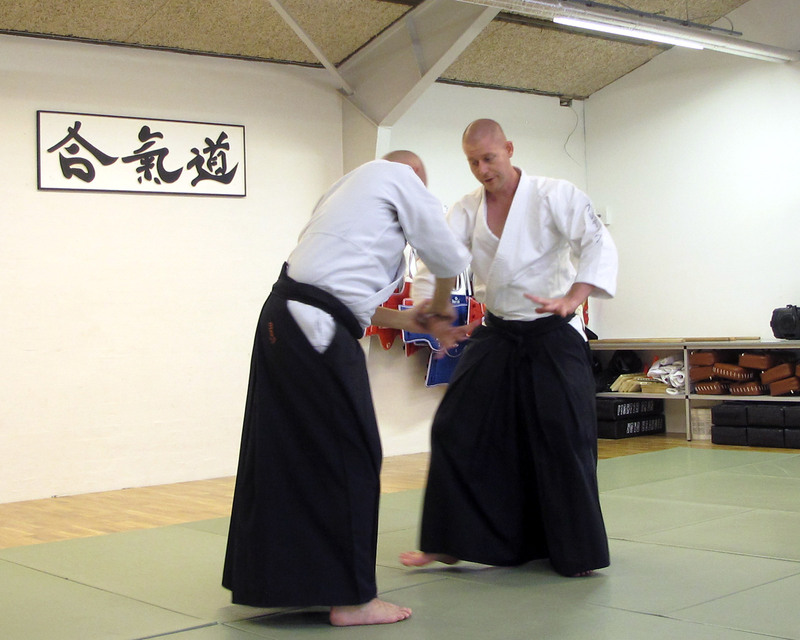 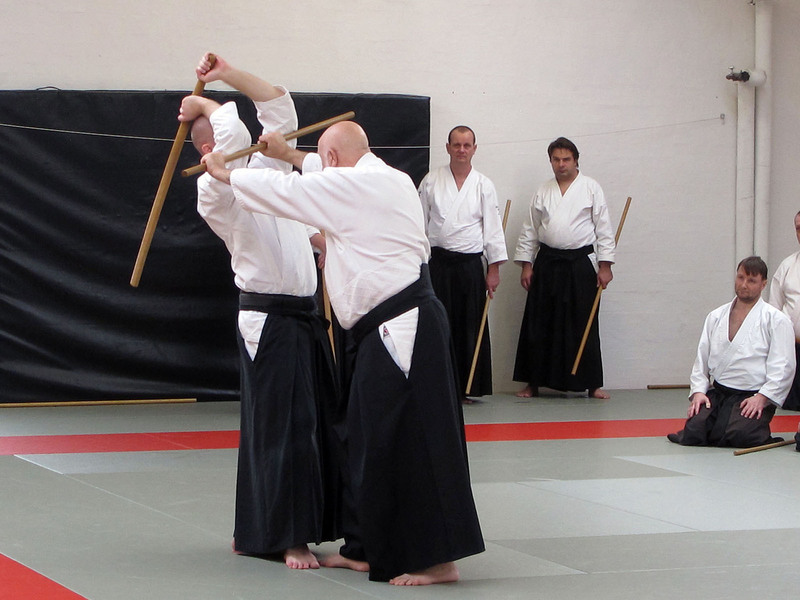 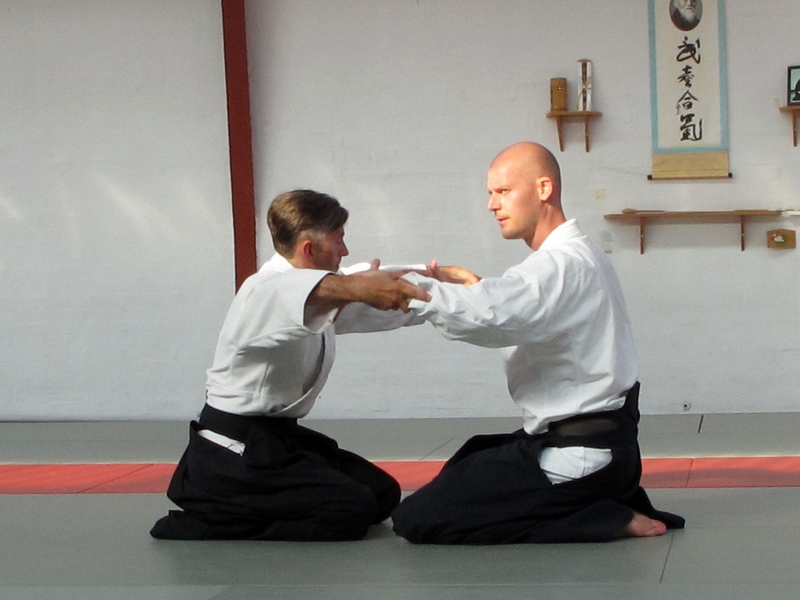 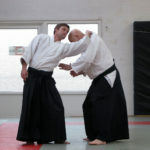 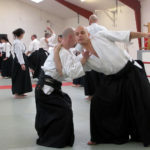 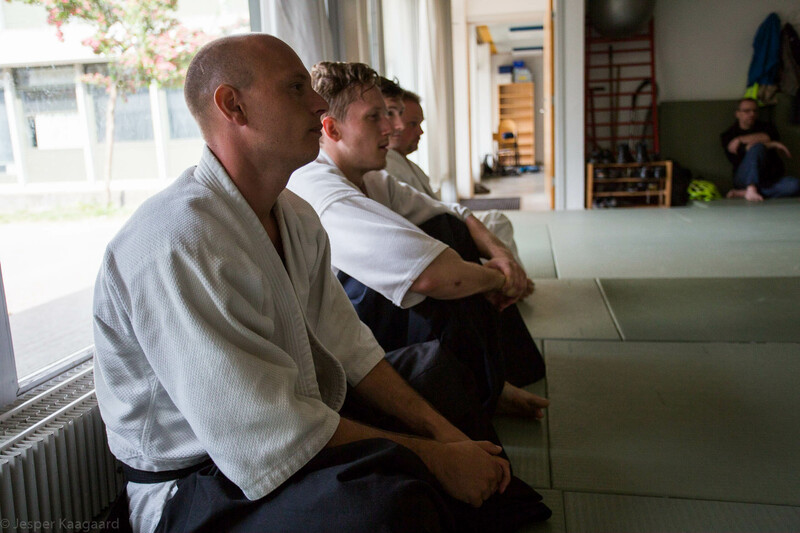 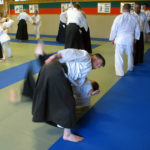 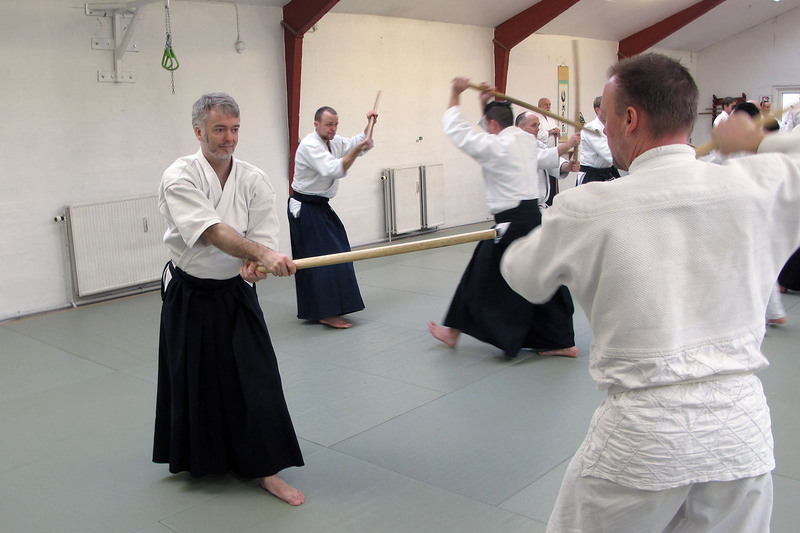 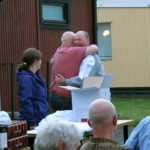 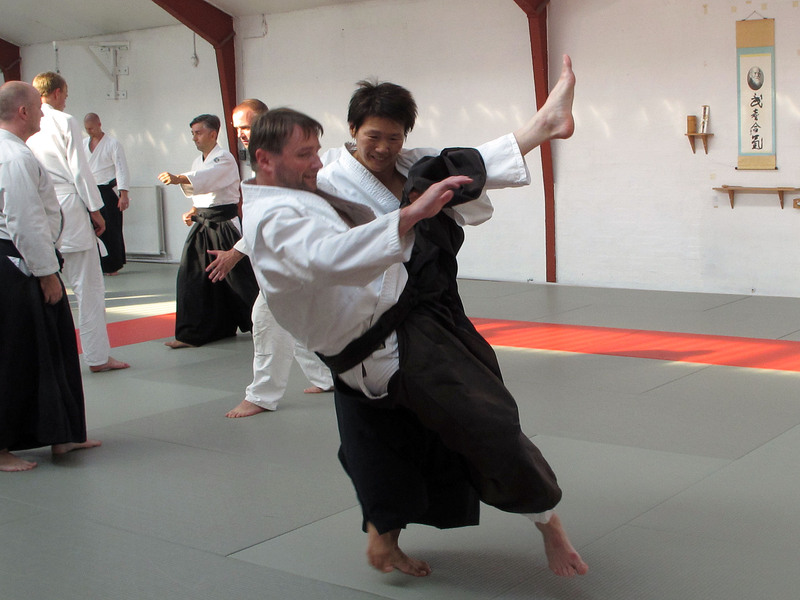 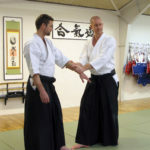 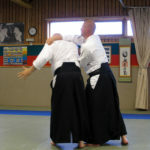 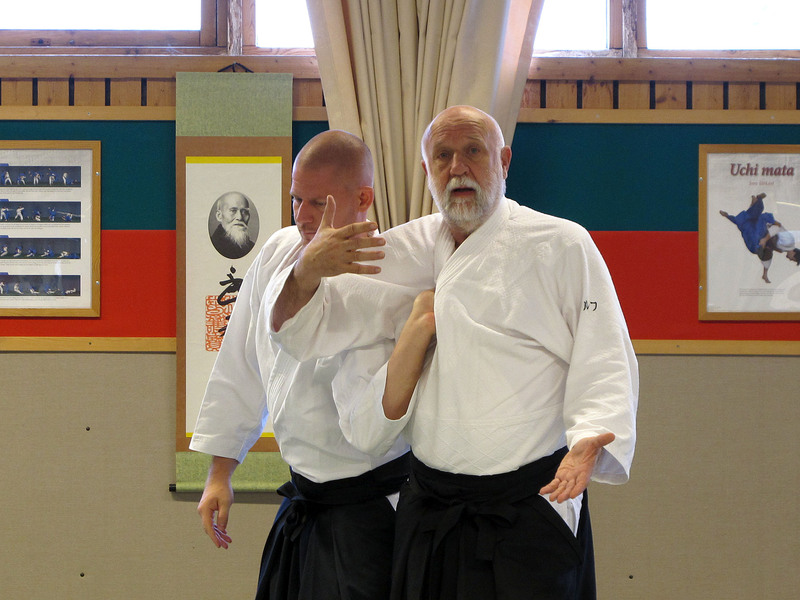 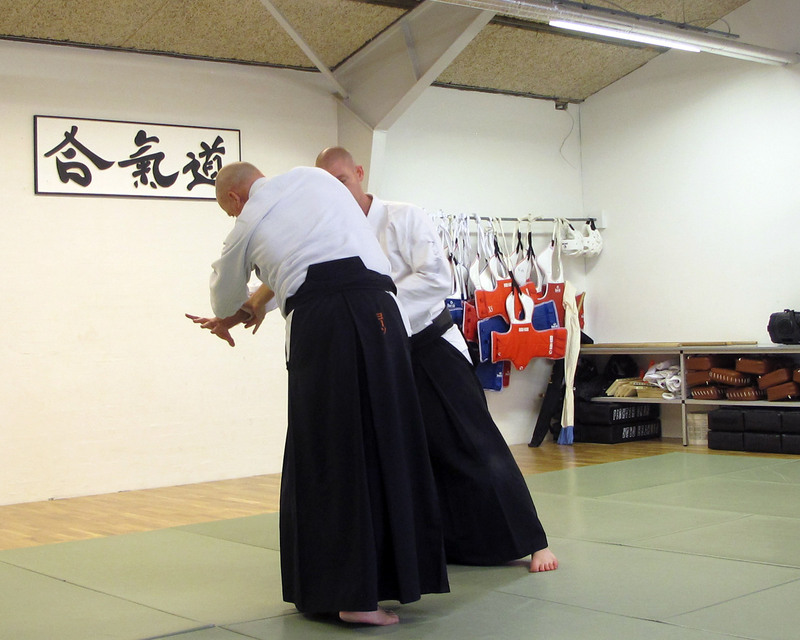 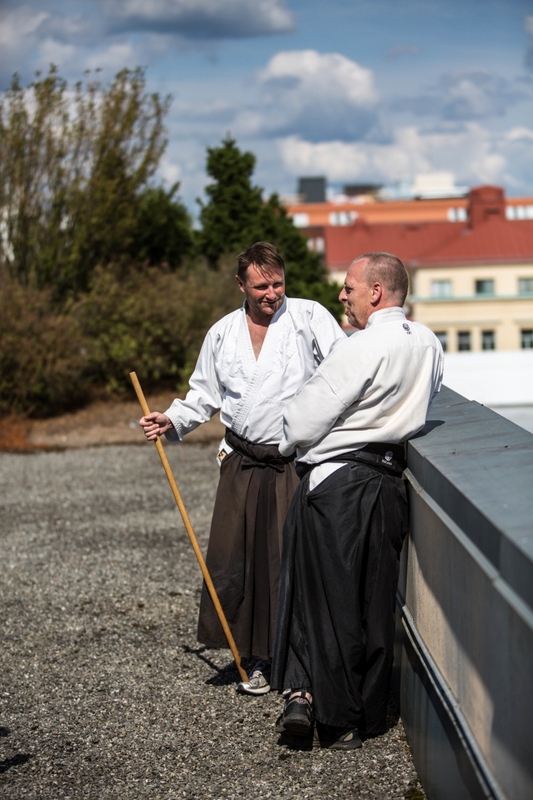 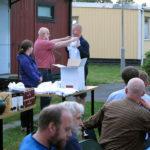 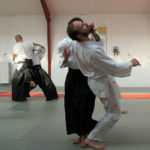 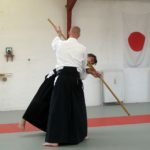 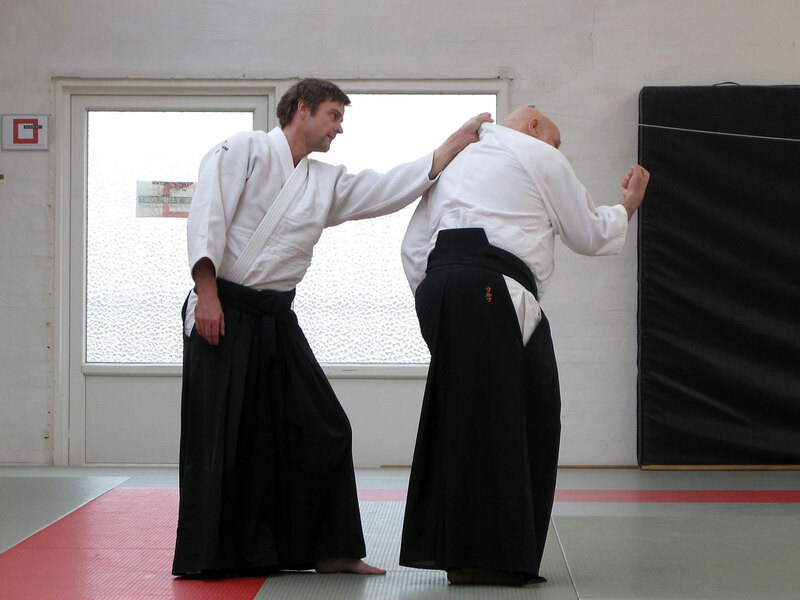 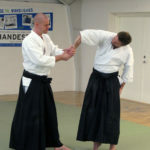 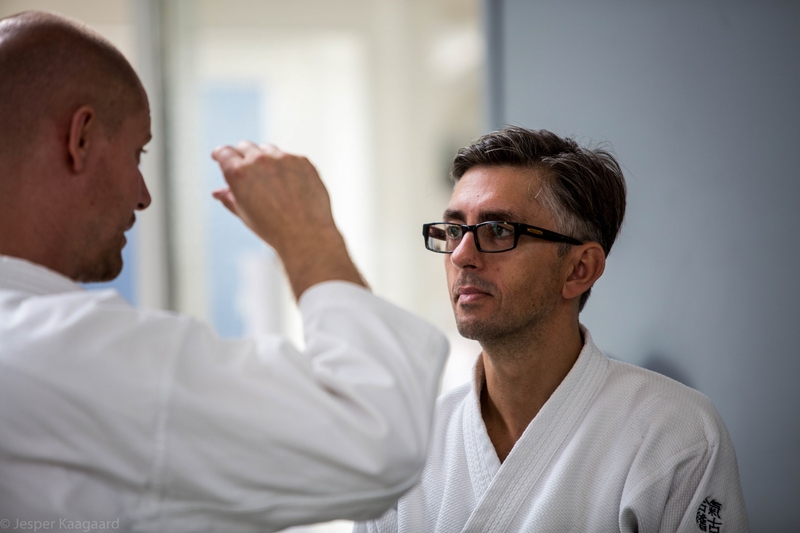 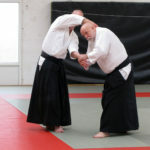 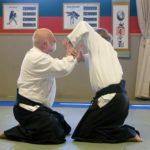 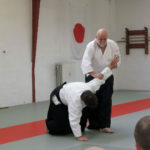 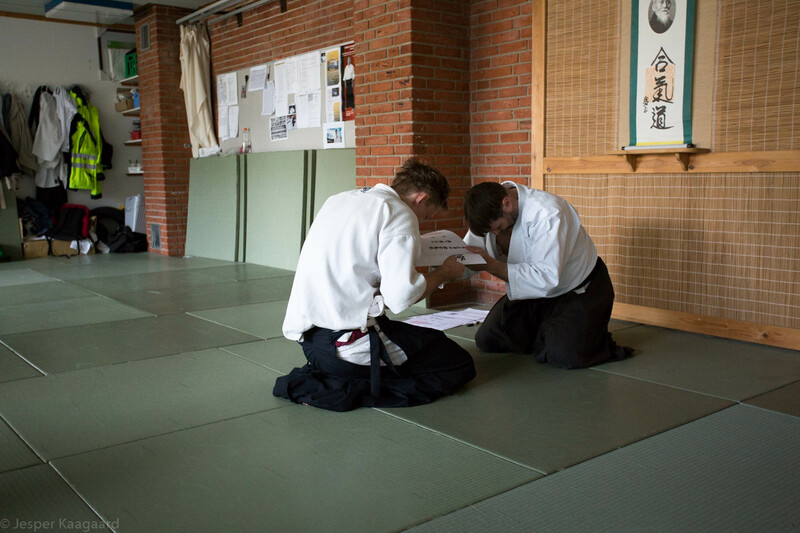 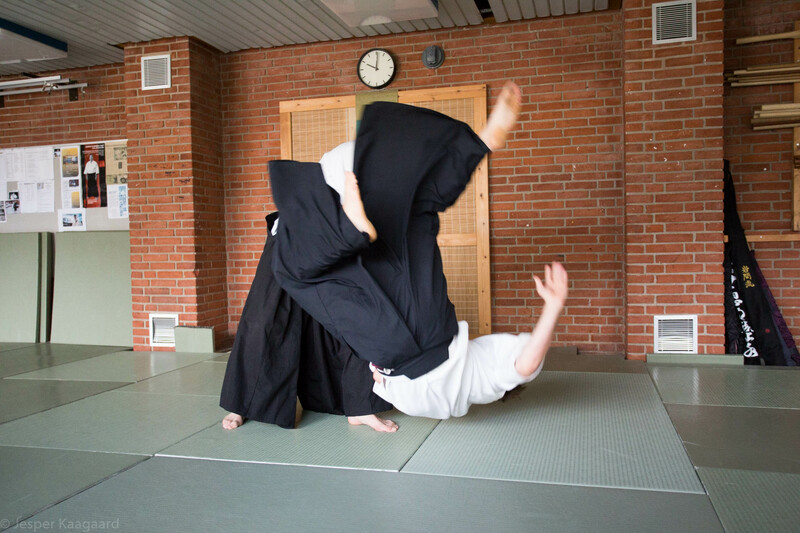 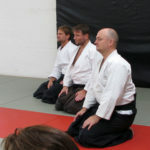 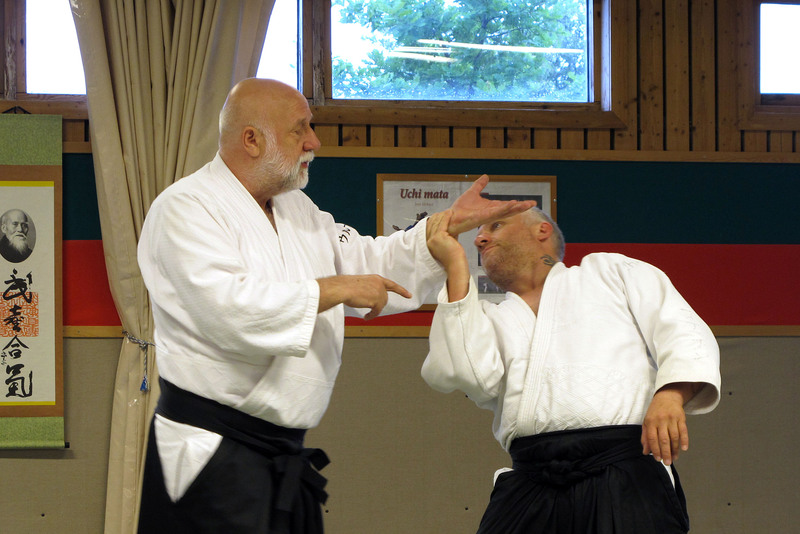 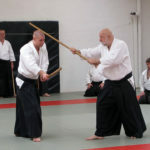 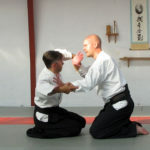 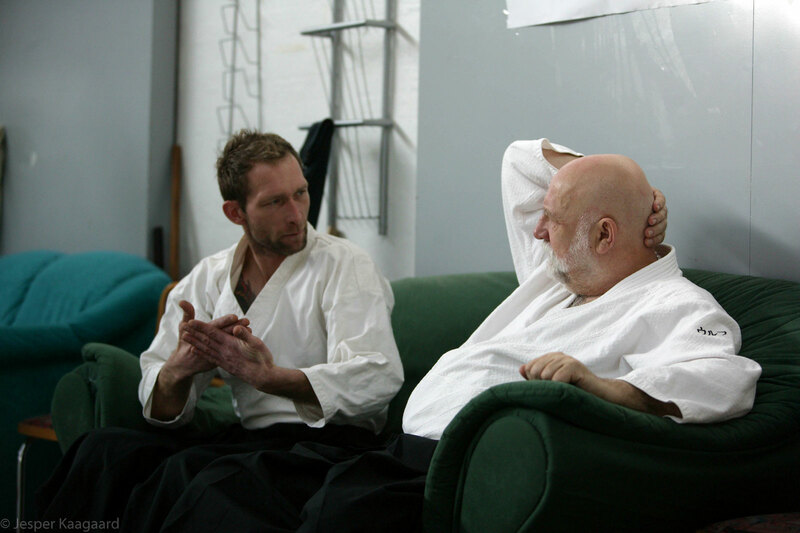 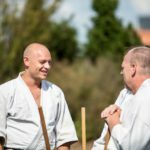 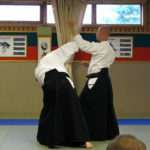 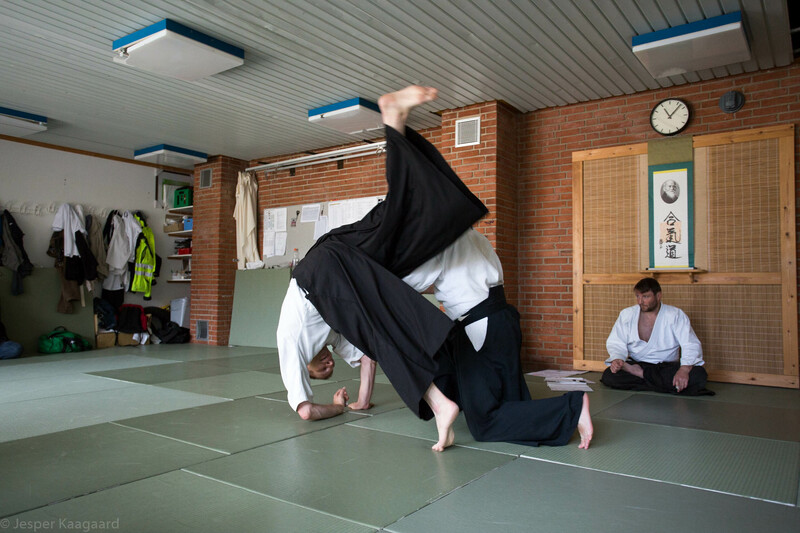 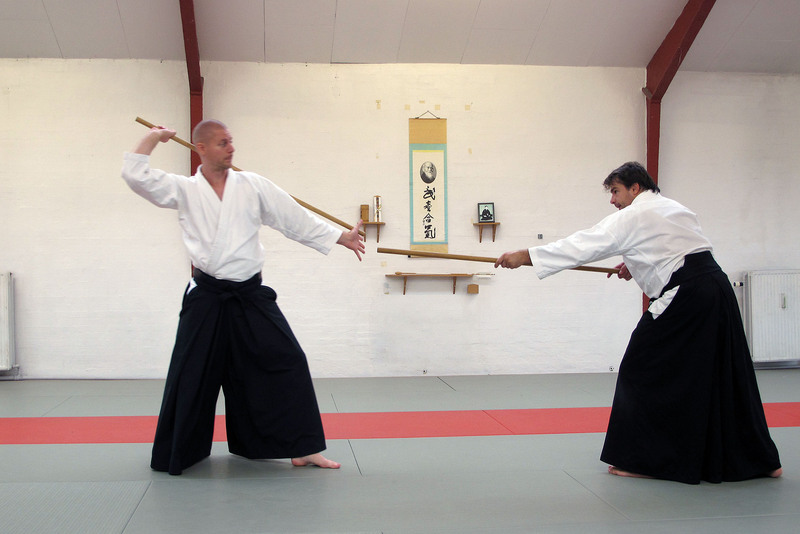 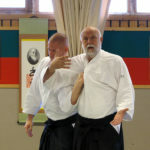 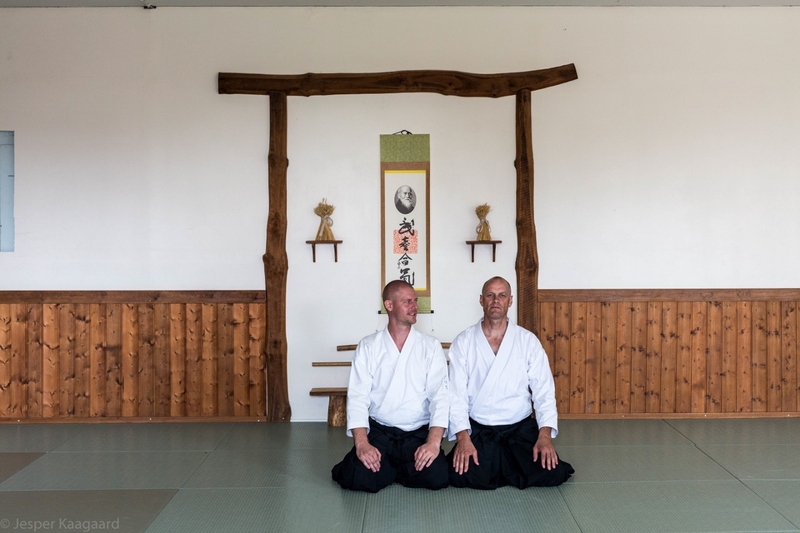 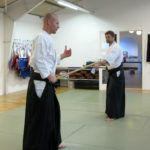 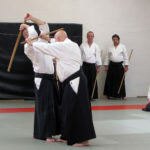 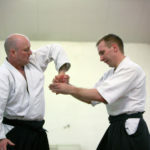 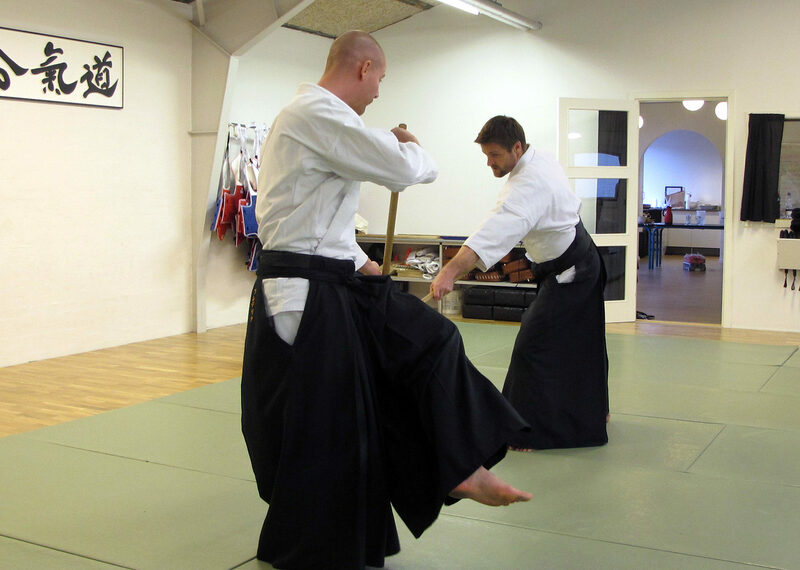 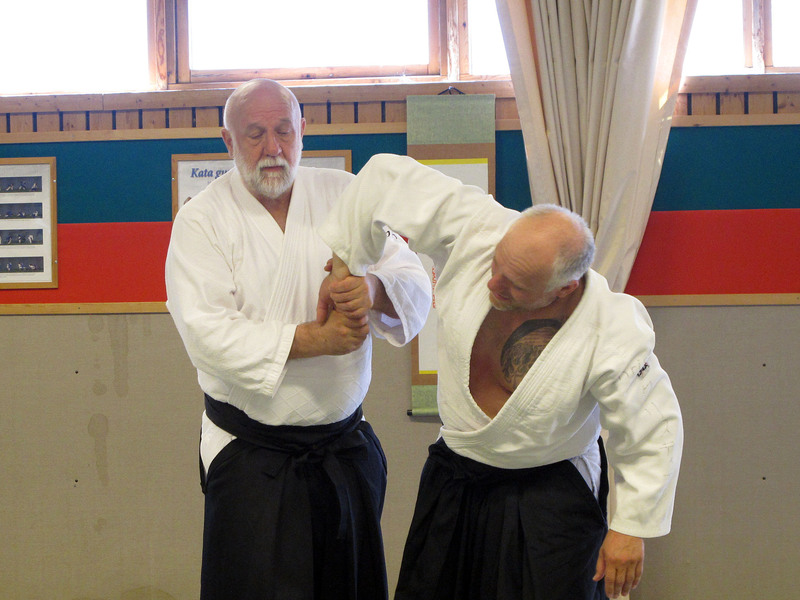 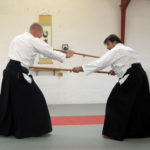 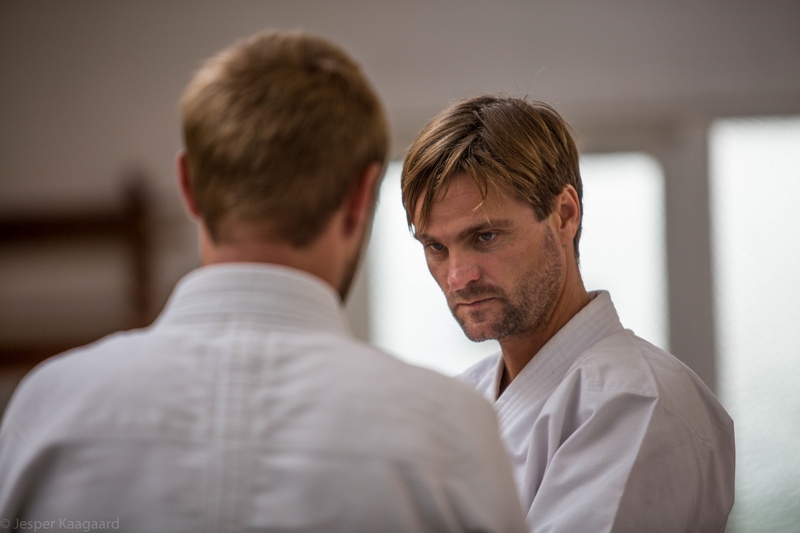 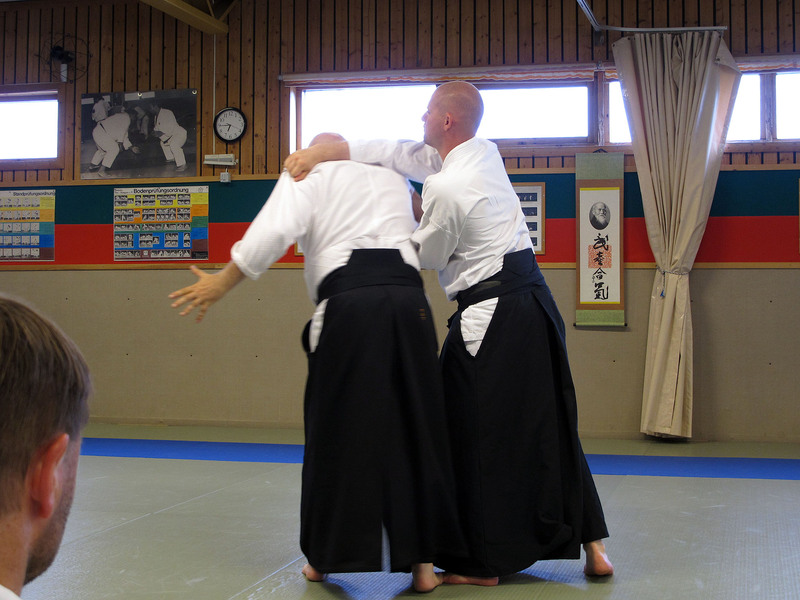 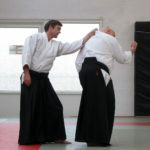 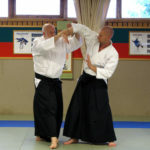 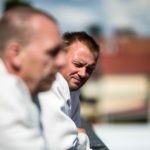 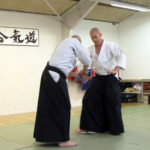 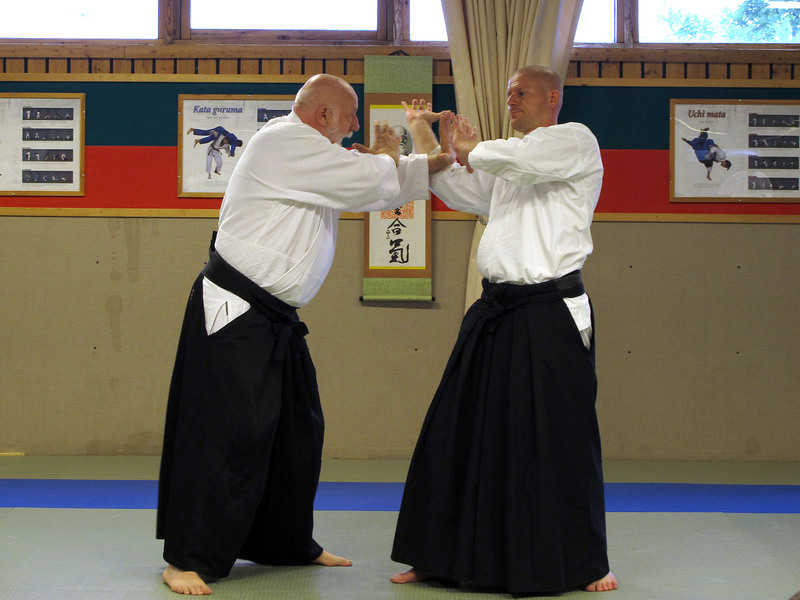 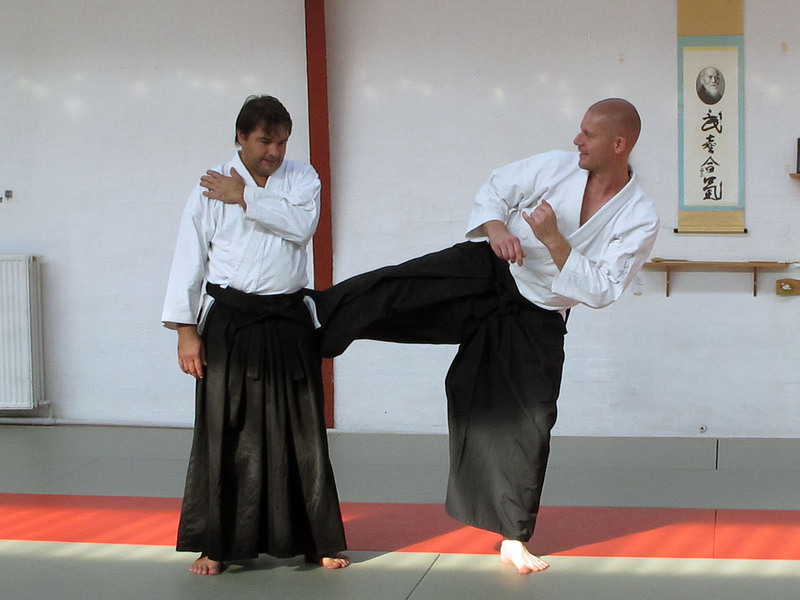 Troels D. Christensen and David Godtllib from Københavns Aikido Klub. 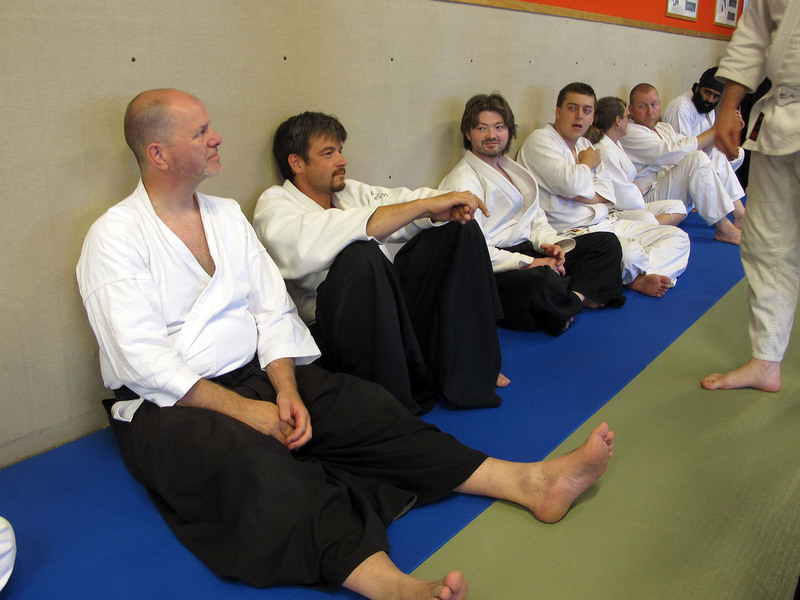 This time on the last day of May we had quite a few ready for the graduation. 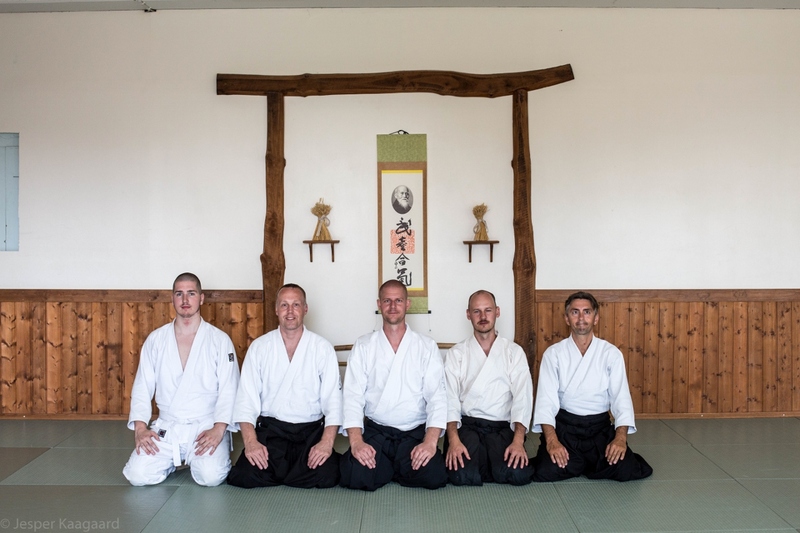 Congratulations to Thomas, Jens, Michael, Hans Cristian and Jesper on successful graduation of first, second and fourth kyu! 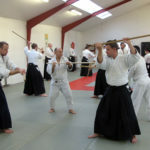 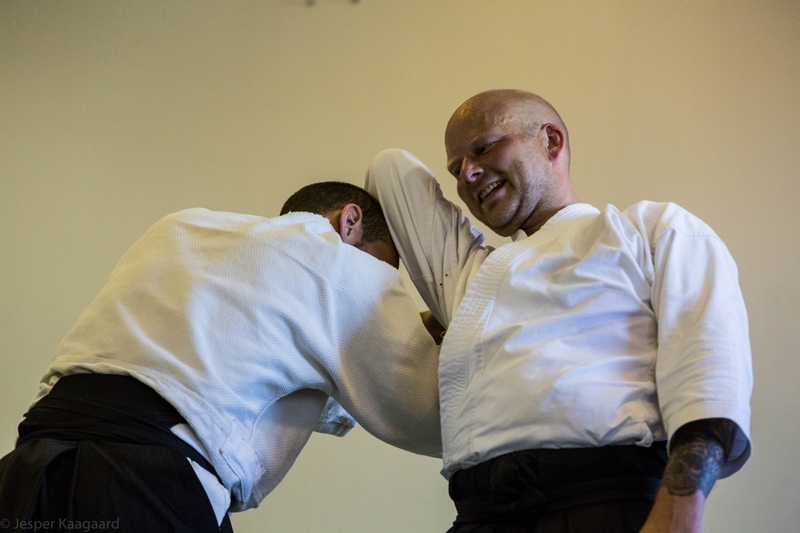 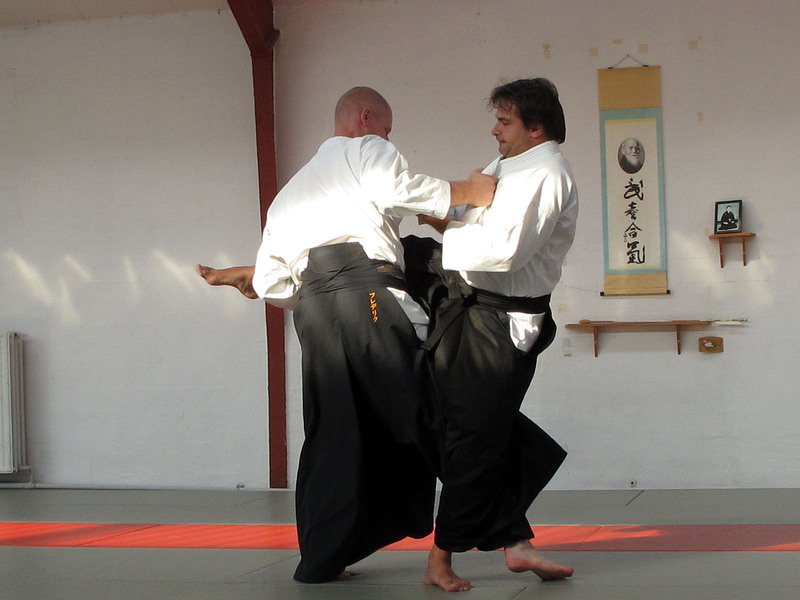 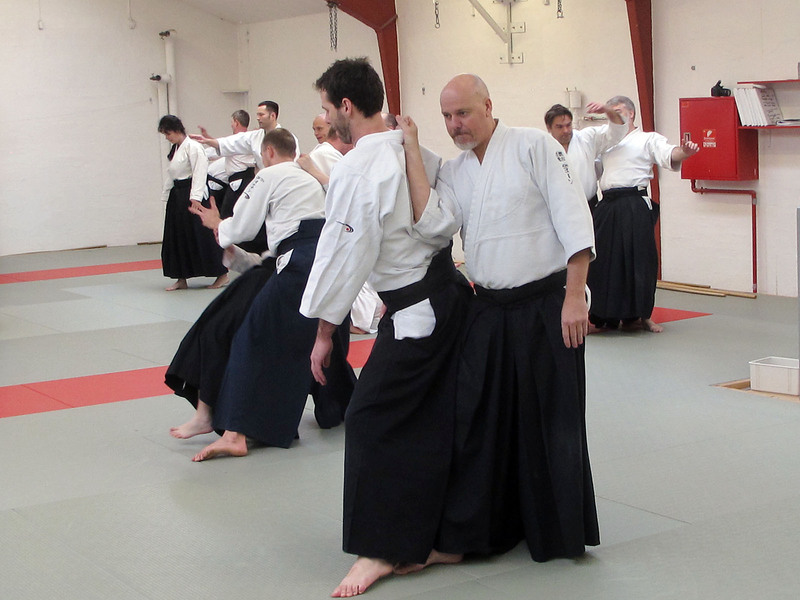 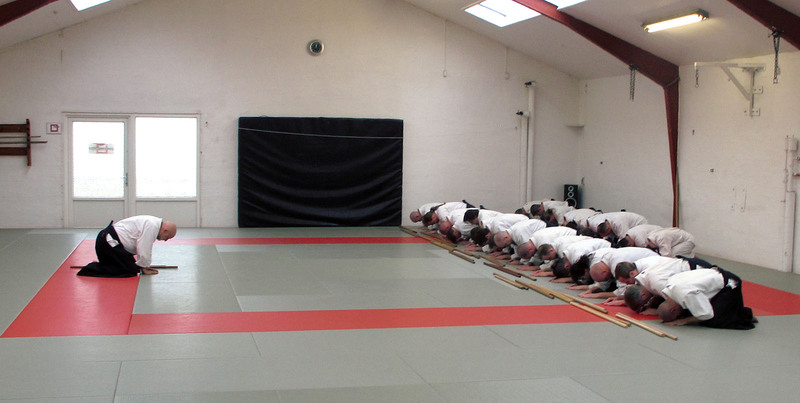 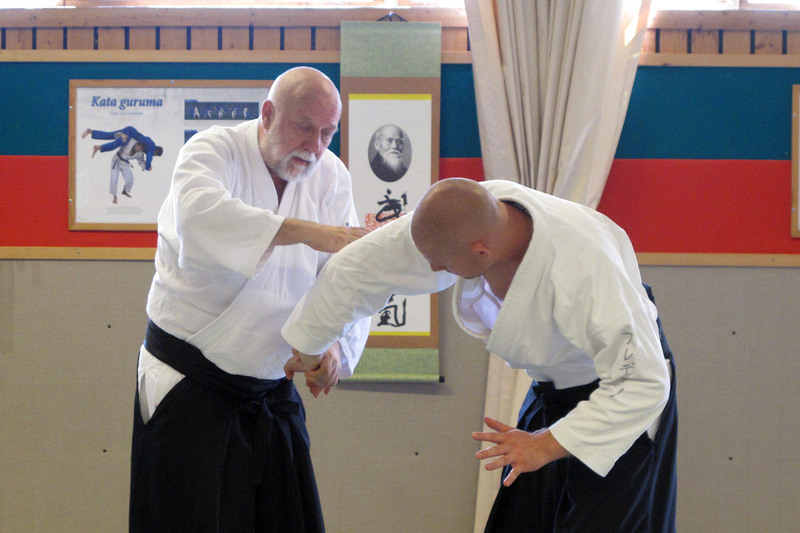 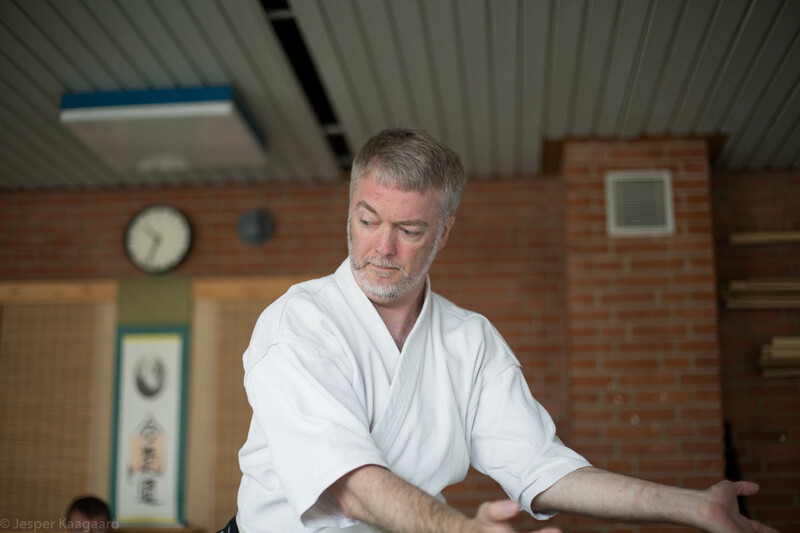 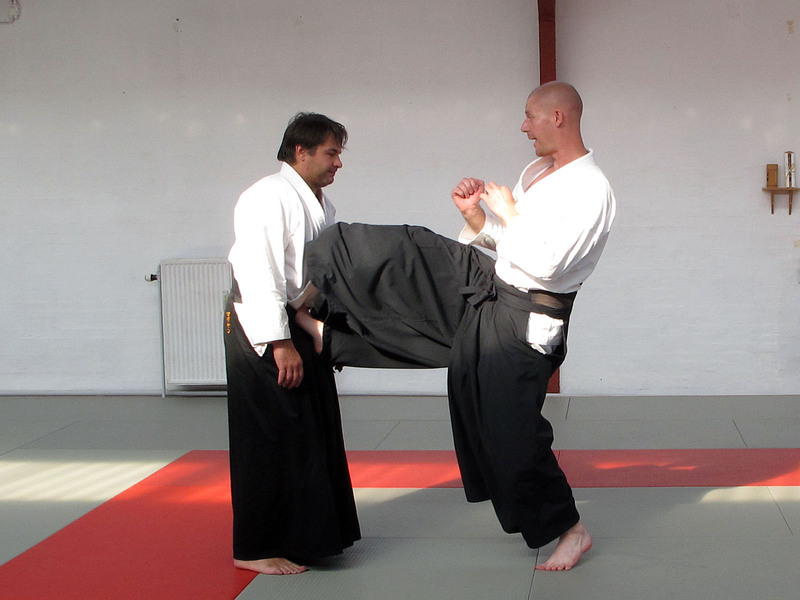 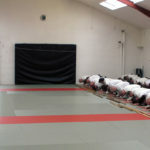 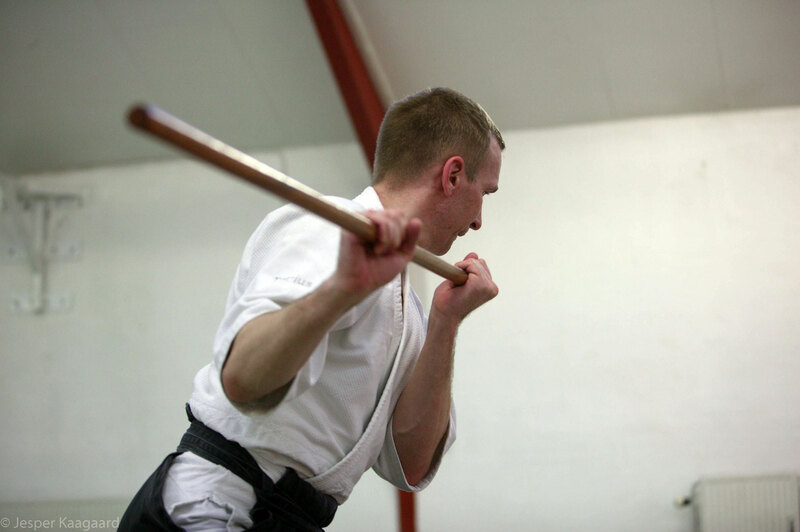 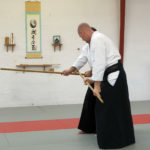 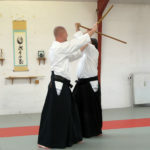 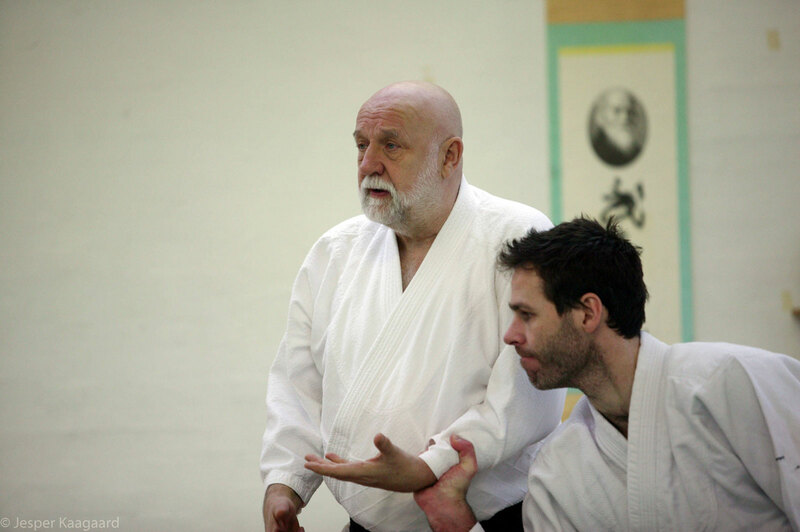 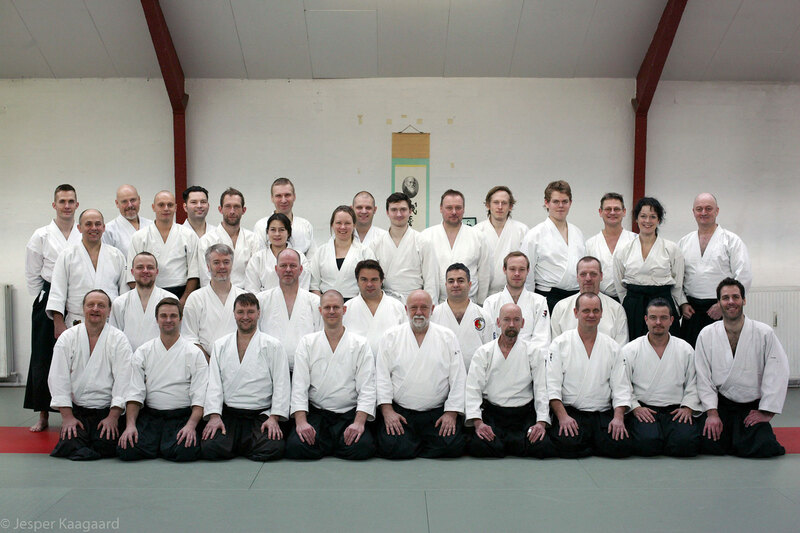 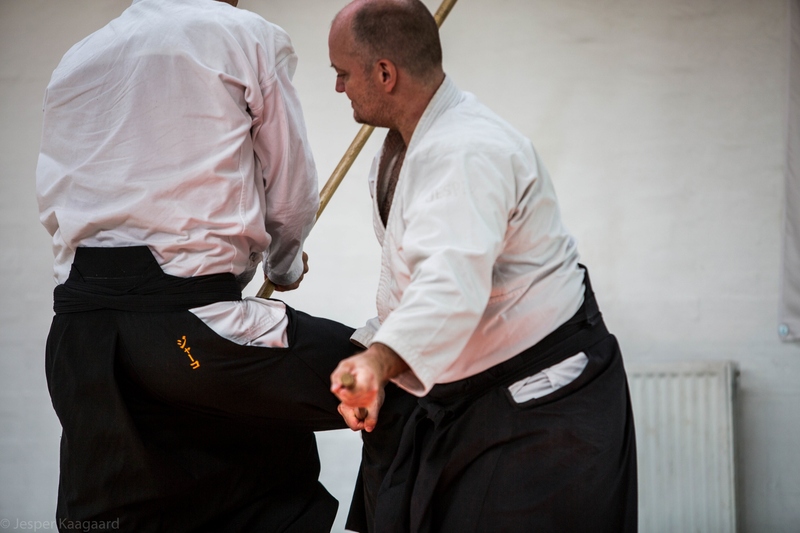 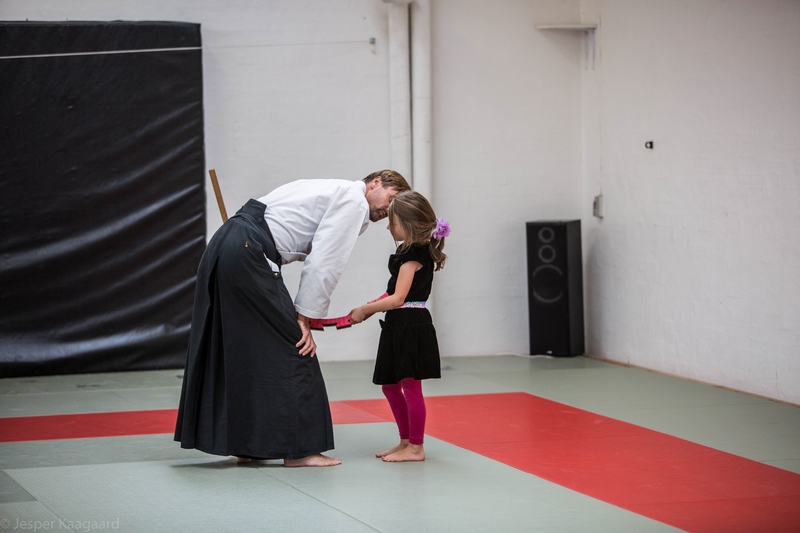 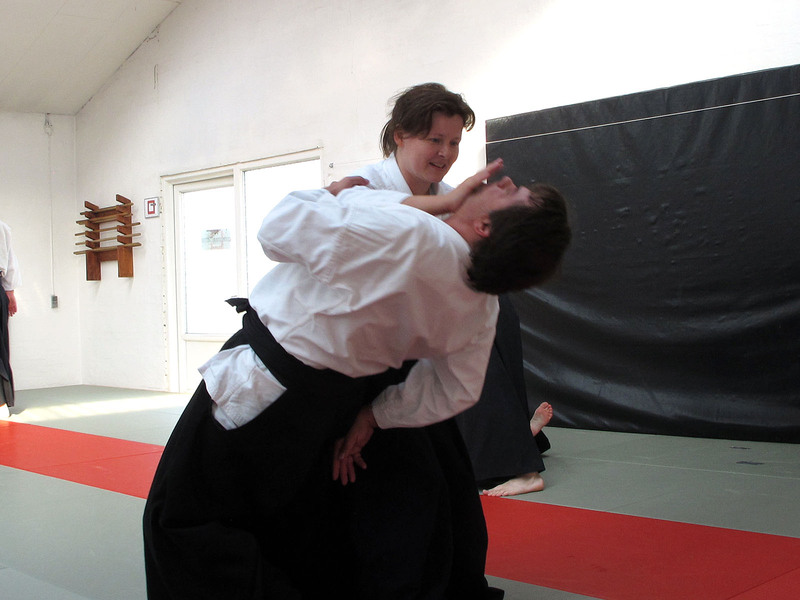 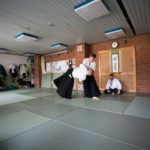 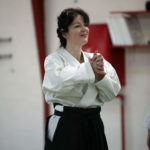 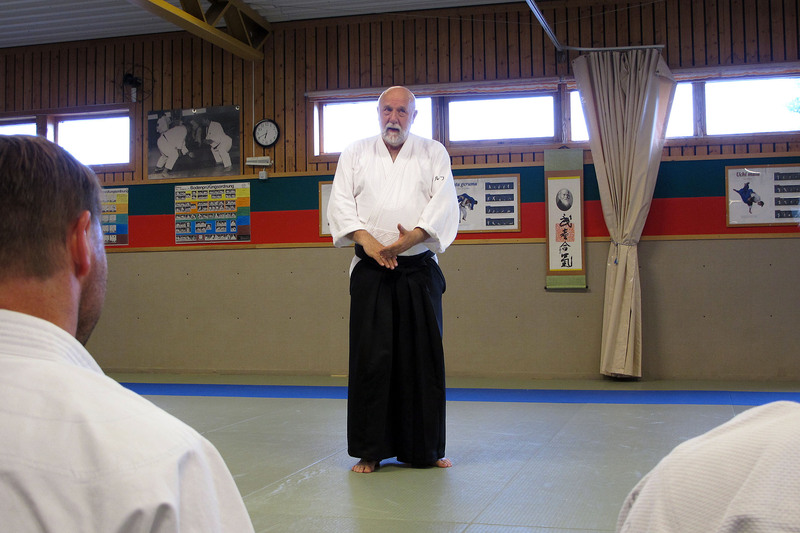 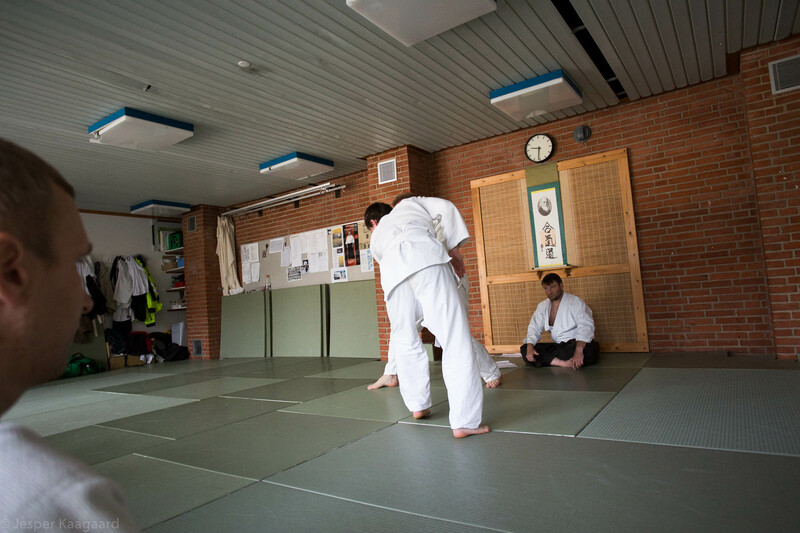 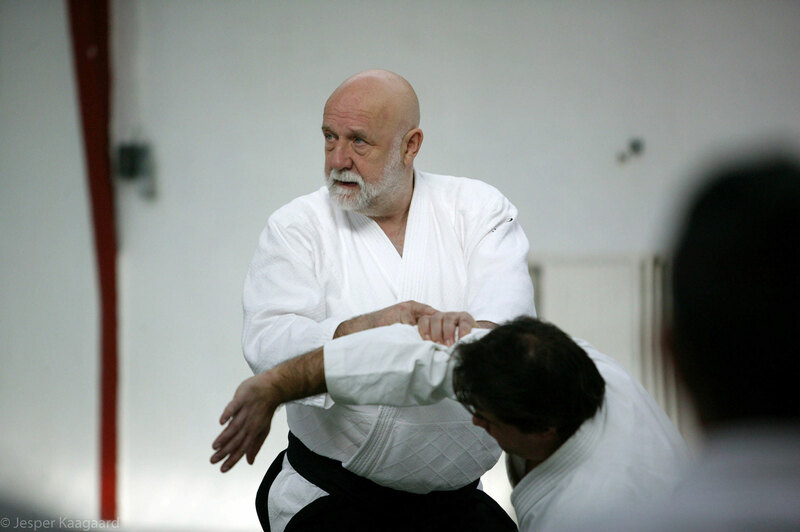 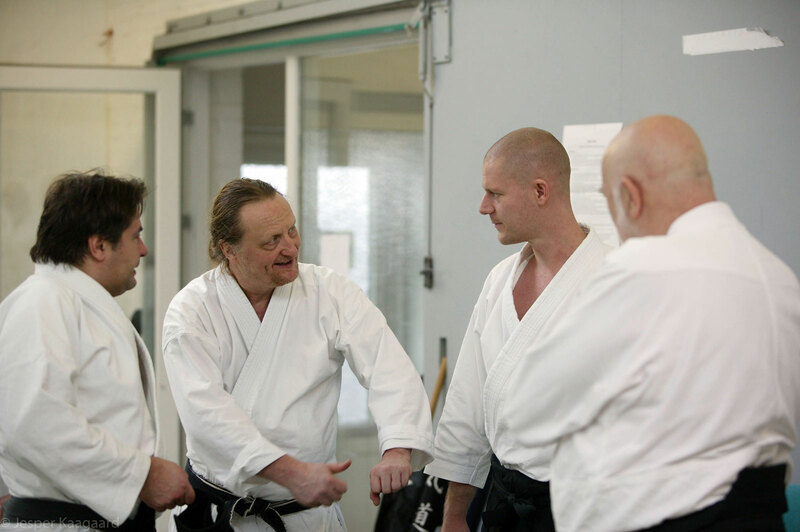 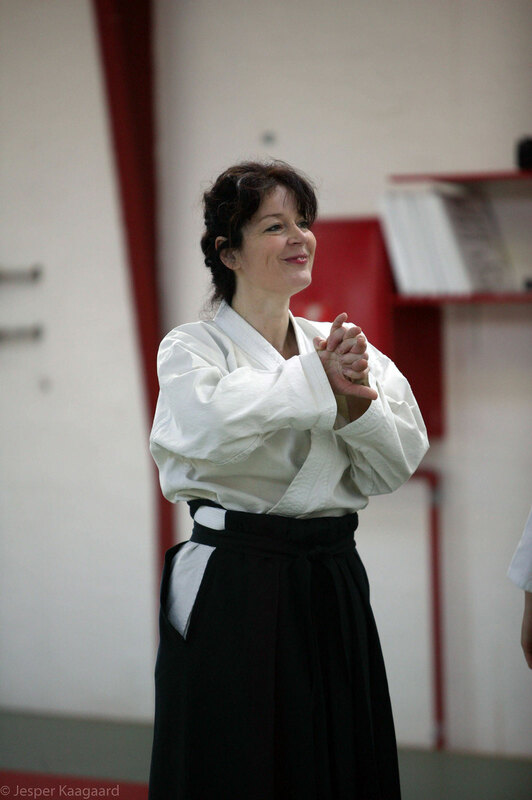 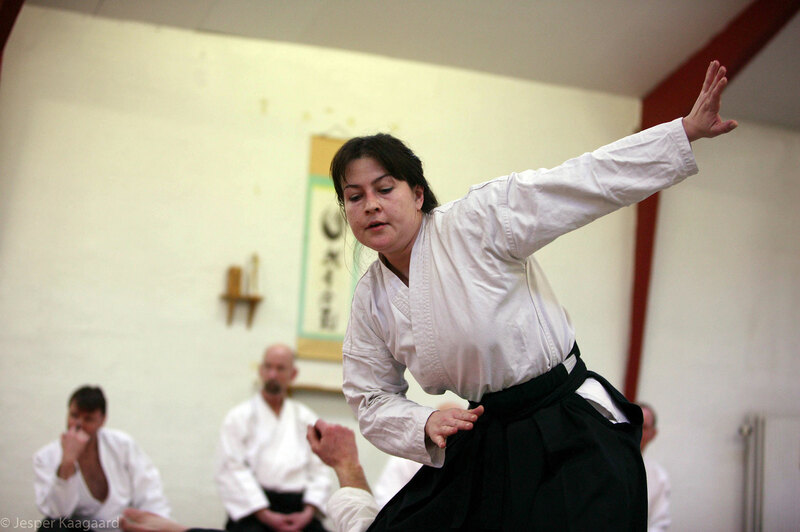 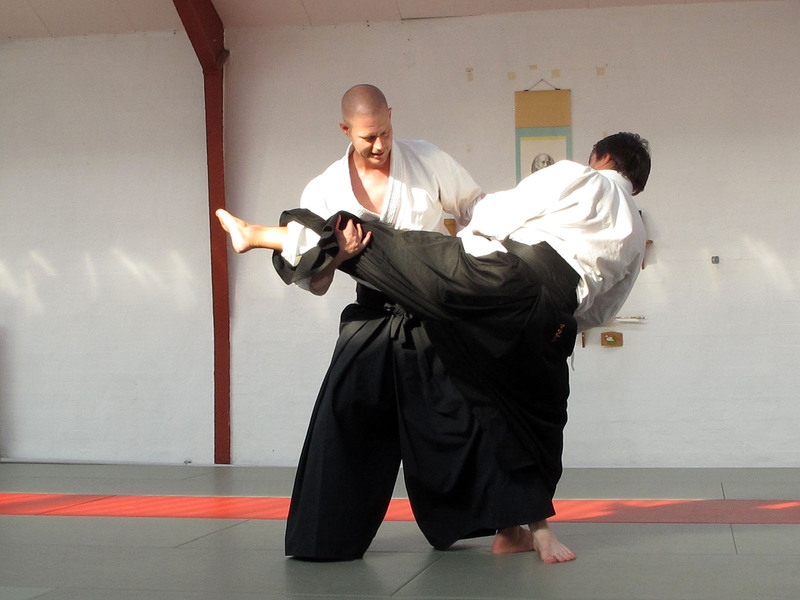 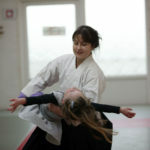 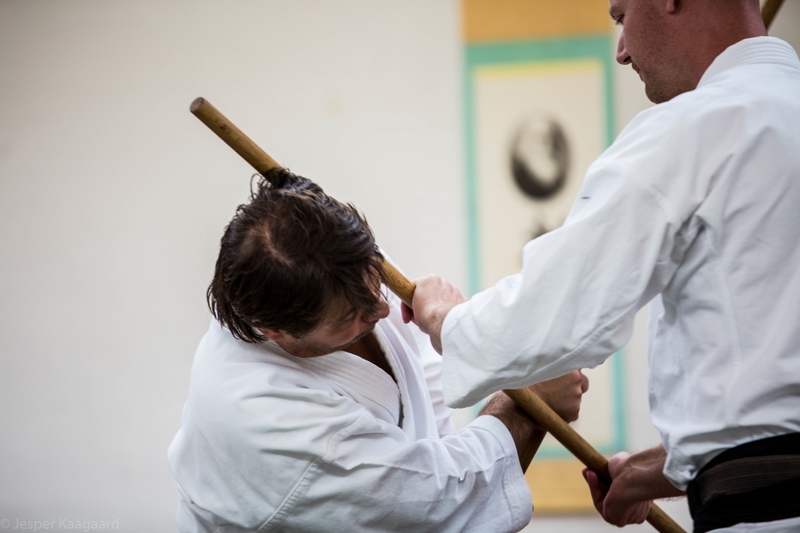 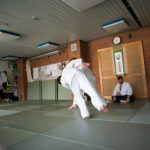 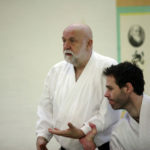 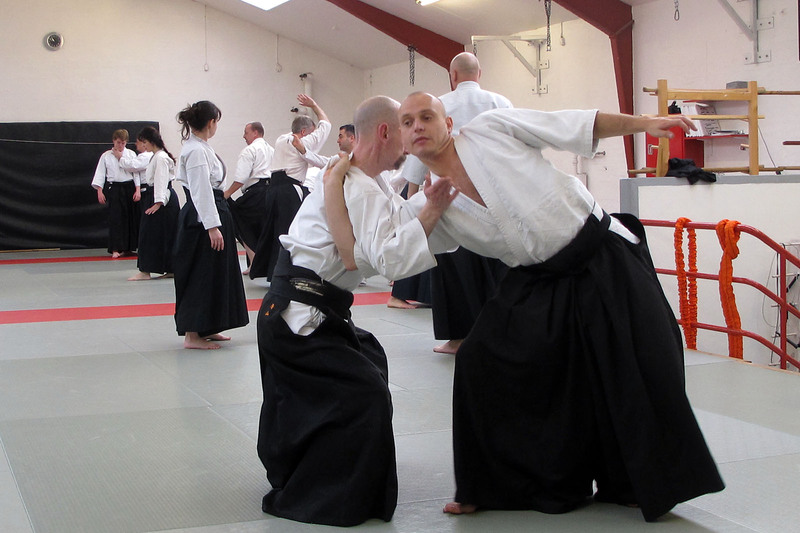 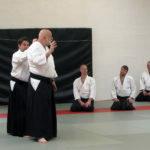 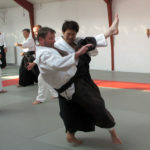 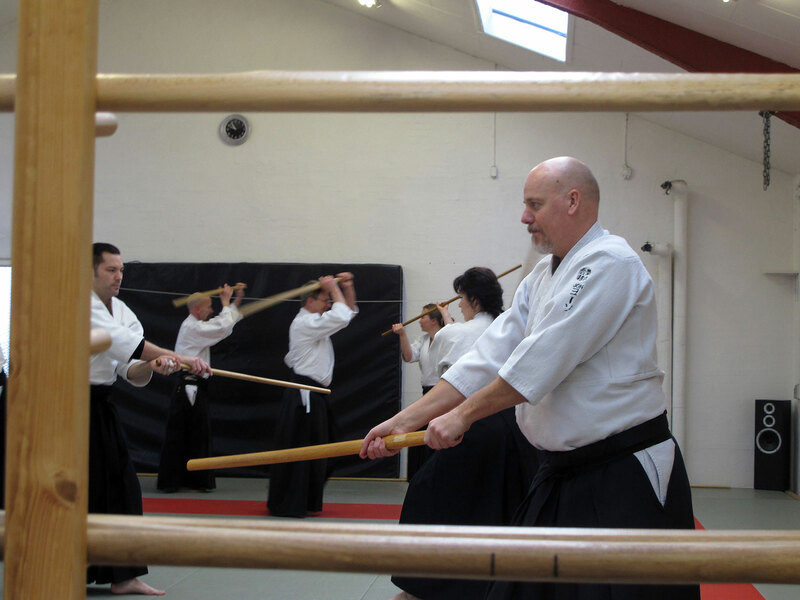 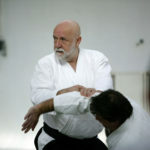 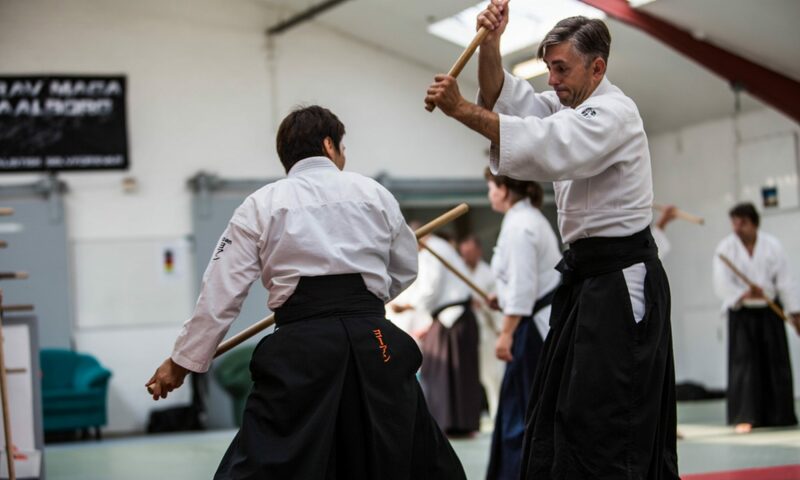 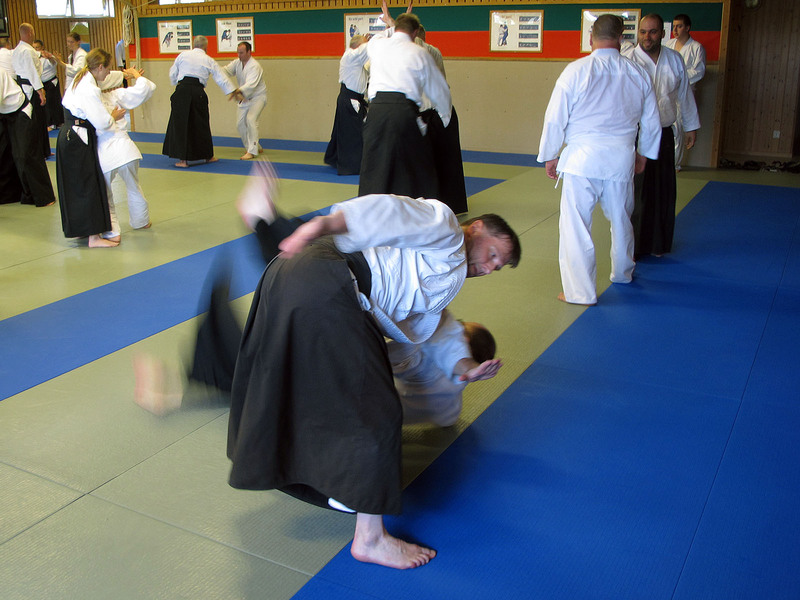 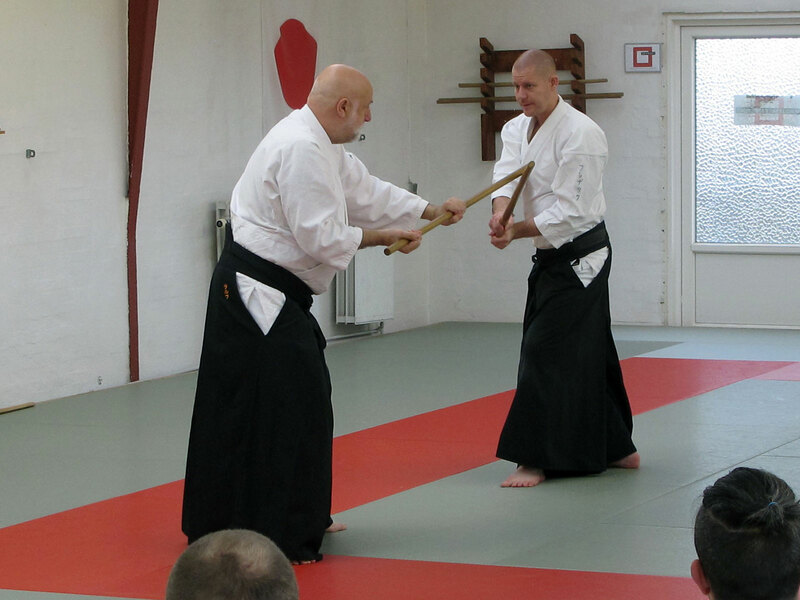 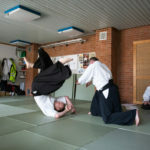 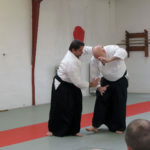 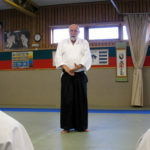 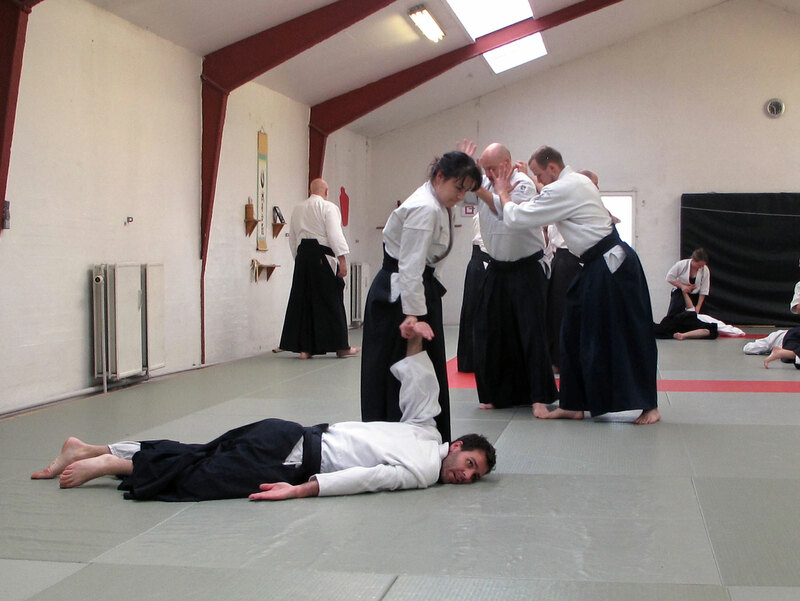 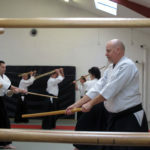 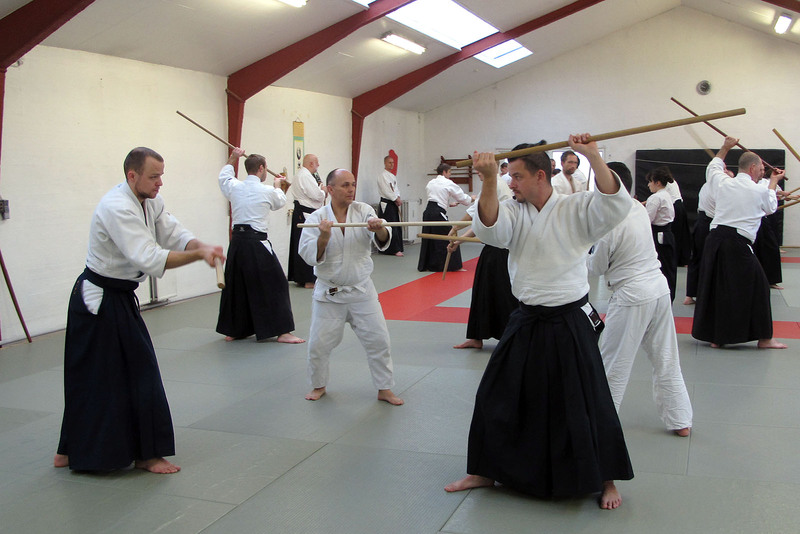 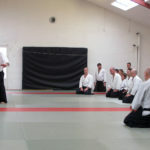 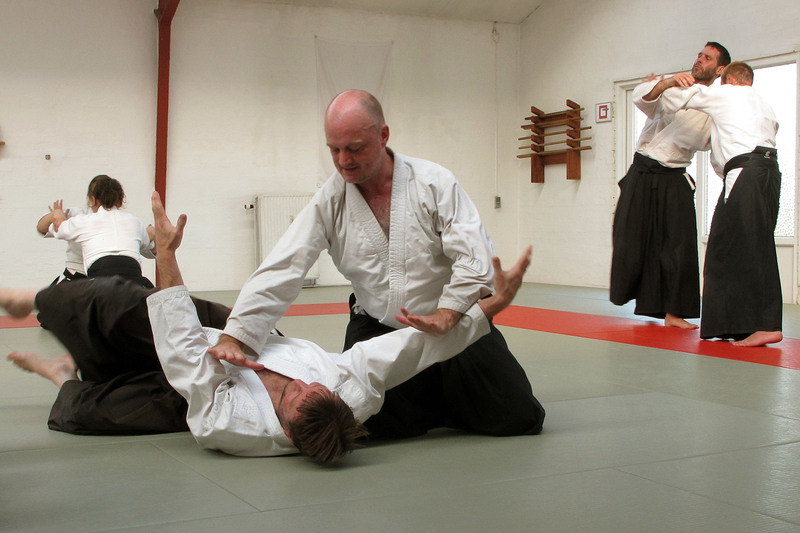 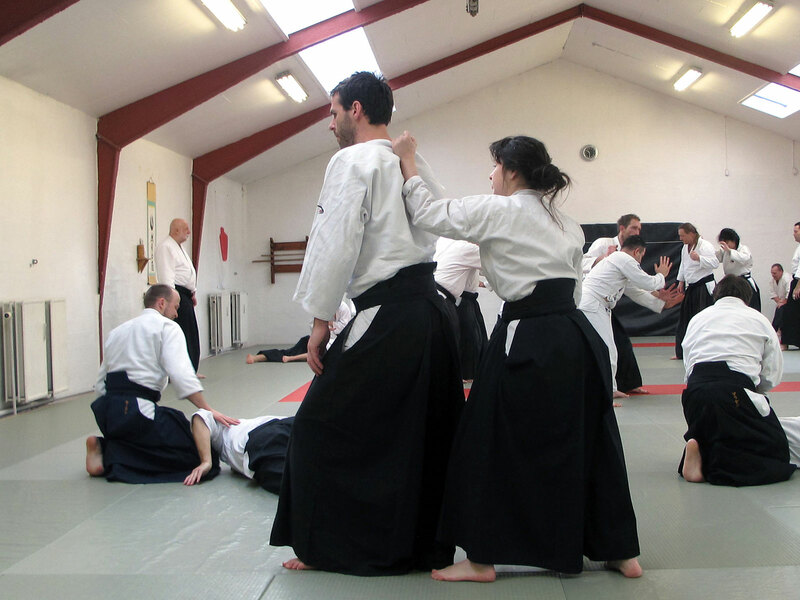 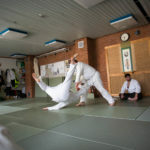 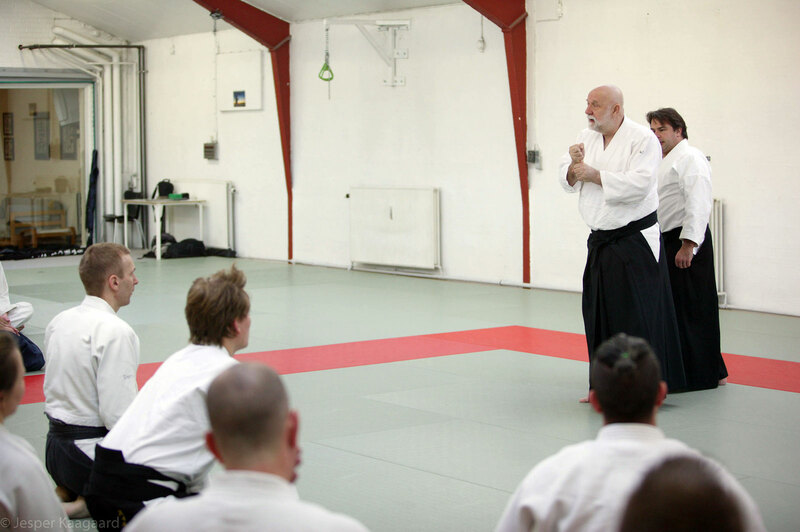 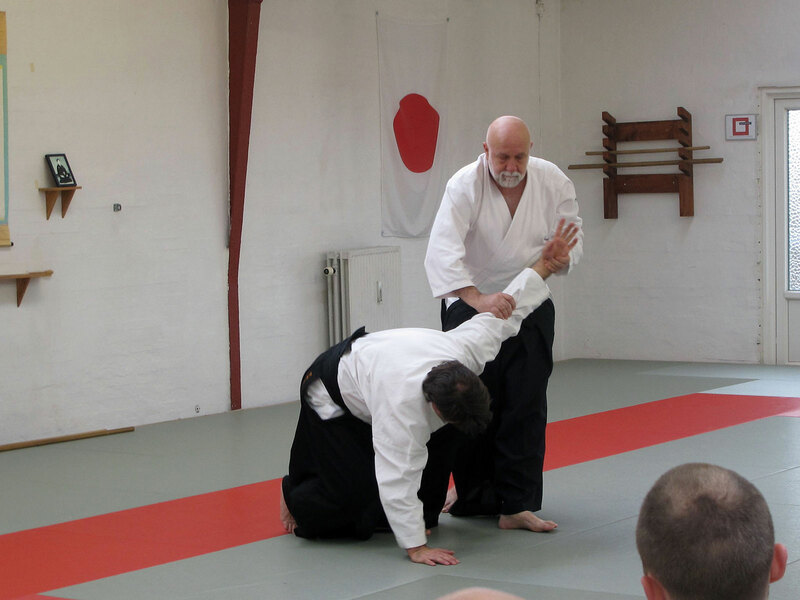 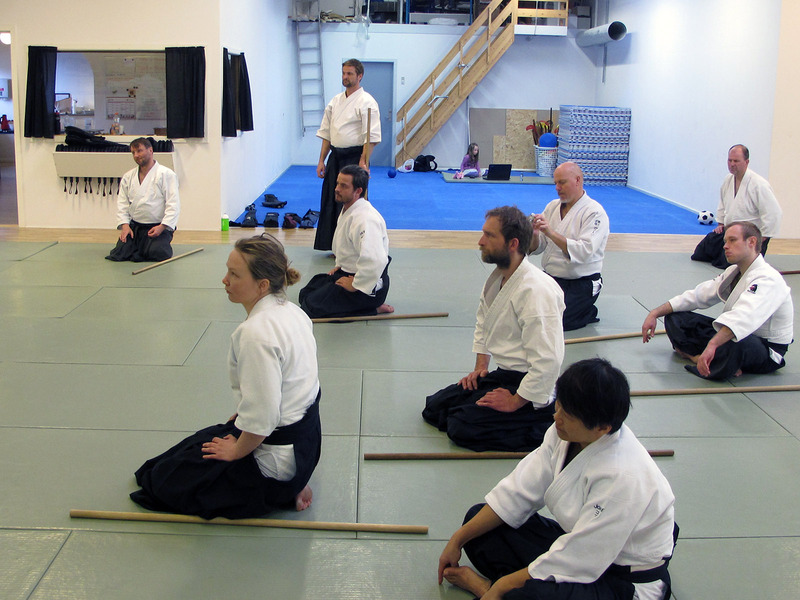 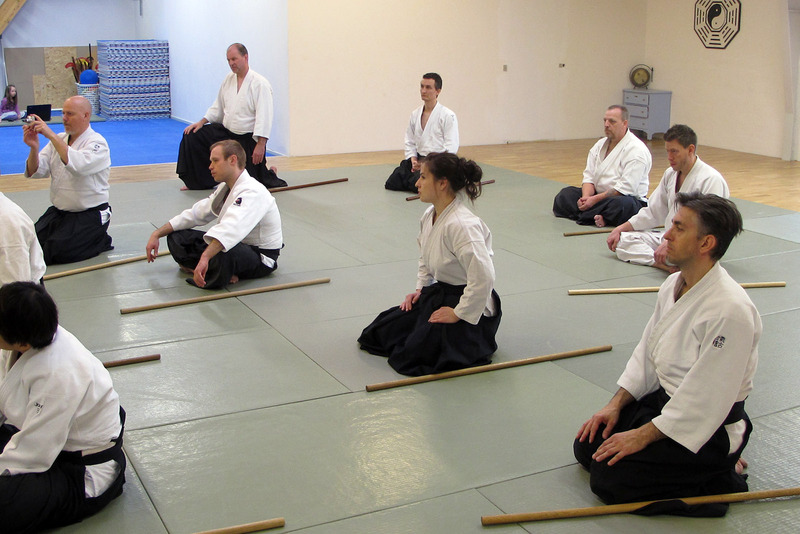 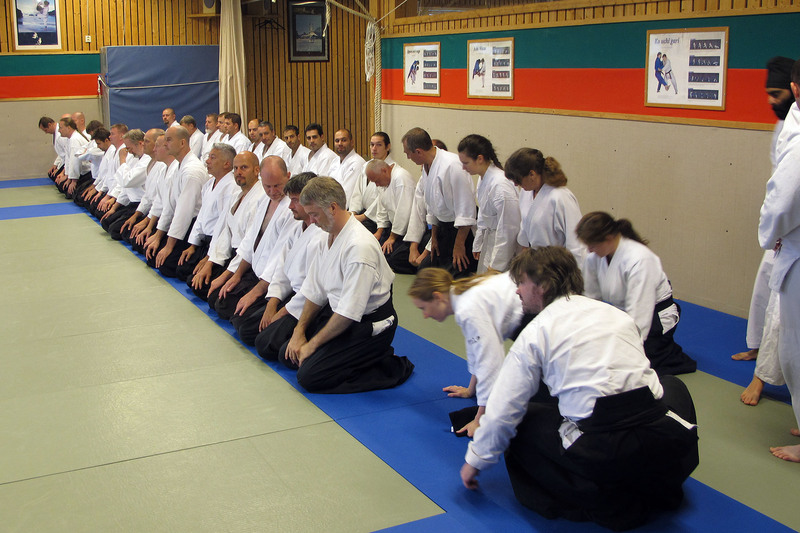 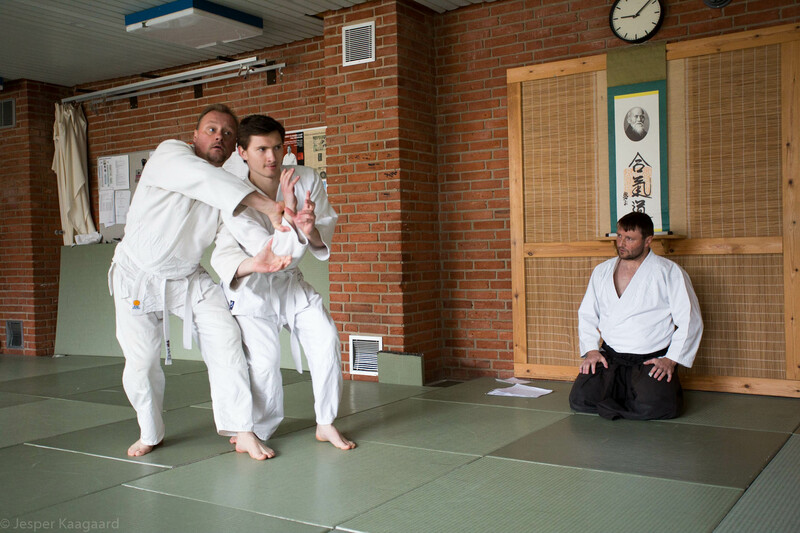 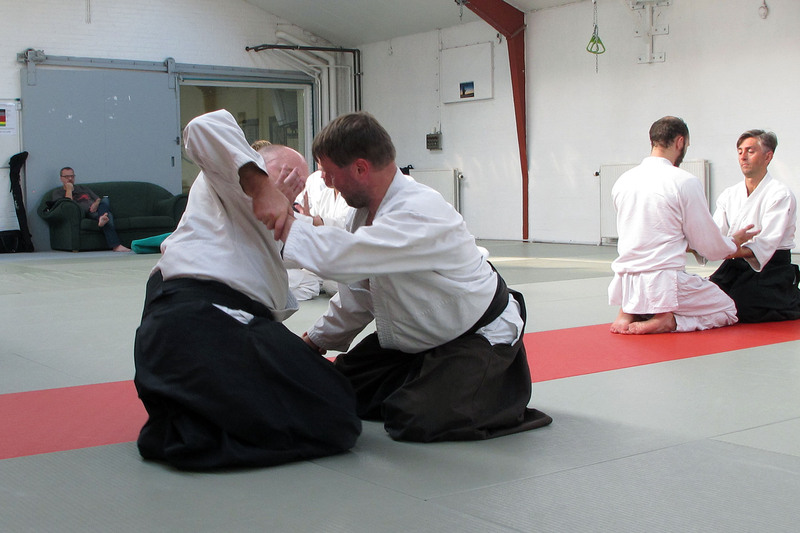 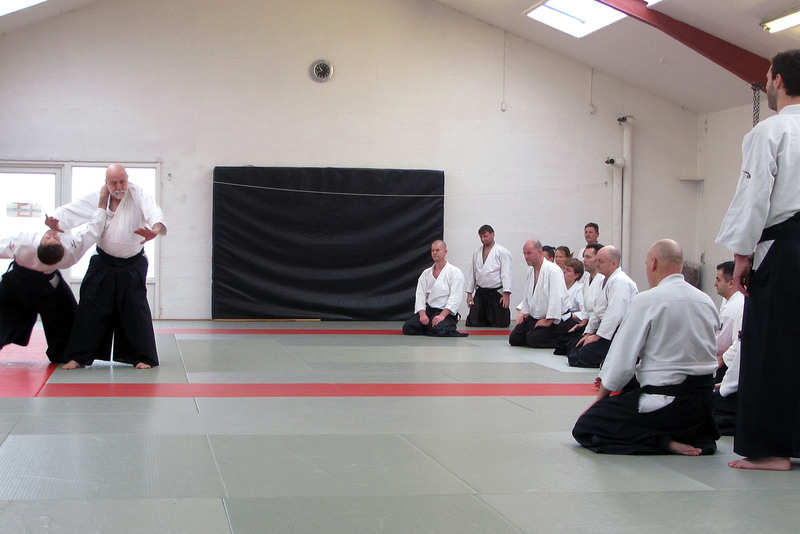 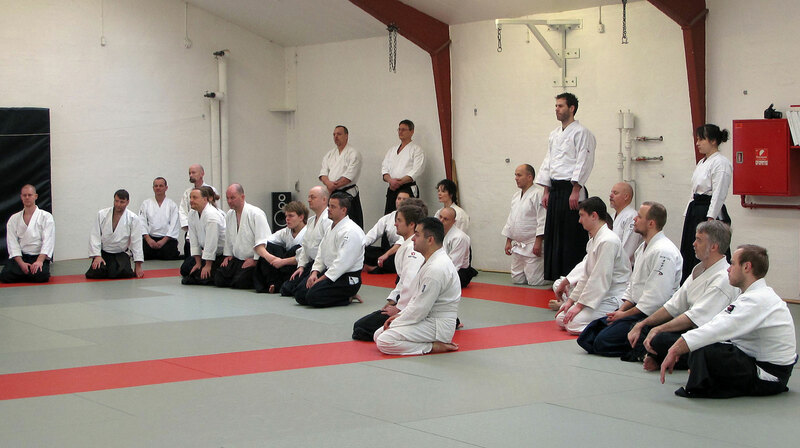 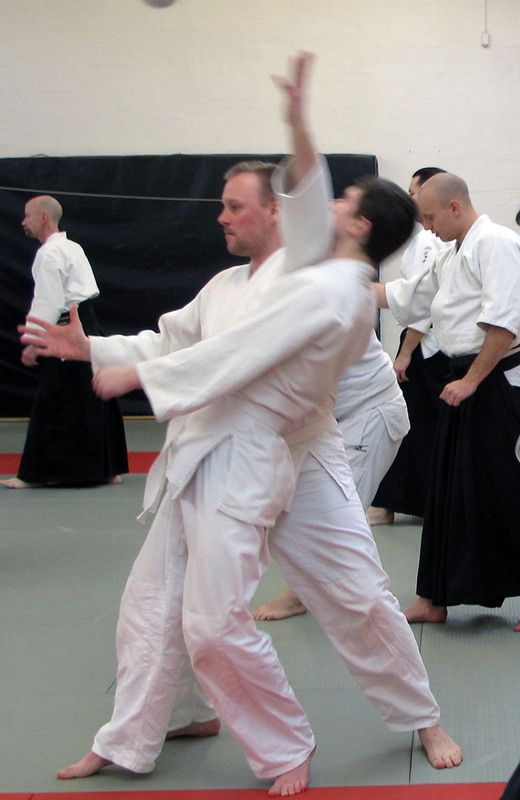 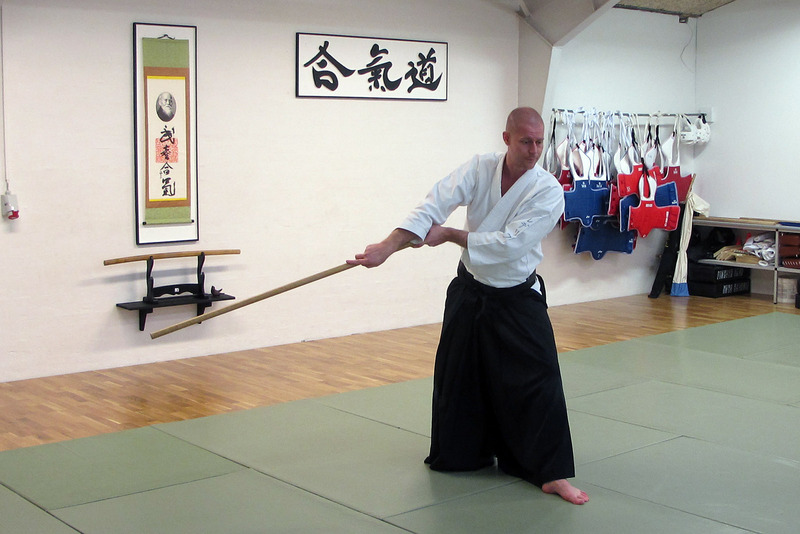 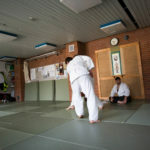 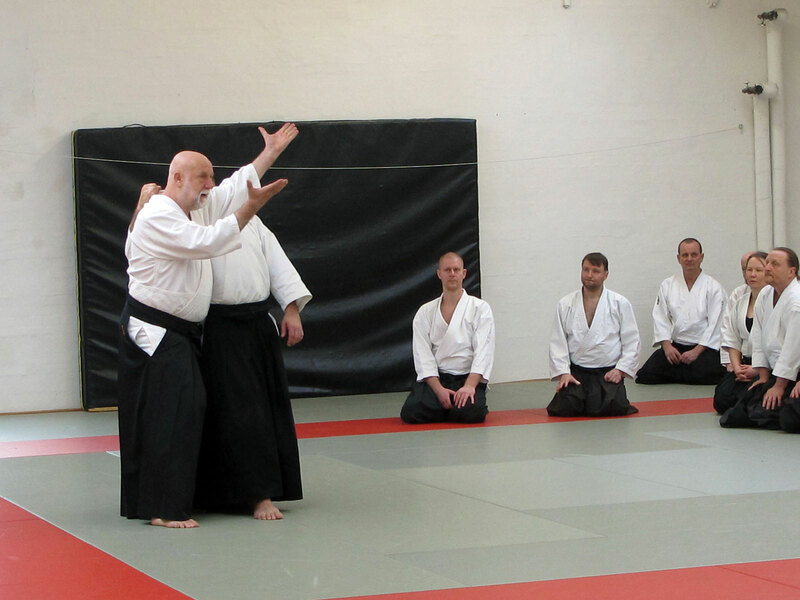 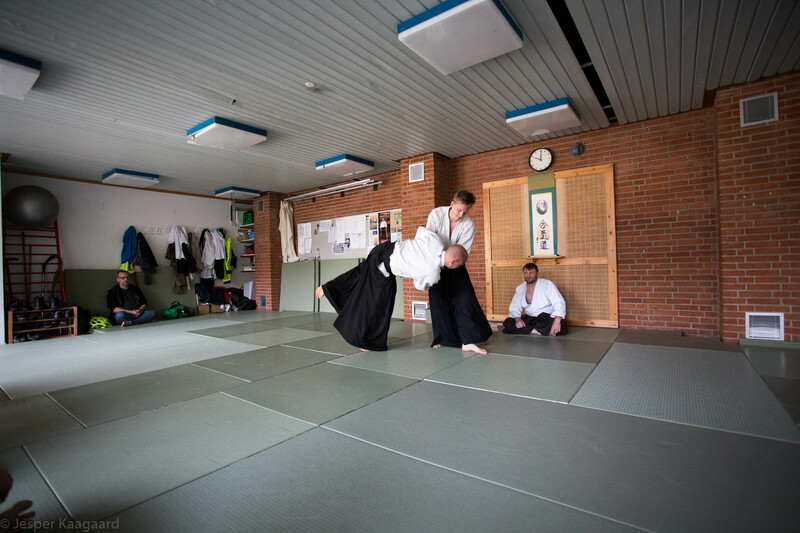 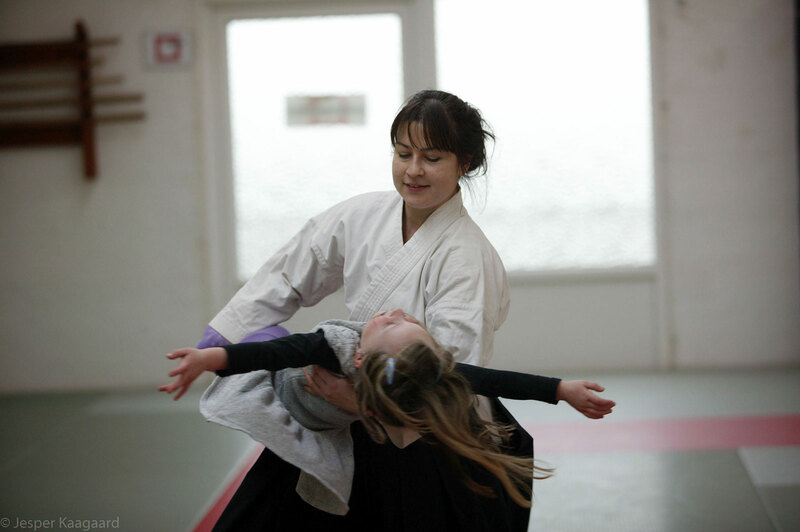 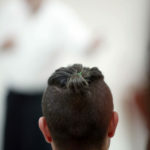 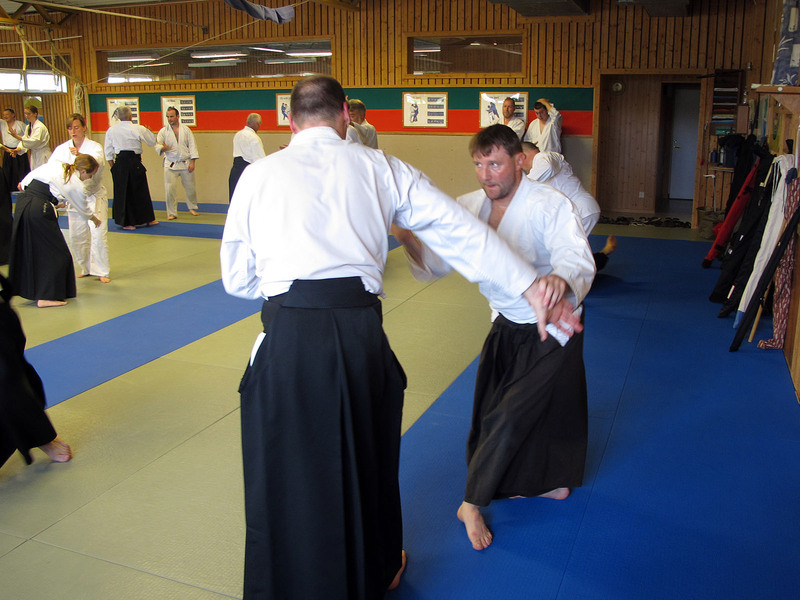 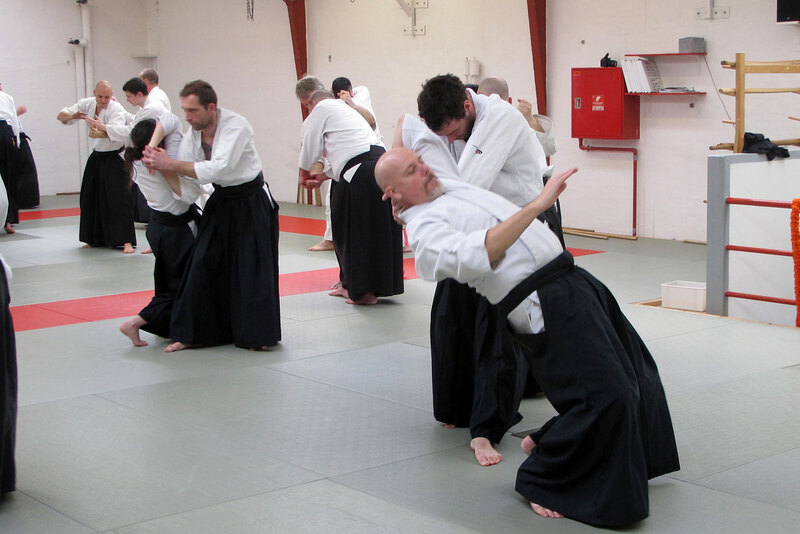 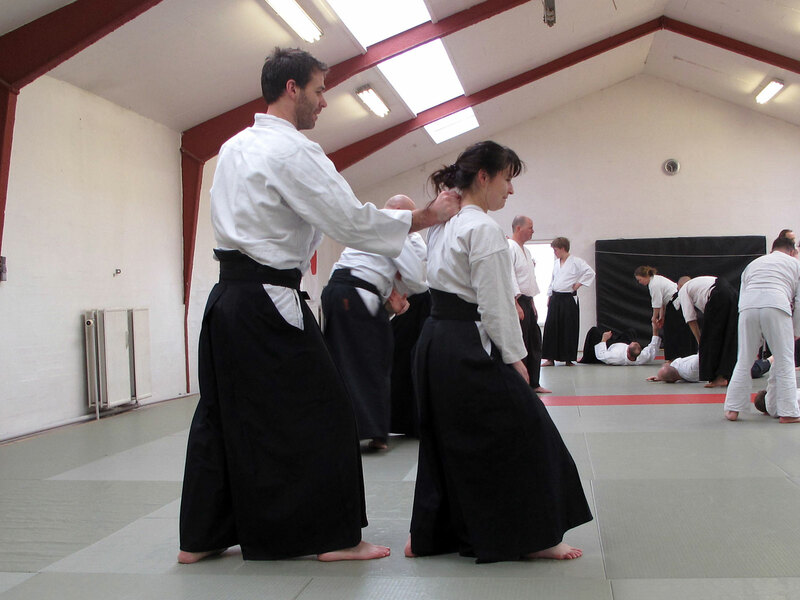 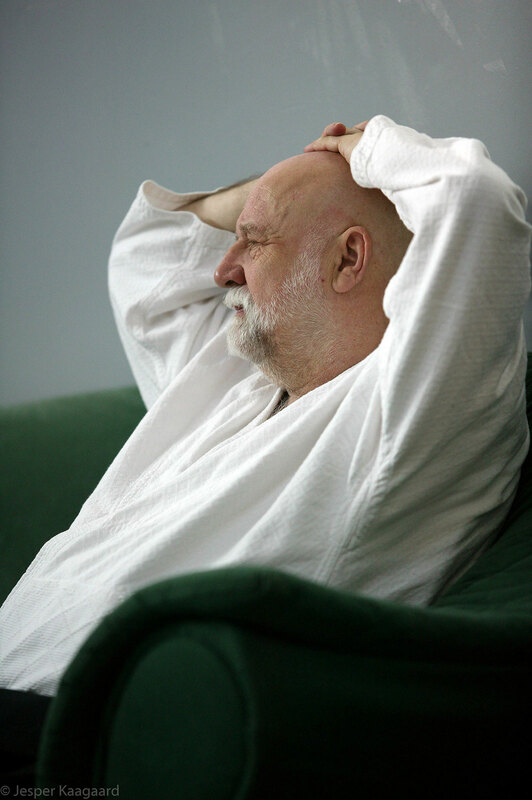 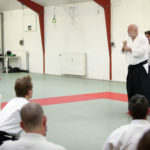 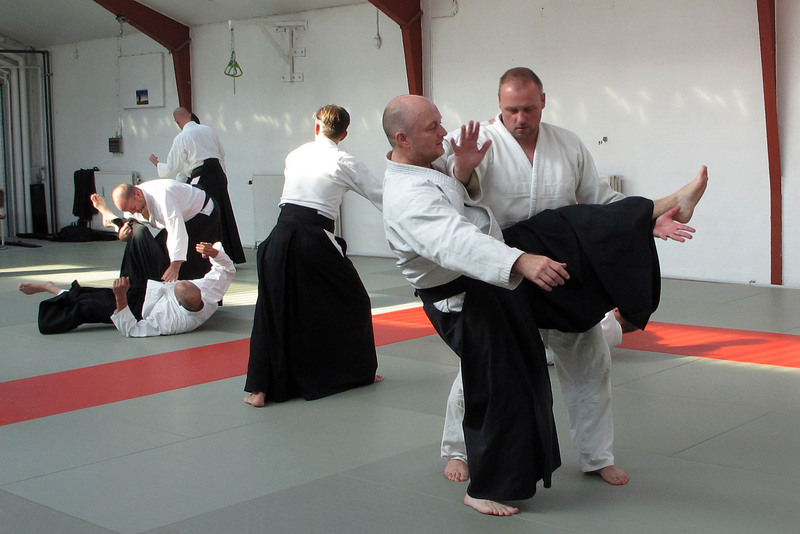 Here are a few pictures from the seminar with Fredrik Snell sensei at Thisted Aikido klub. 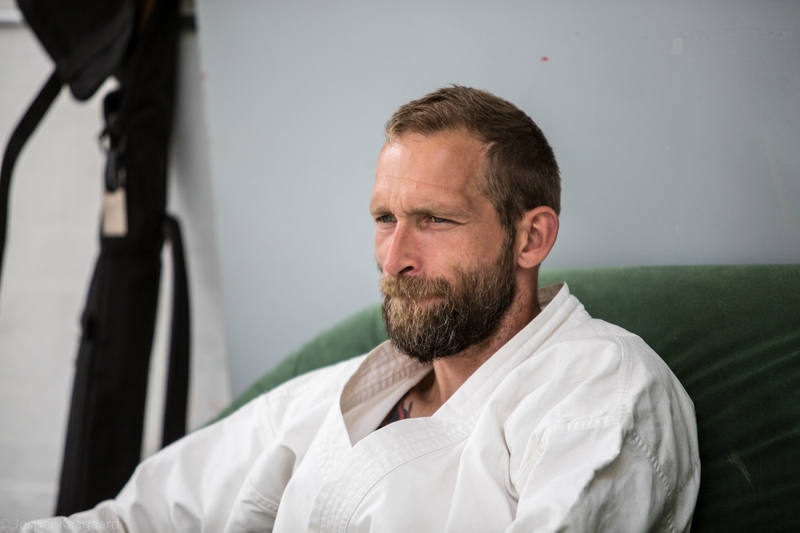 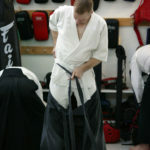 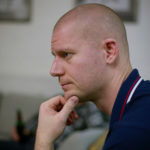 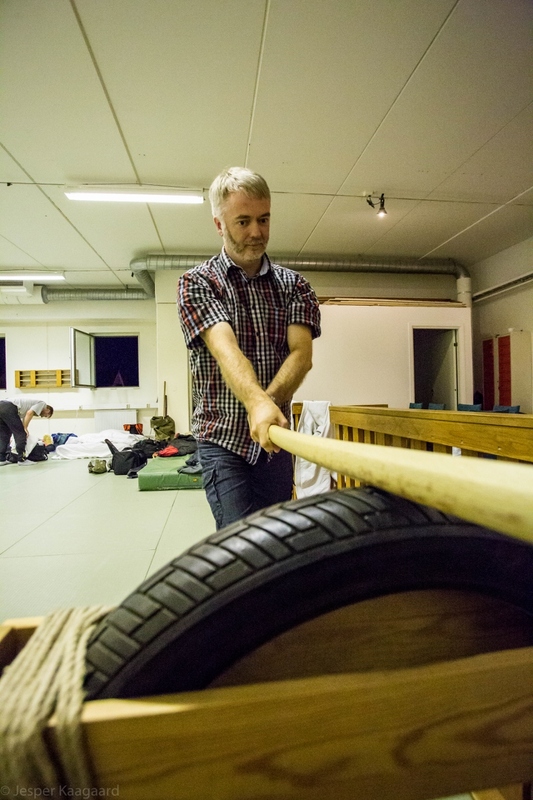 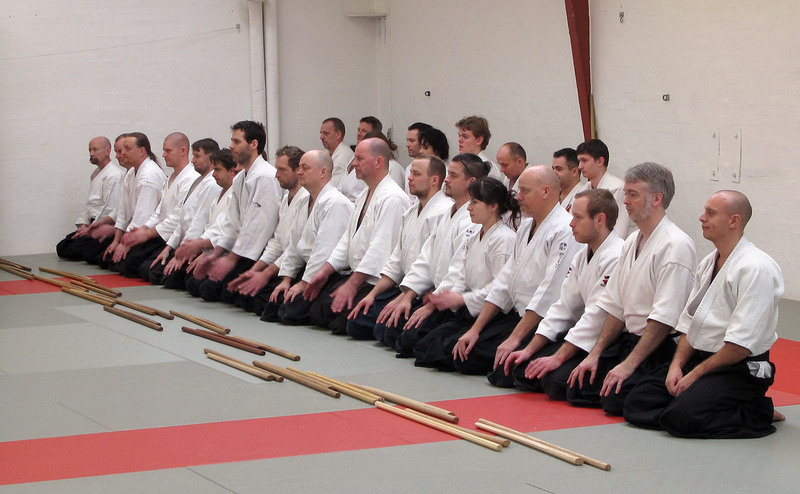 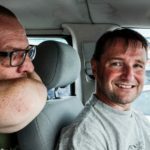 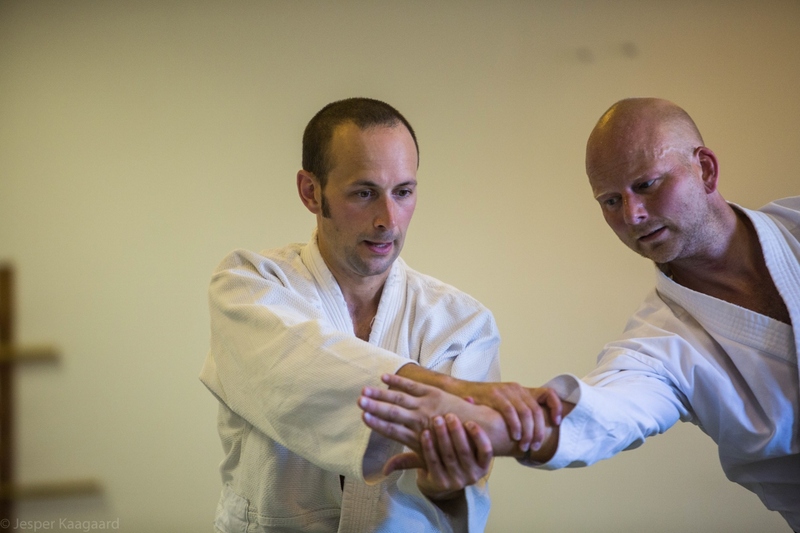 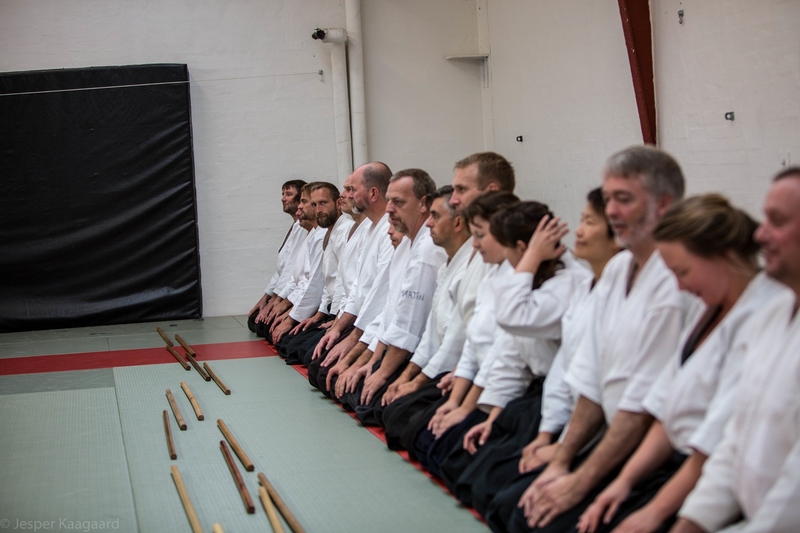 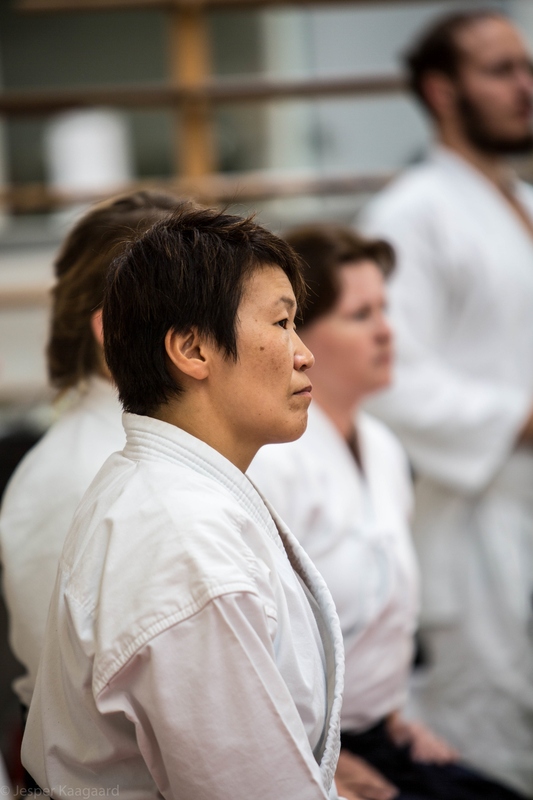 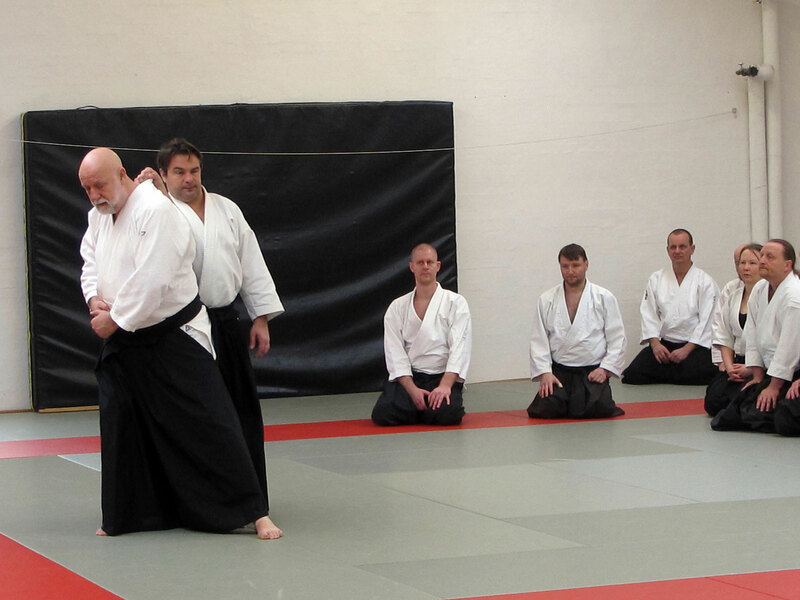 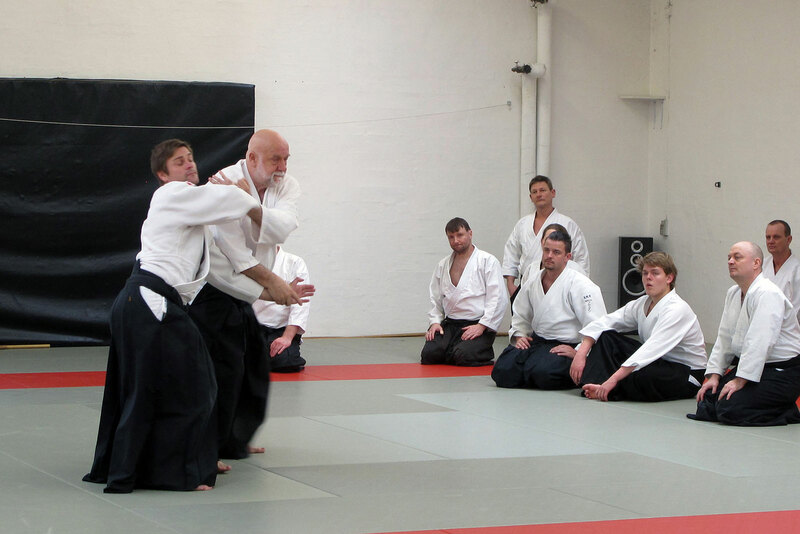 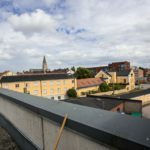 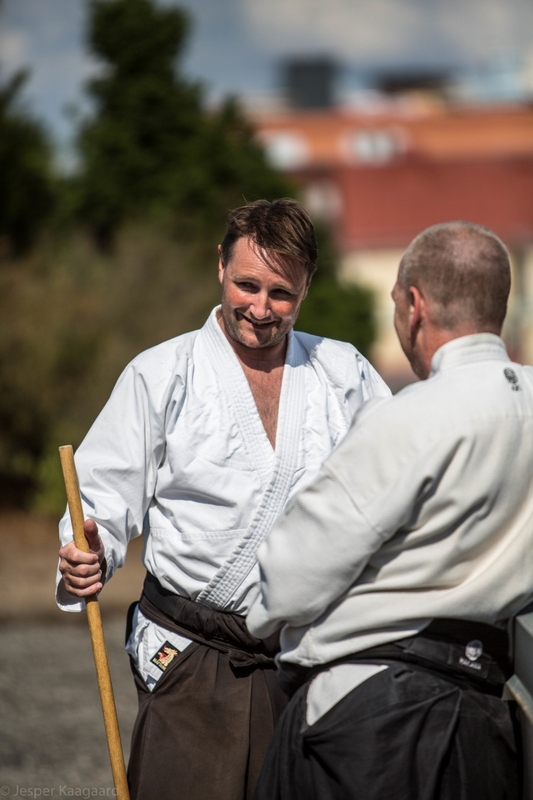 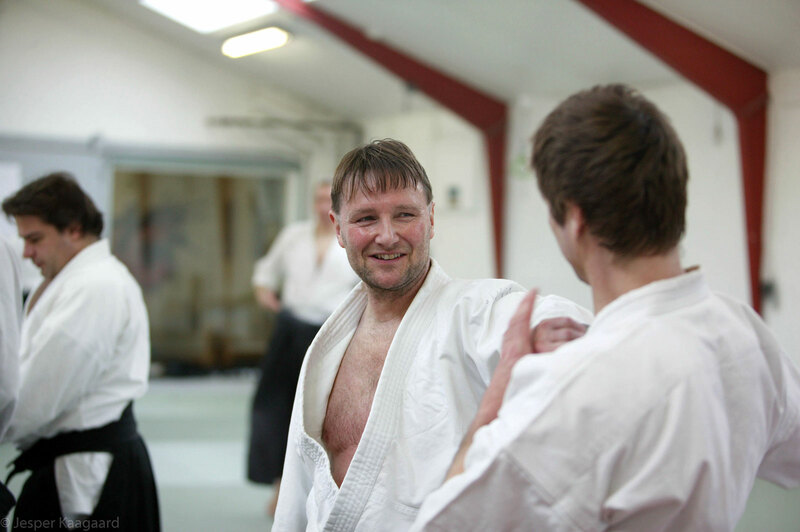 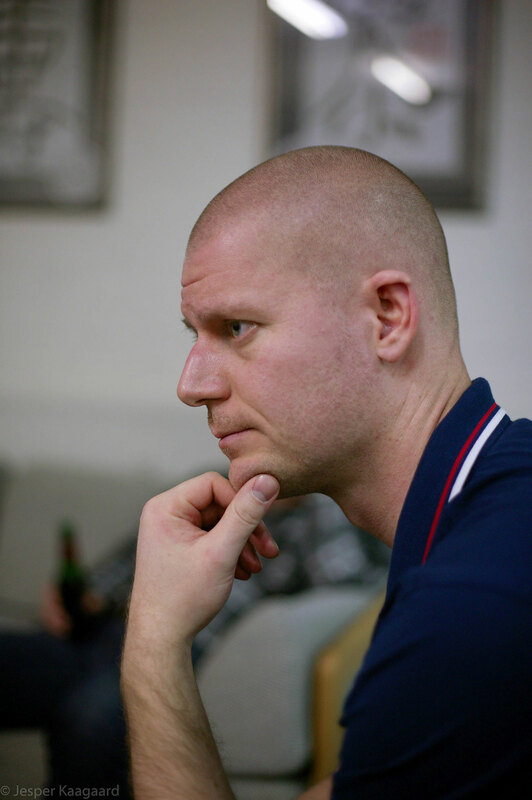 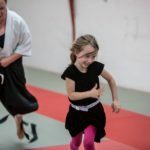 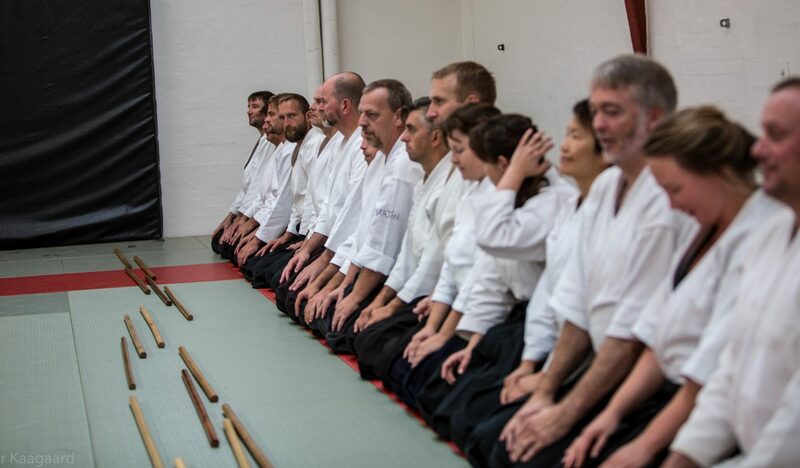 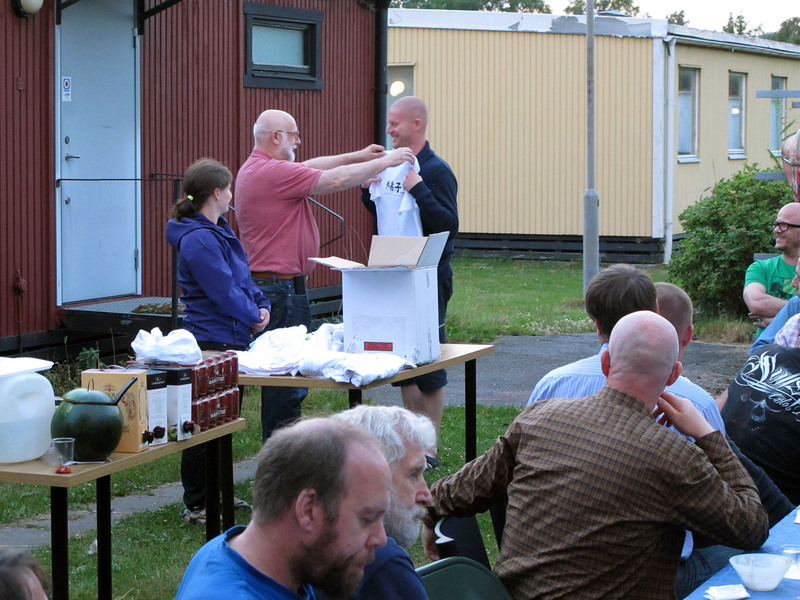 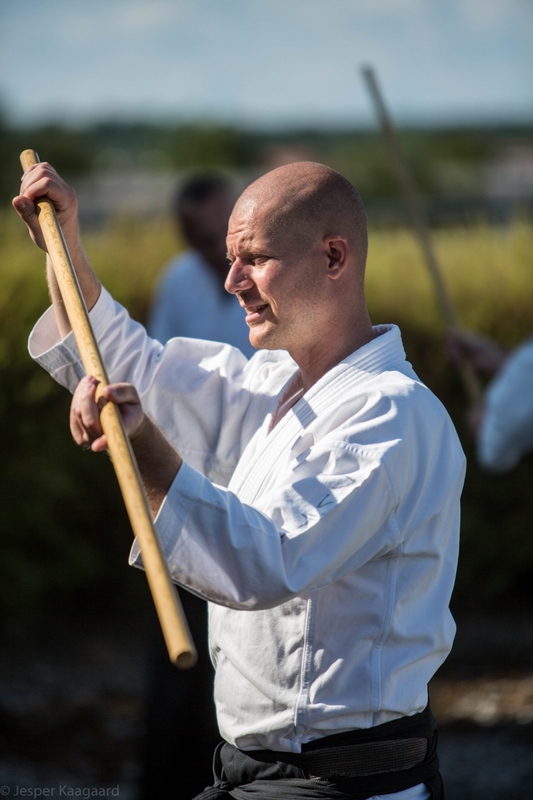 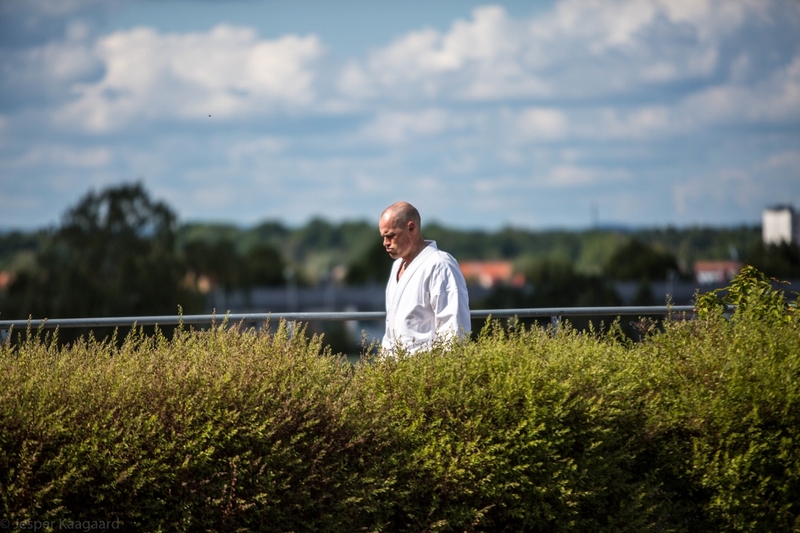 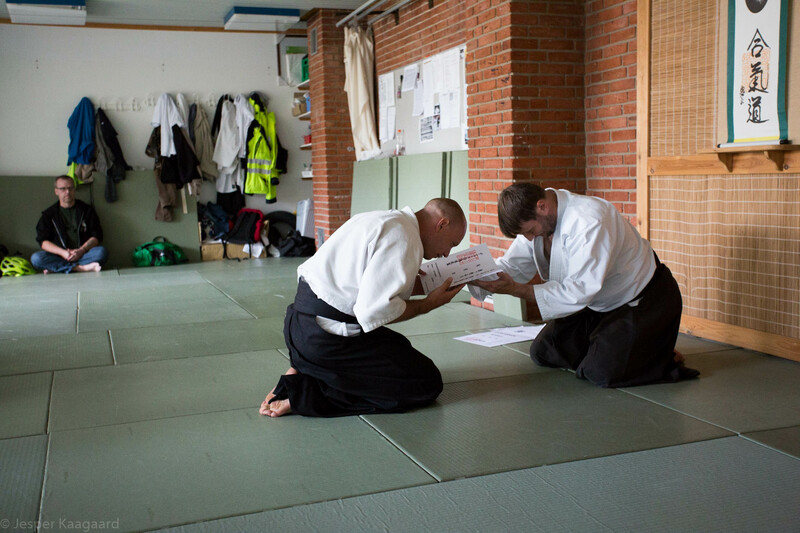 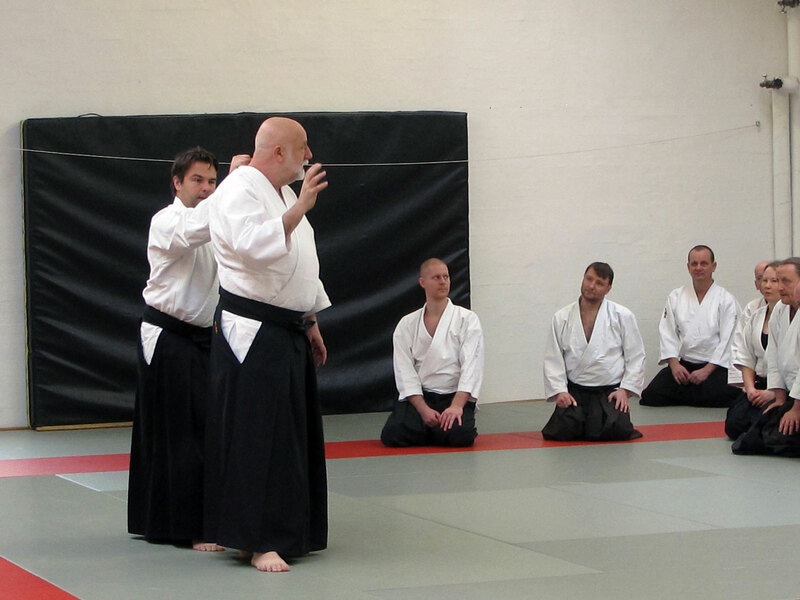 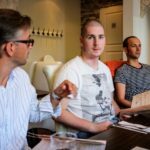 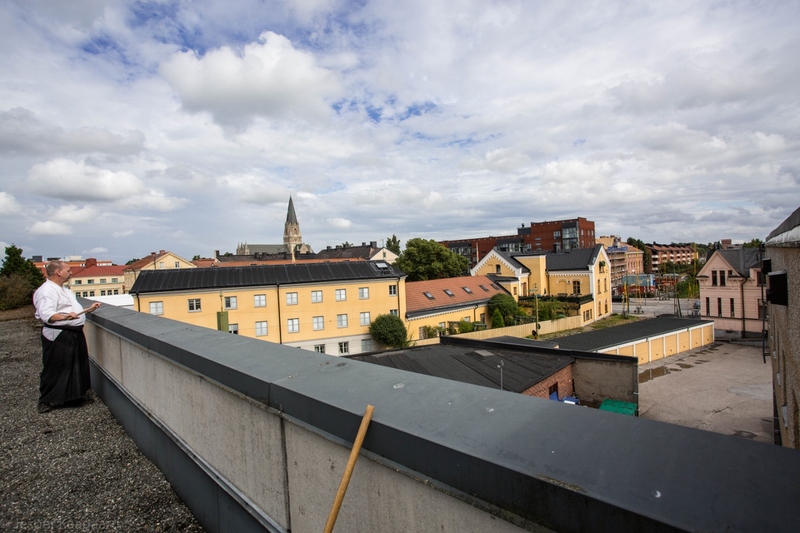 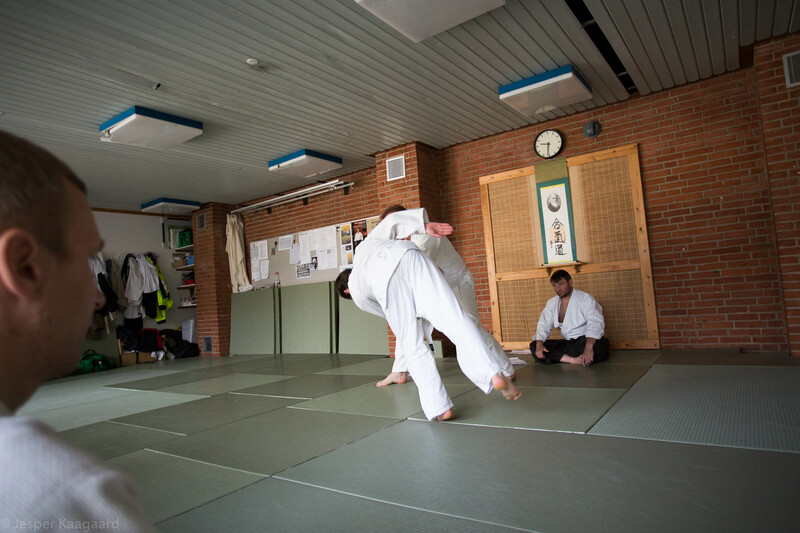 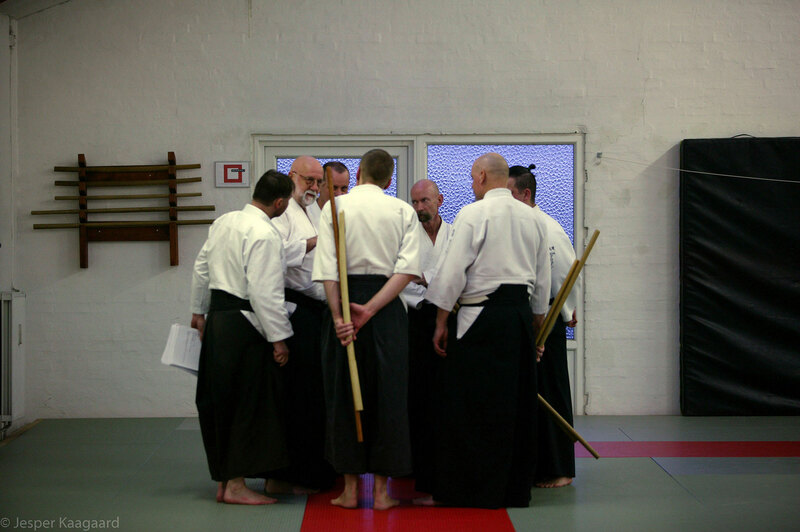 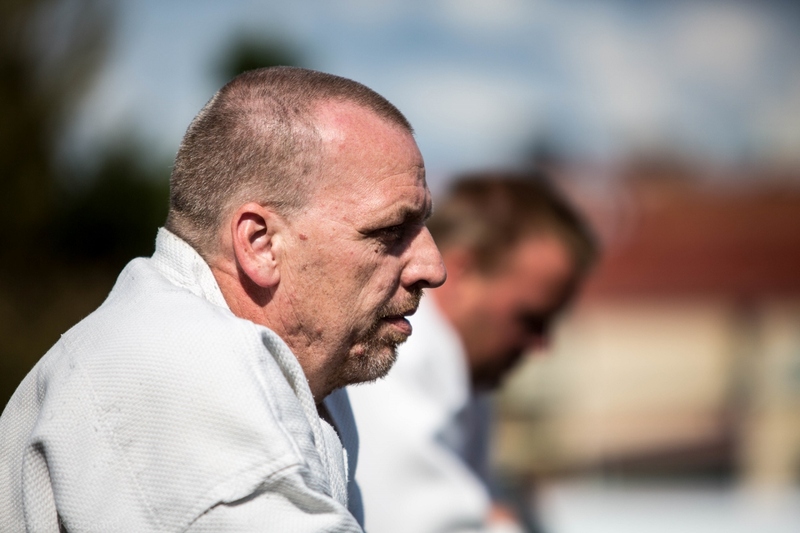 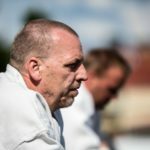 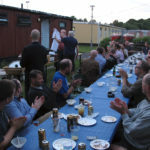 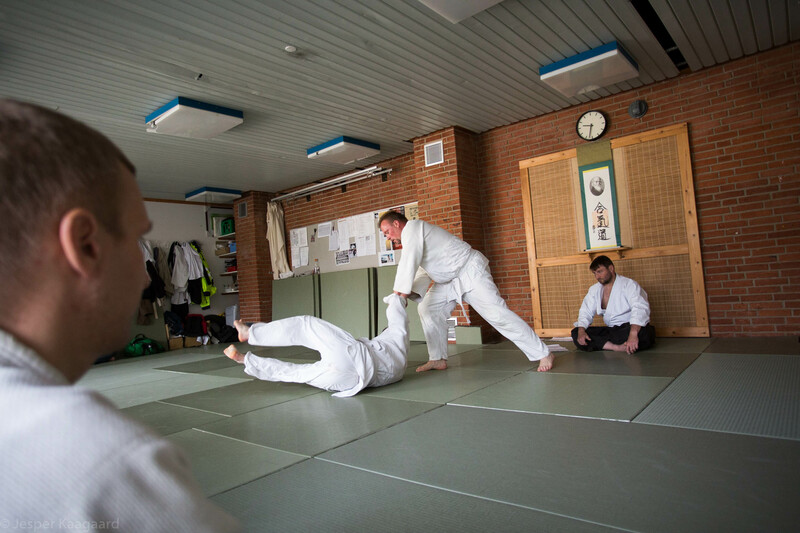 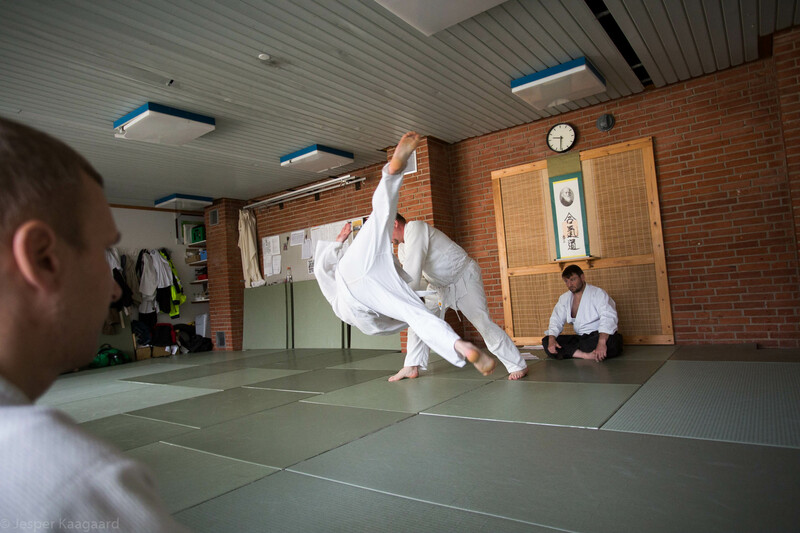 Here are some pictures from the seminar in Aalborg with Ulf Evenås sensei. 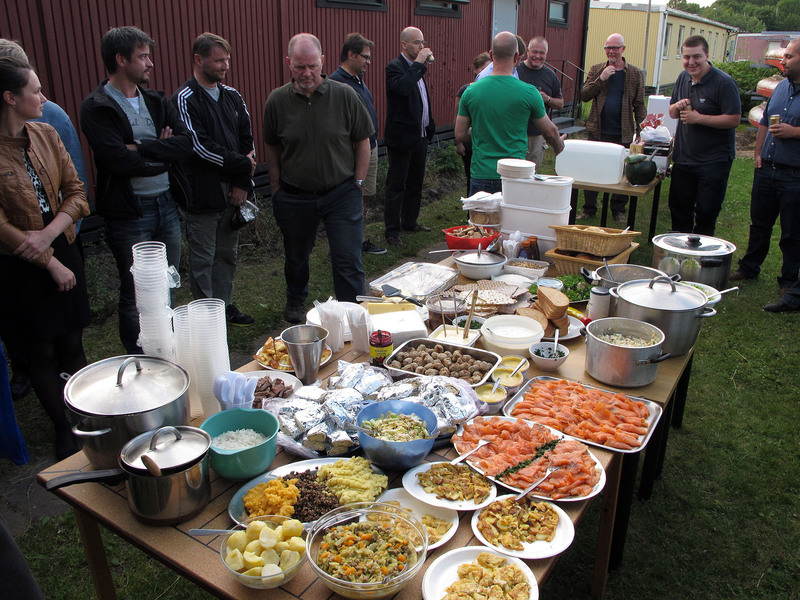 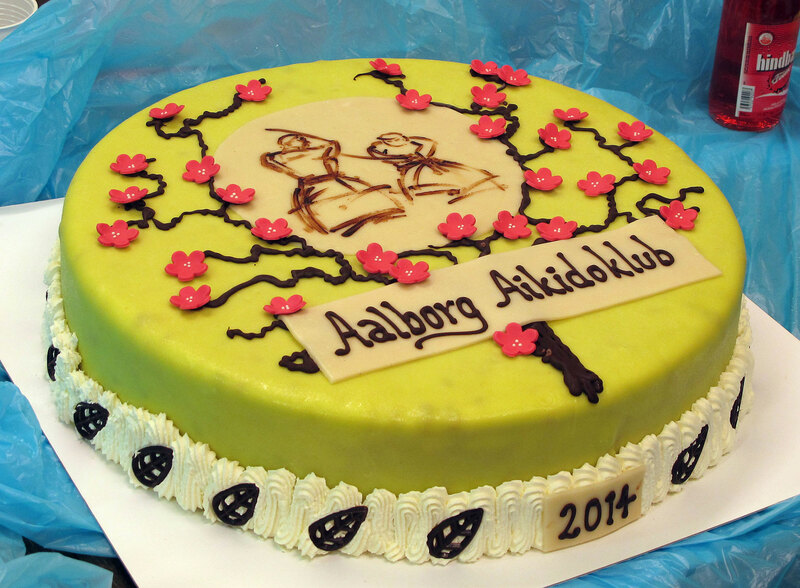 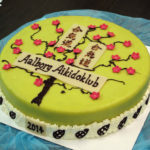 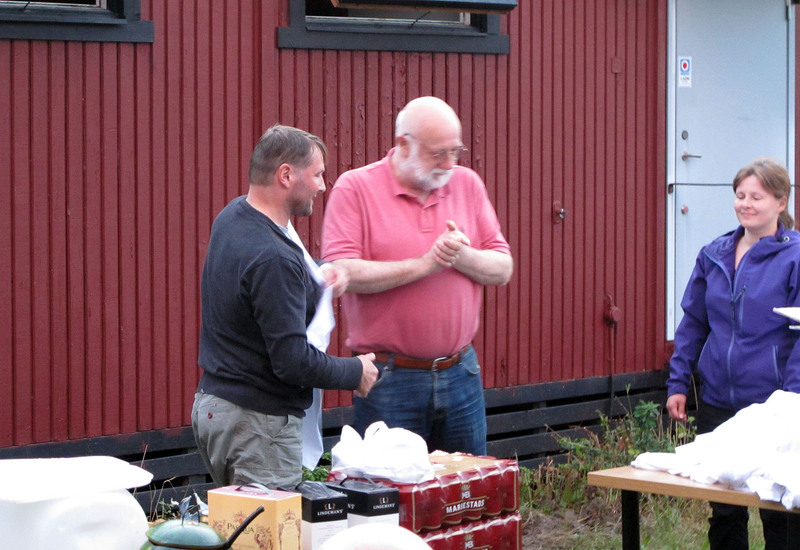 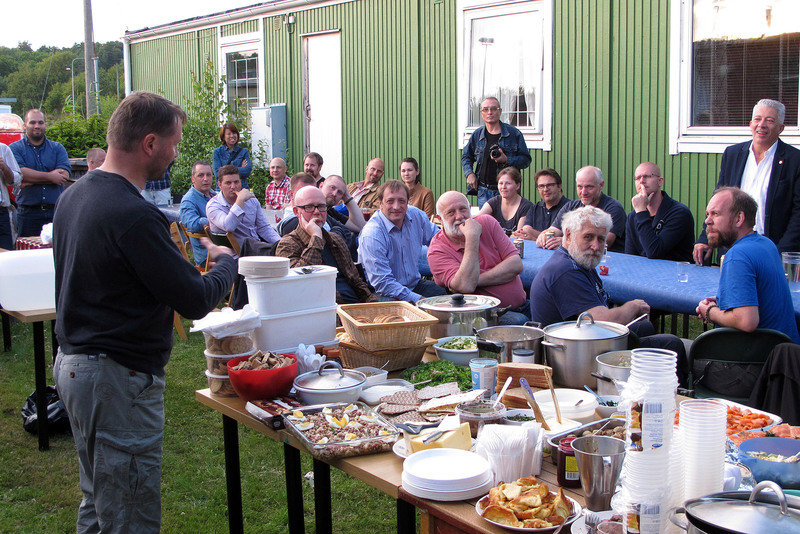 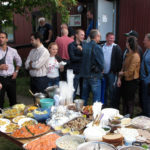 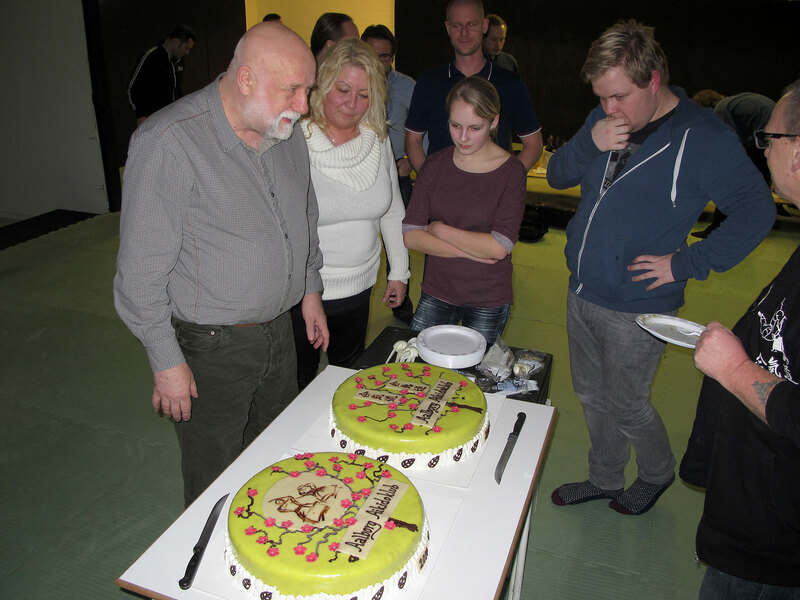 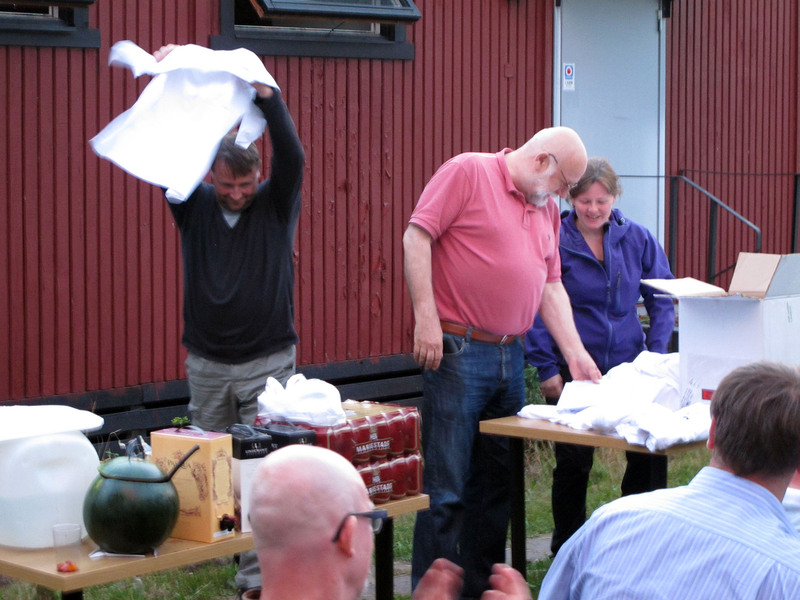 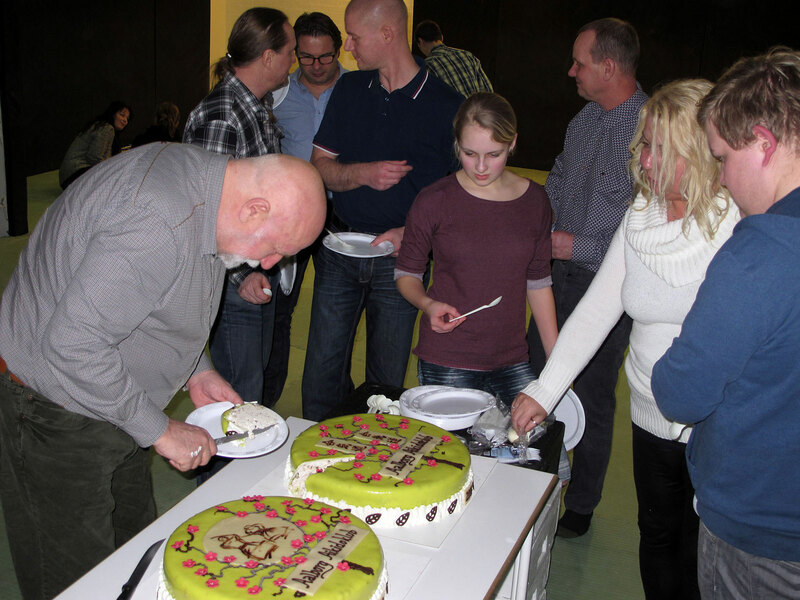 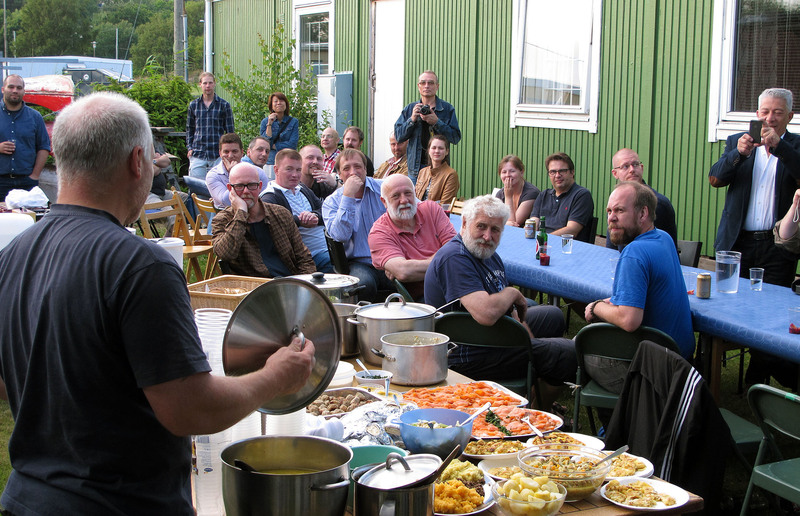 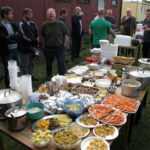 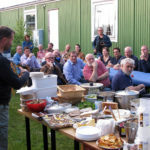 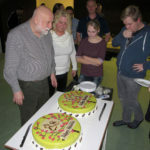 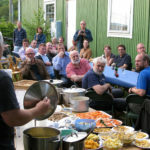 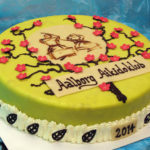 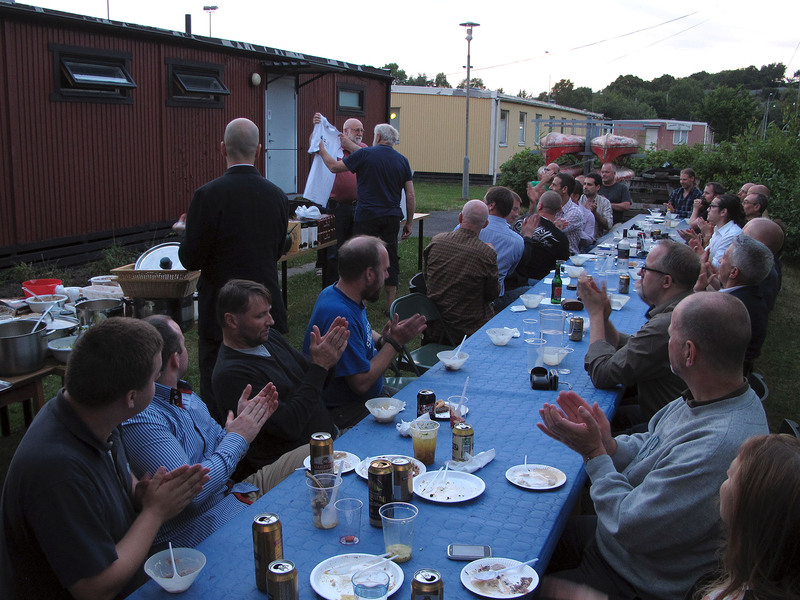 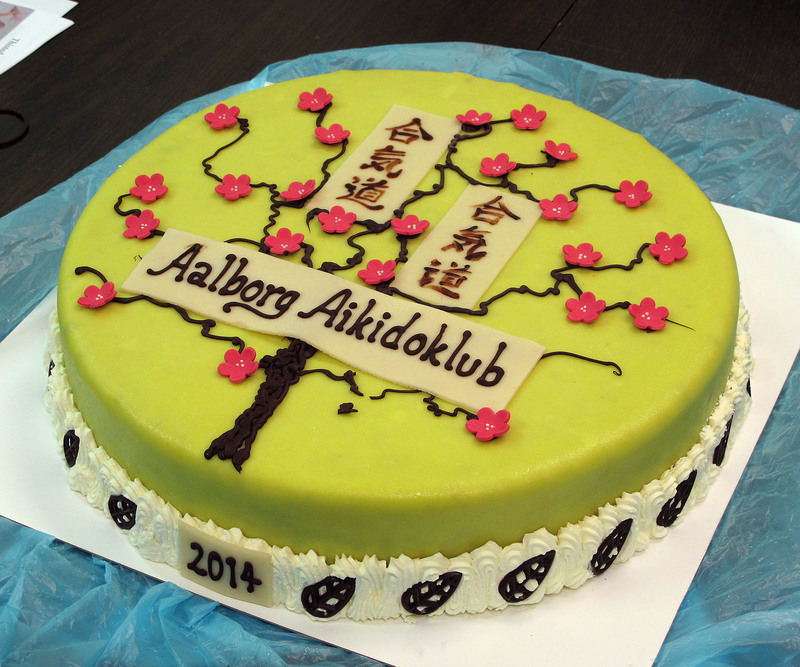 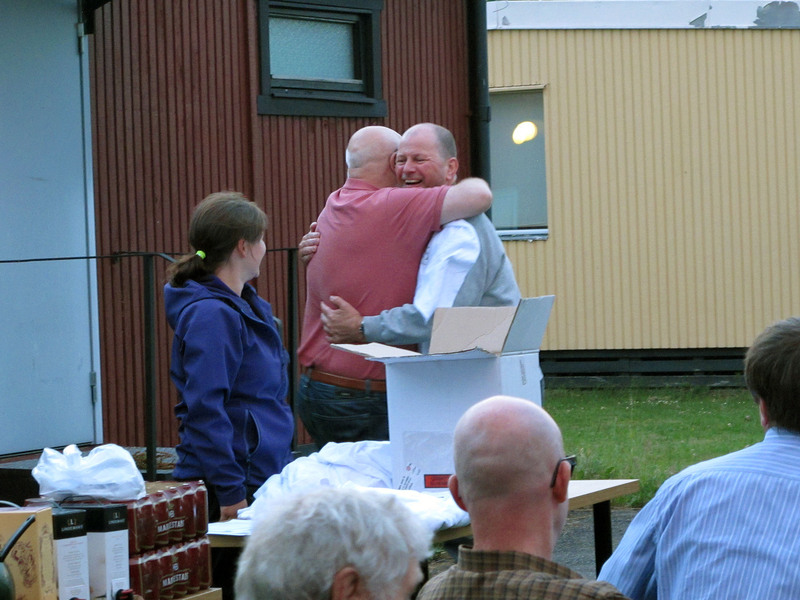 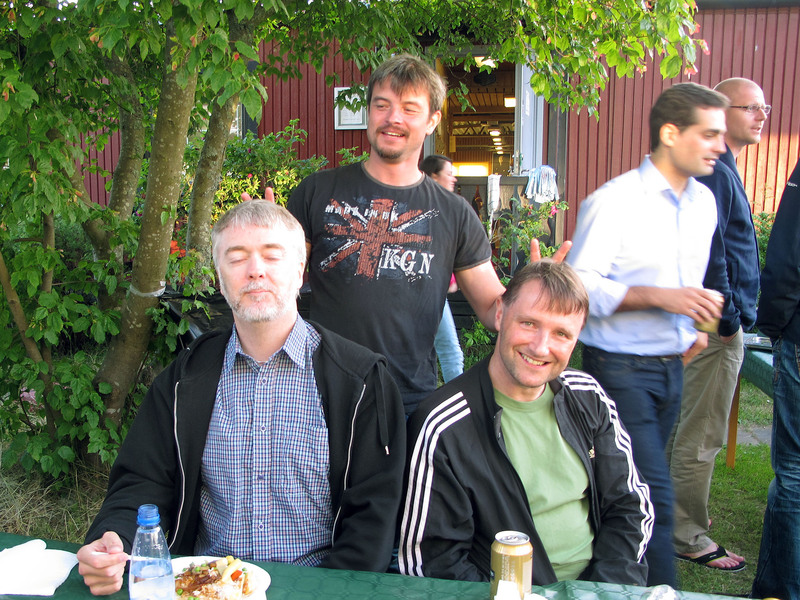 Once again we had two delicious ice cream cakes provided by Martin and his colleagues at Aabybro Mejeri (RYÅ IS)! 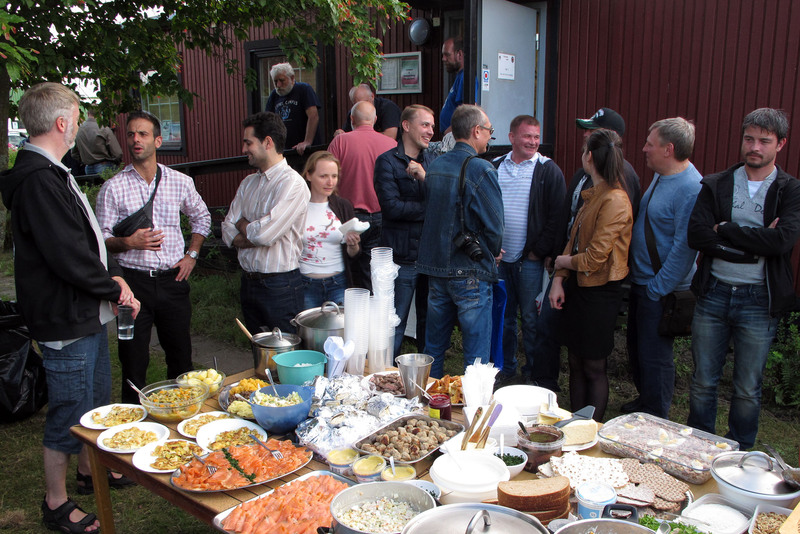 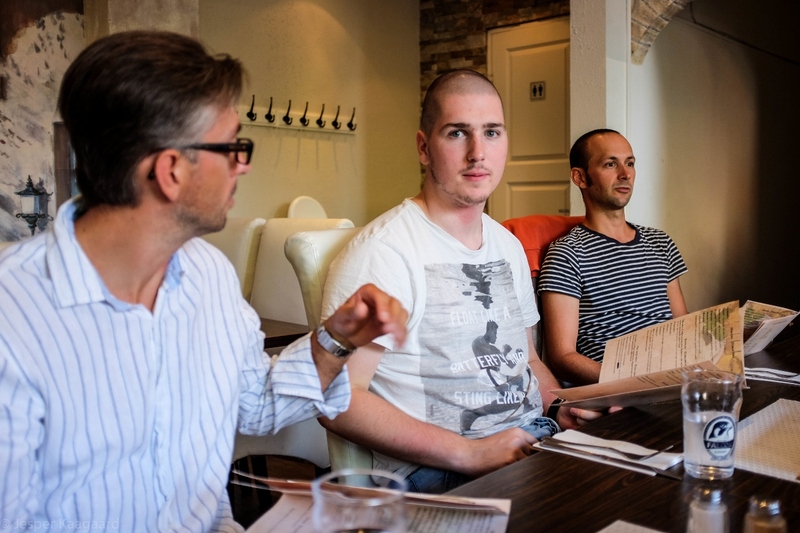 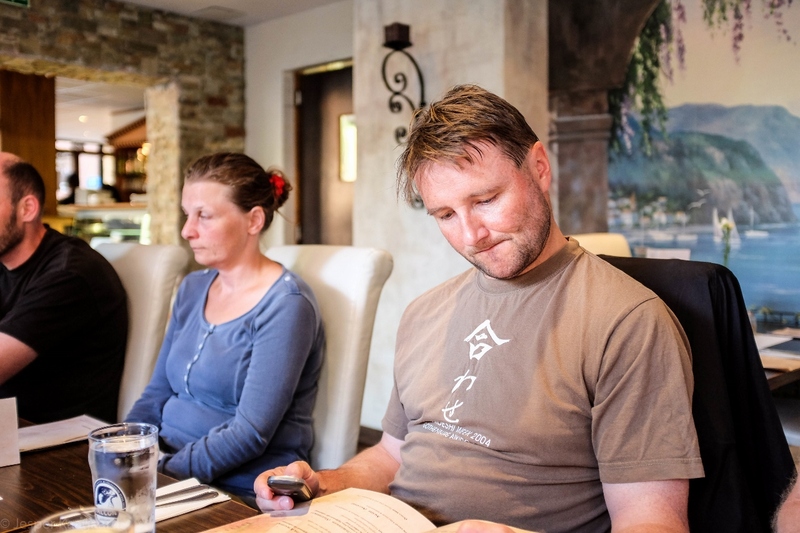 Thank you for your constant support of our event!